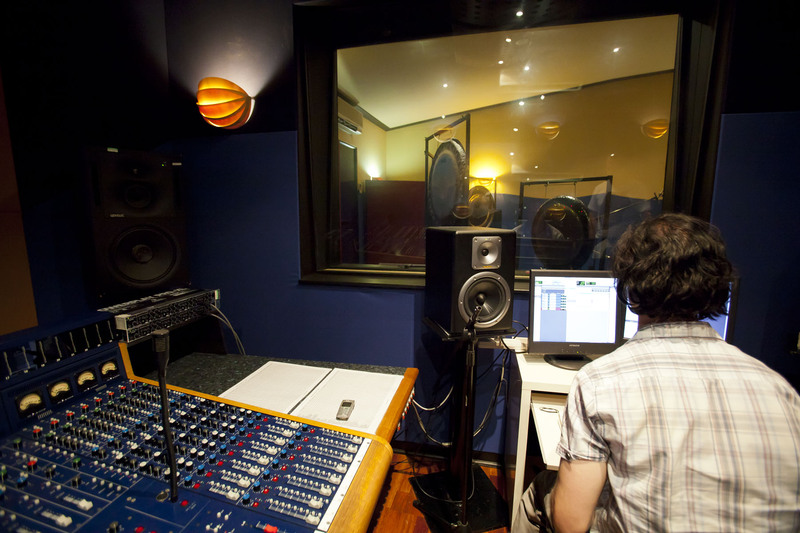 studio recording – yes the CD is happening! 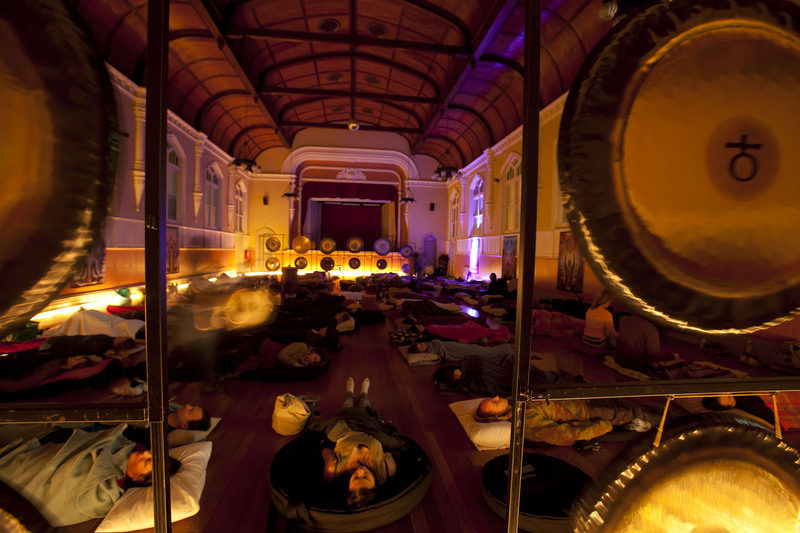 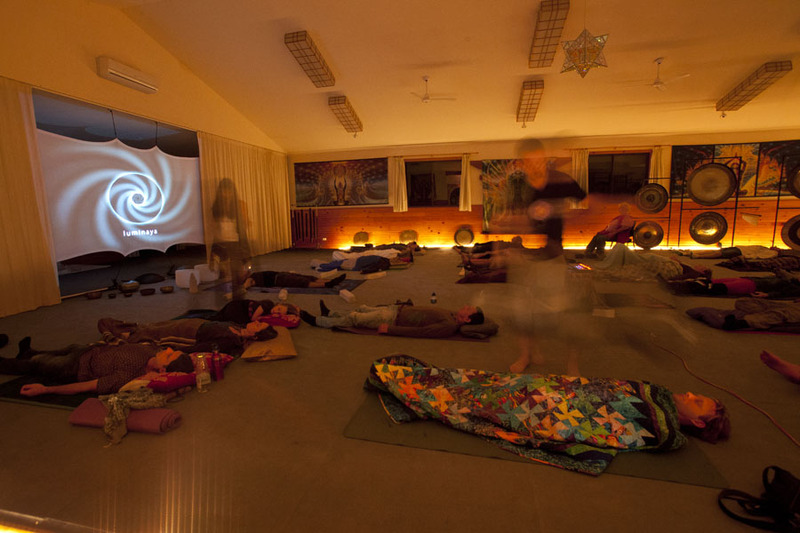 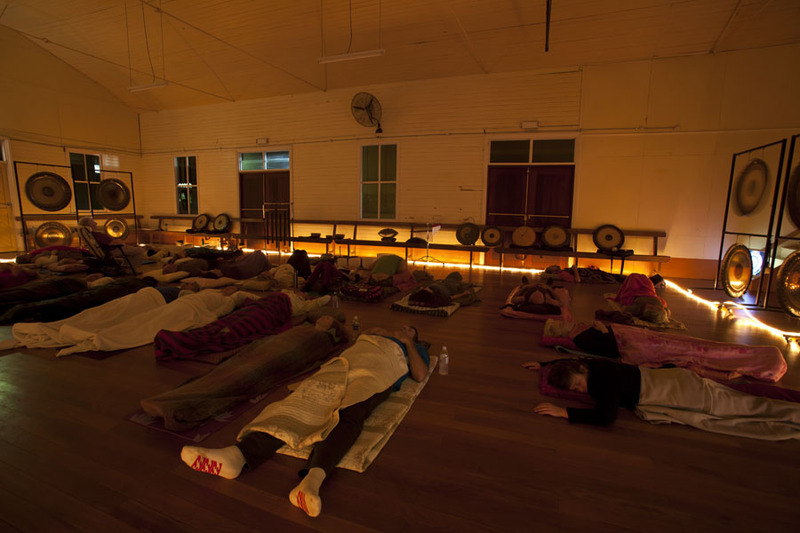 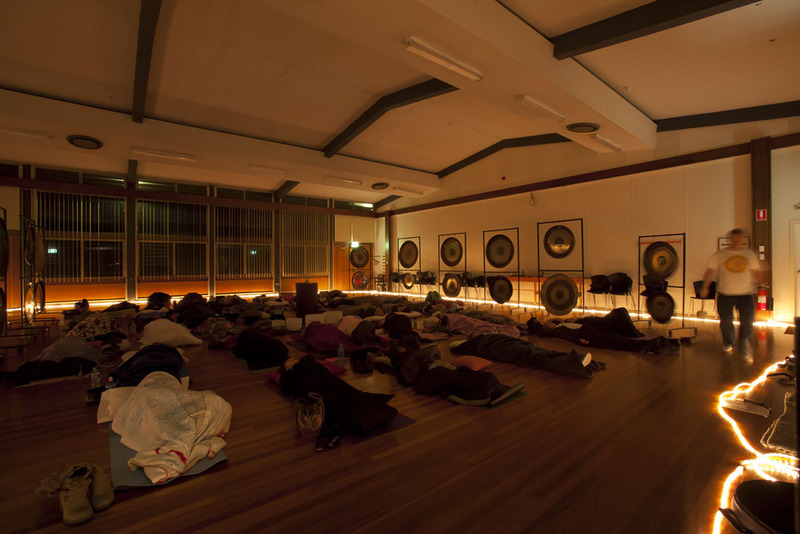 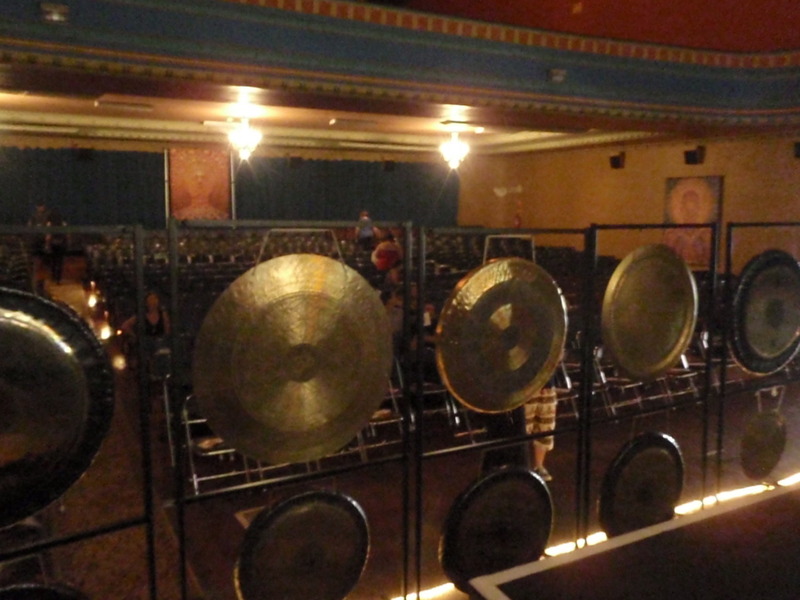 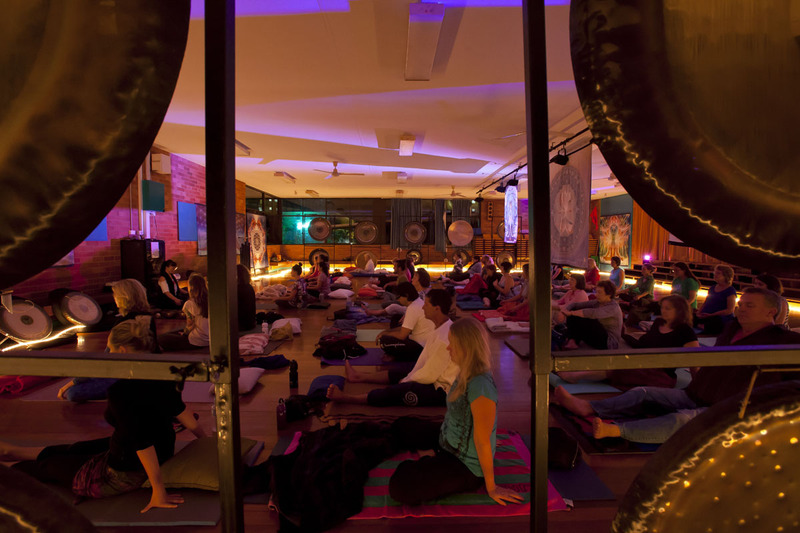 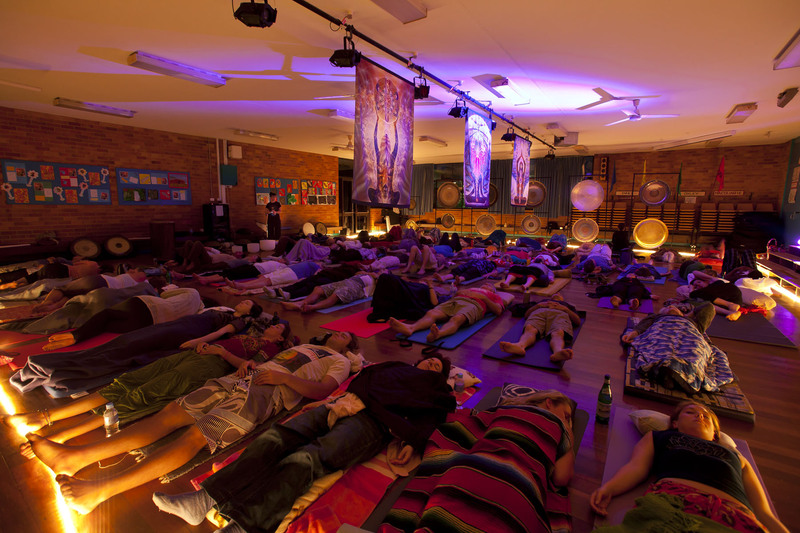 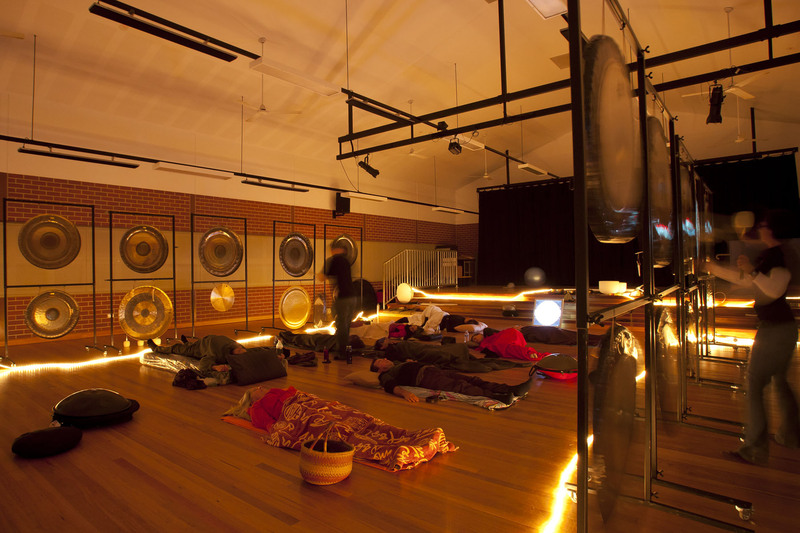 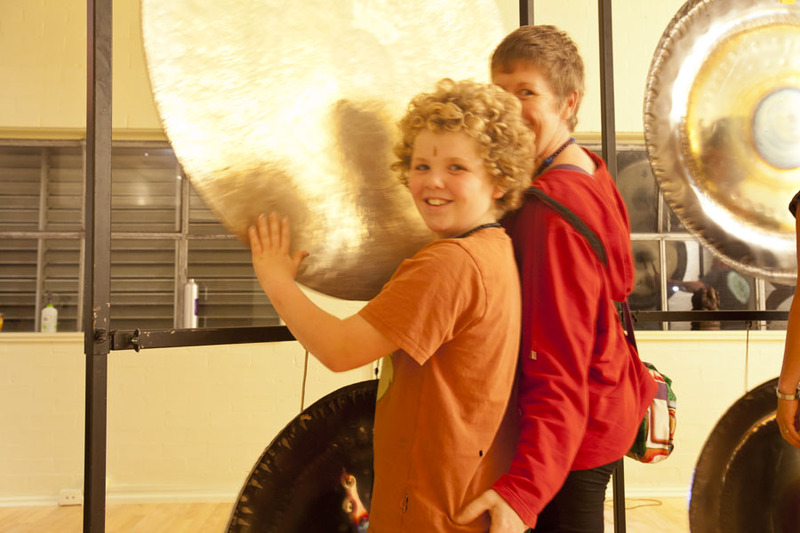 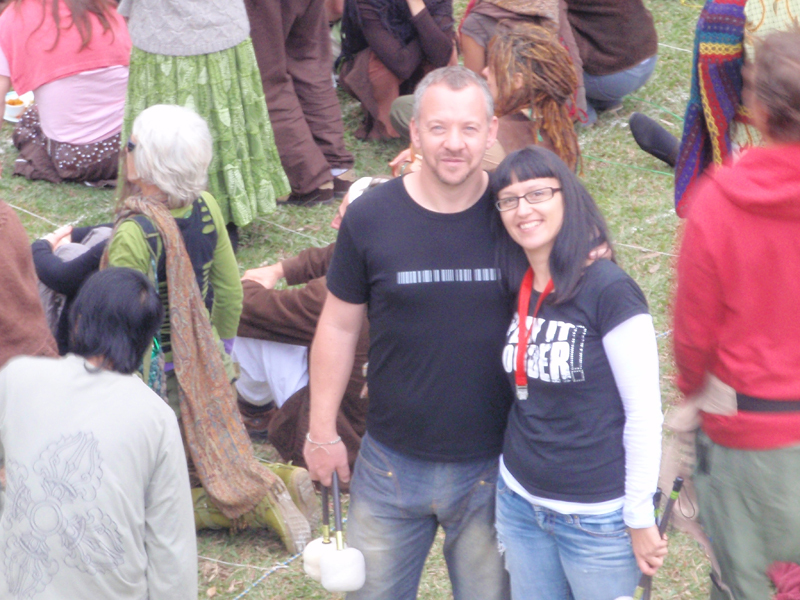 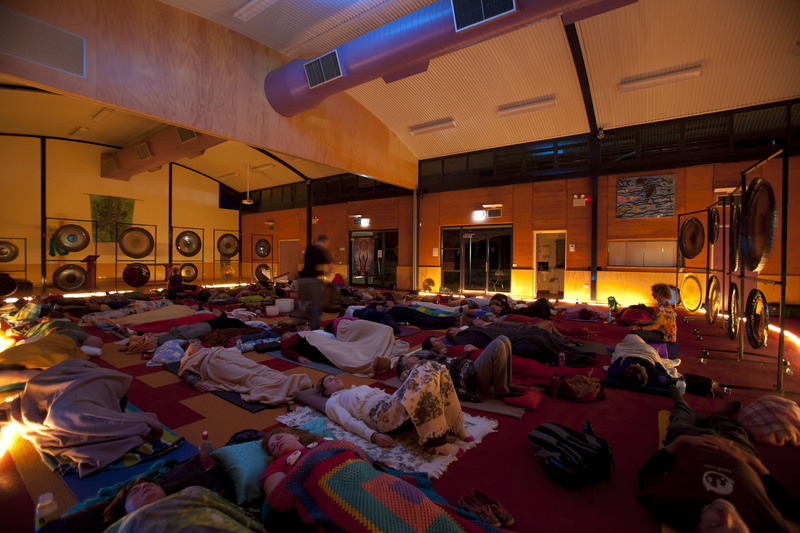 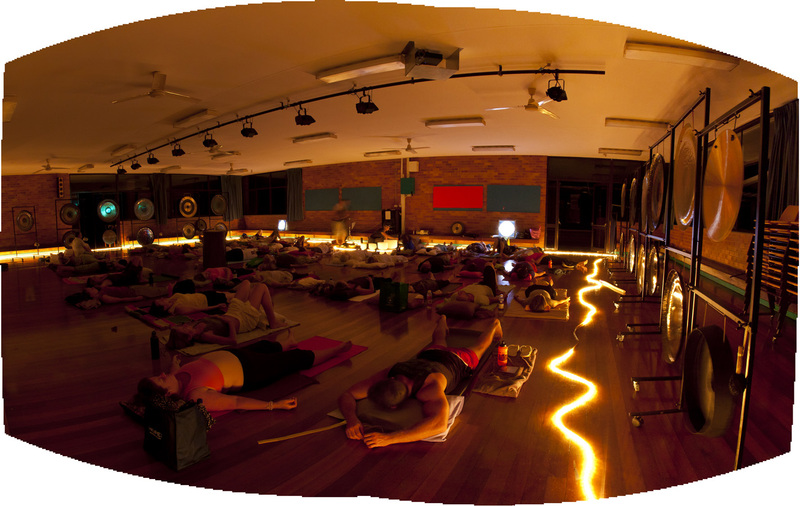 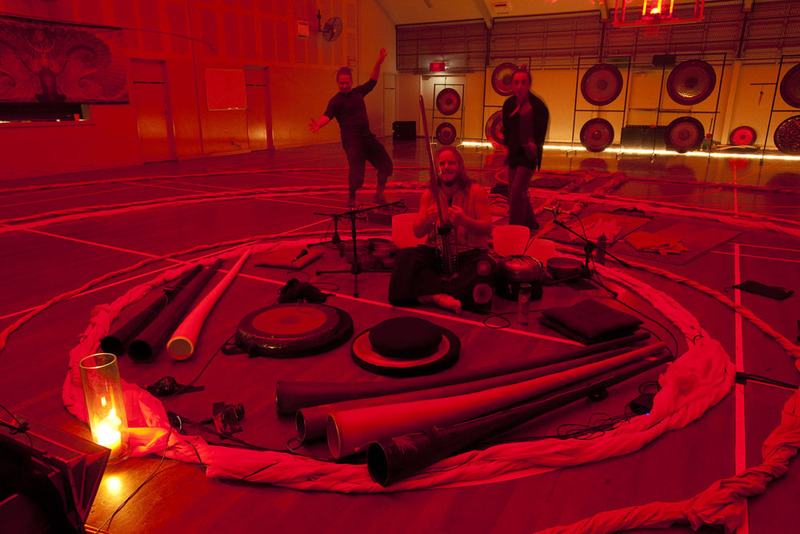 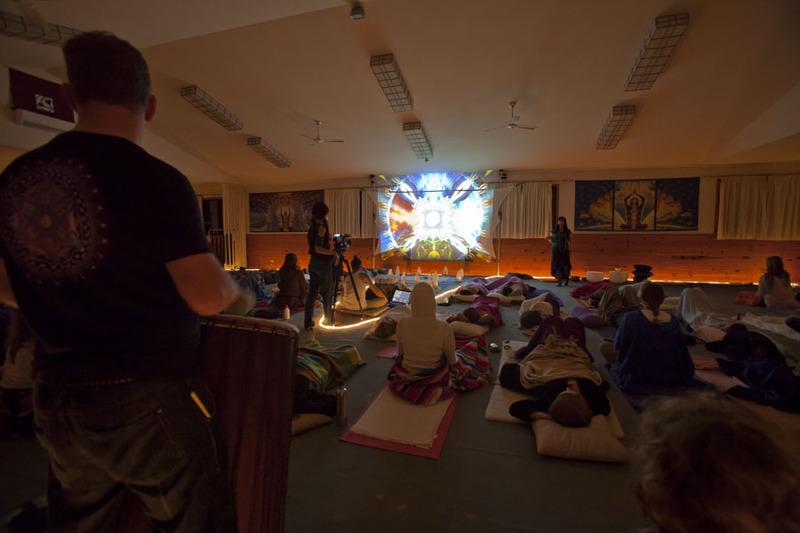 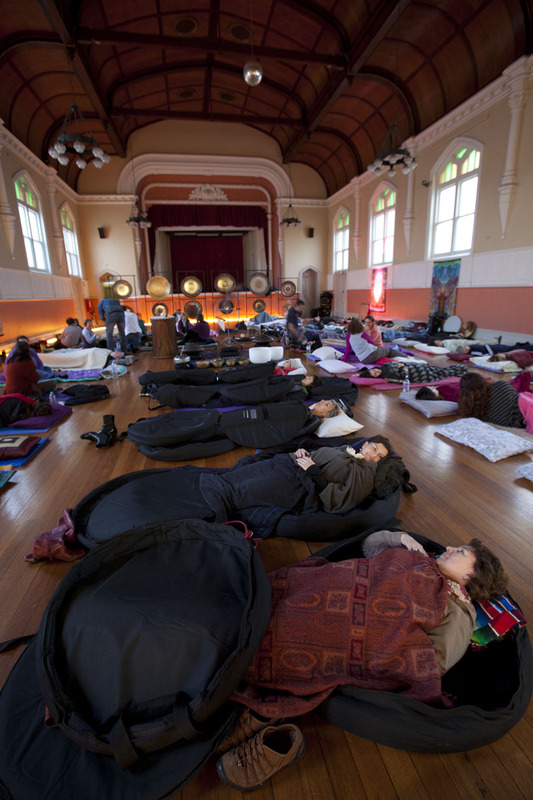 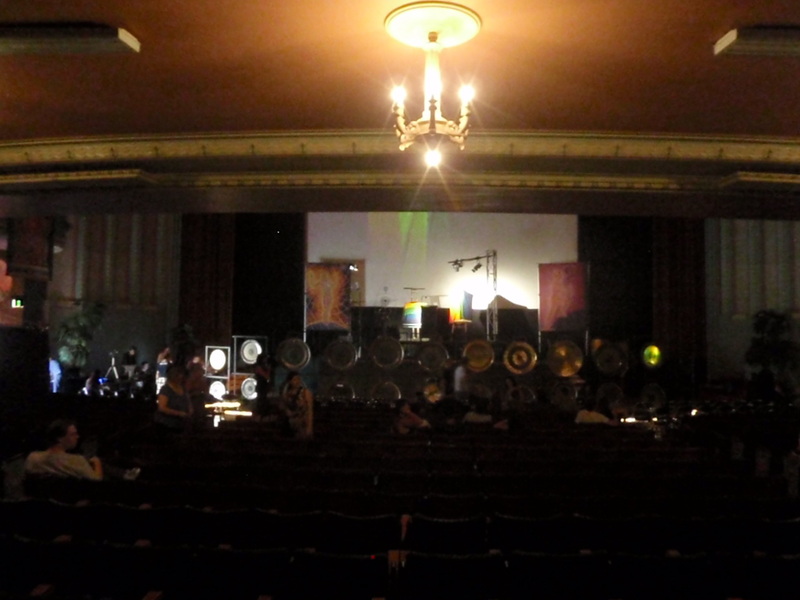 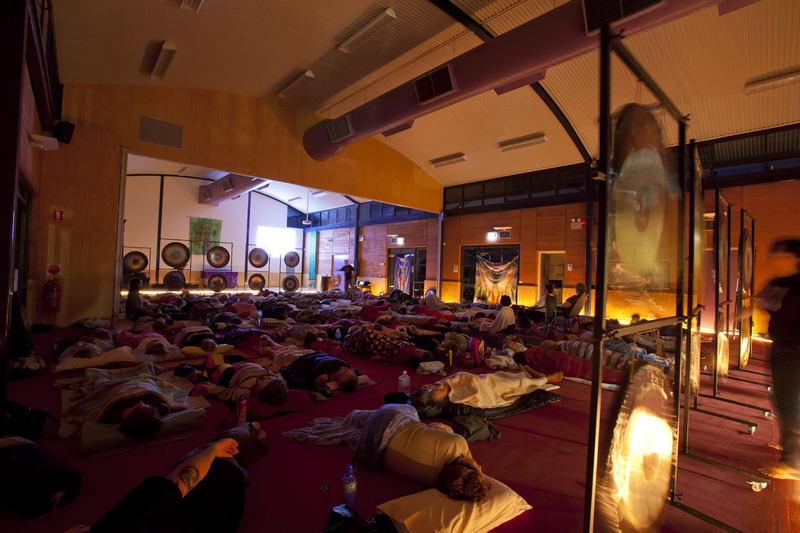 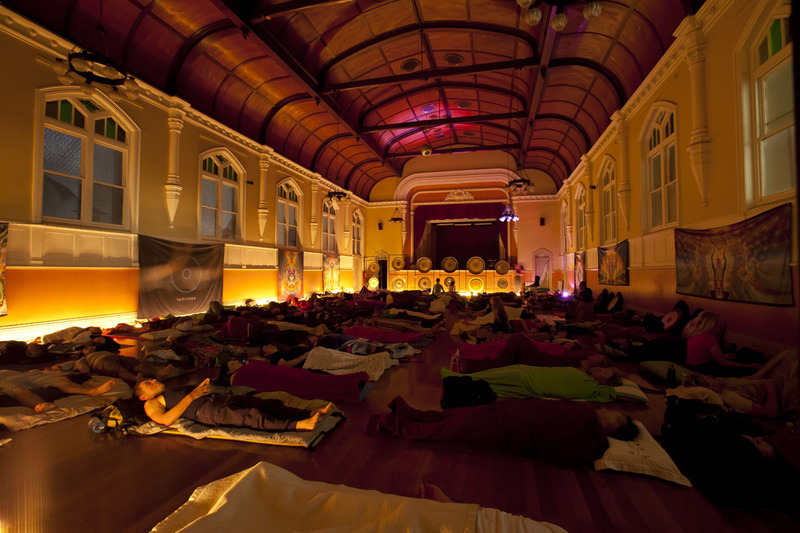 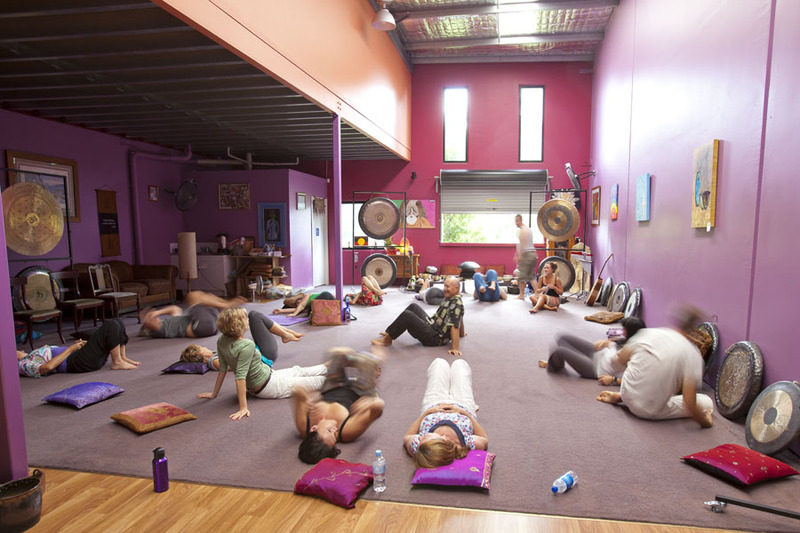 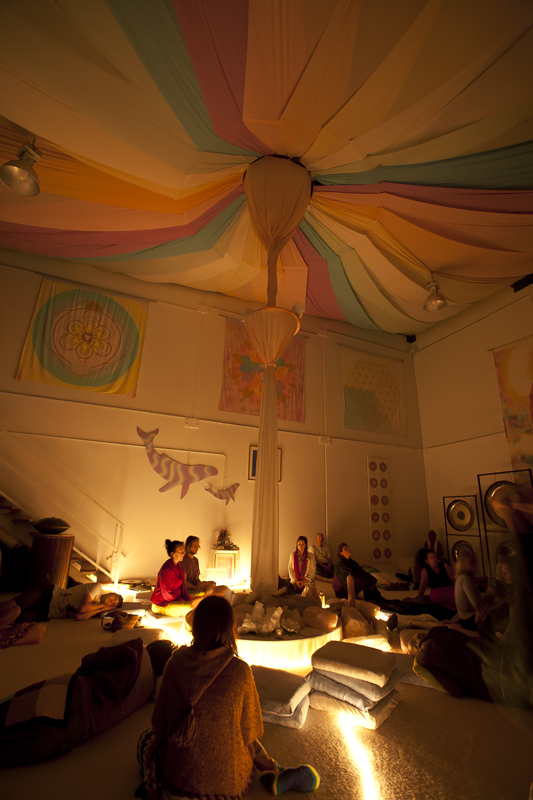 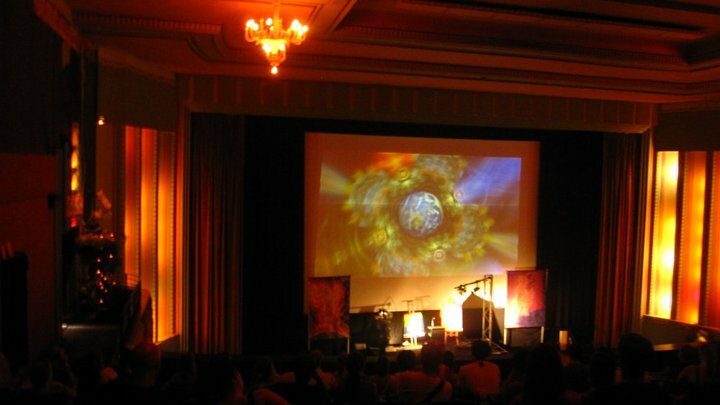 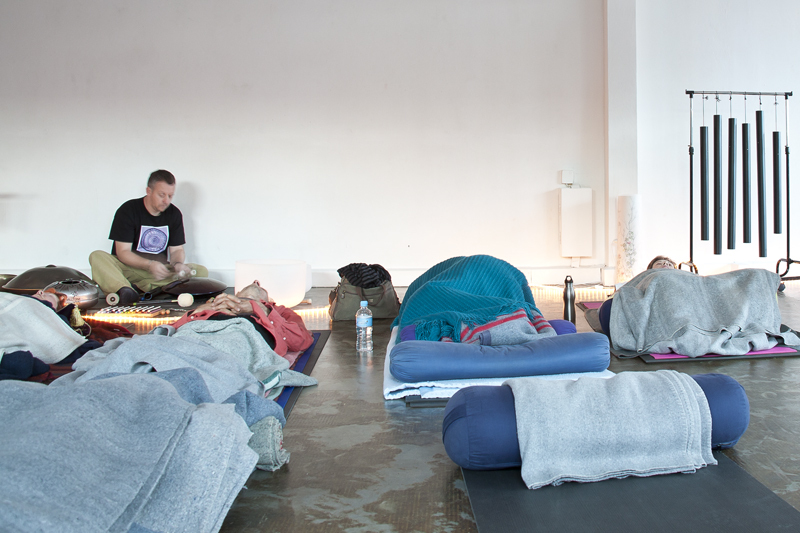 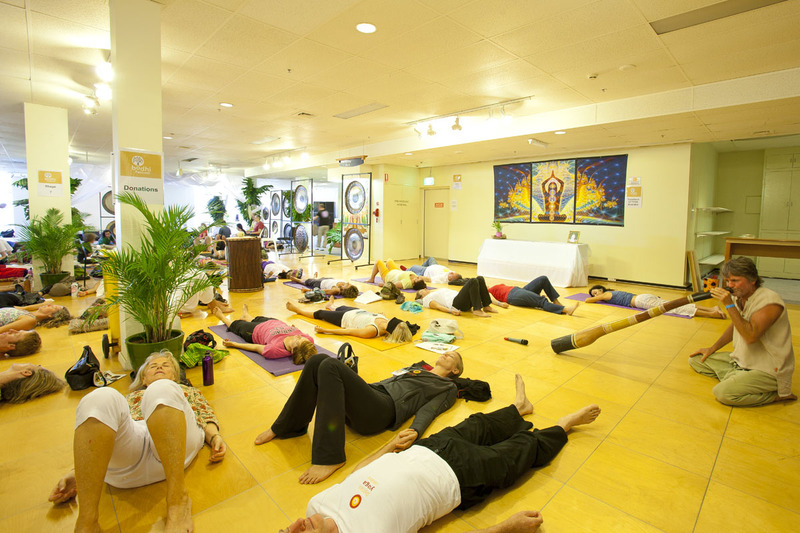 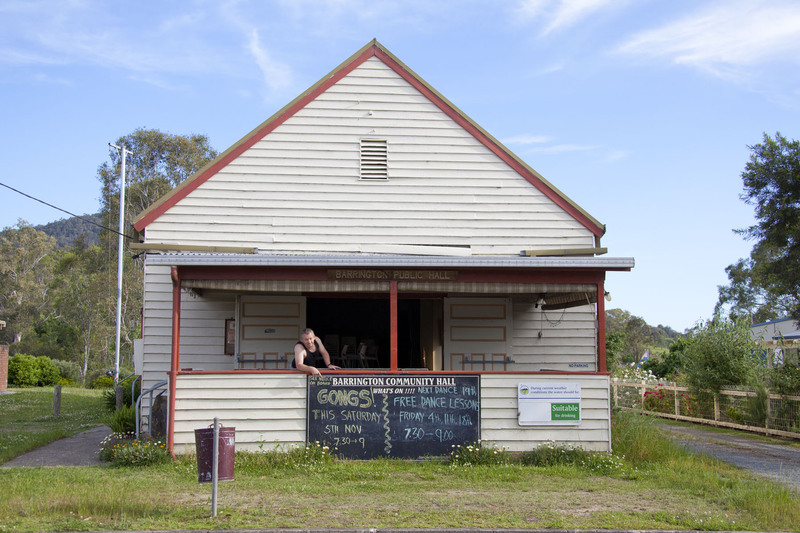 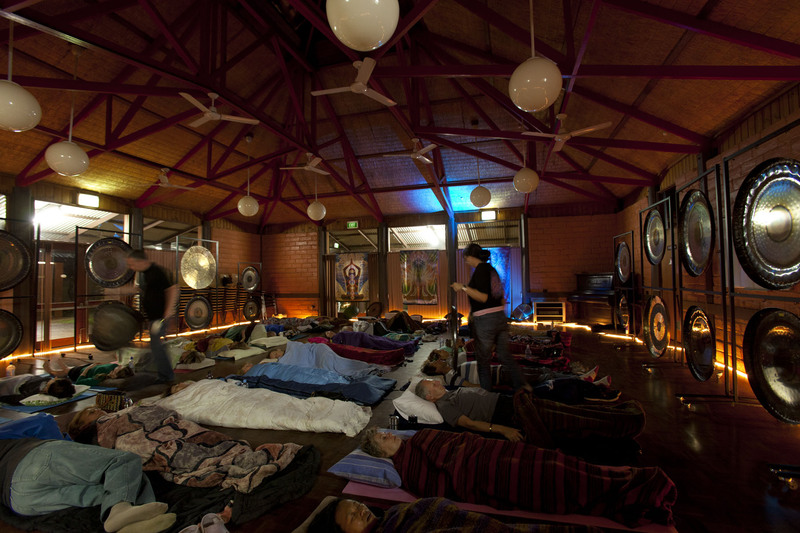 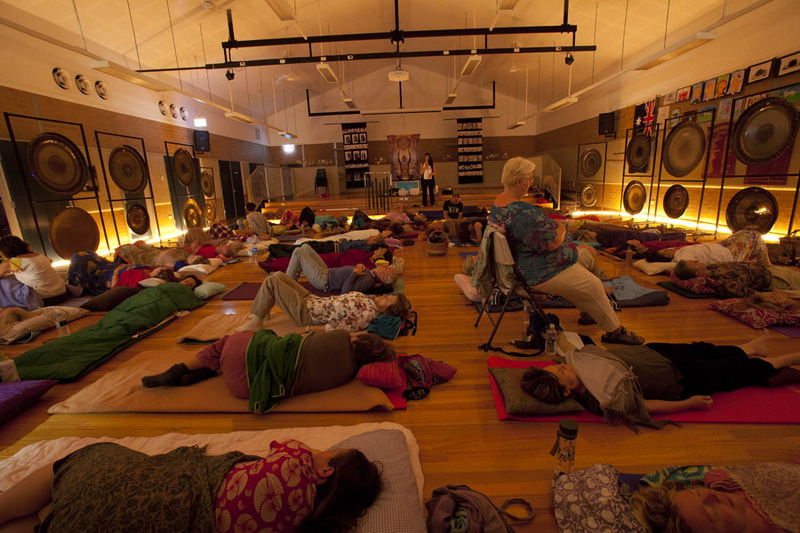 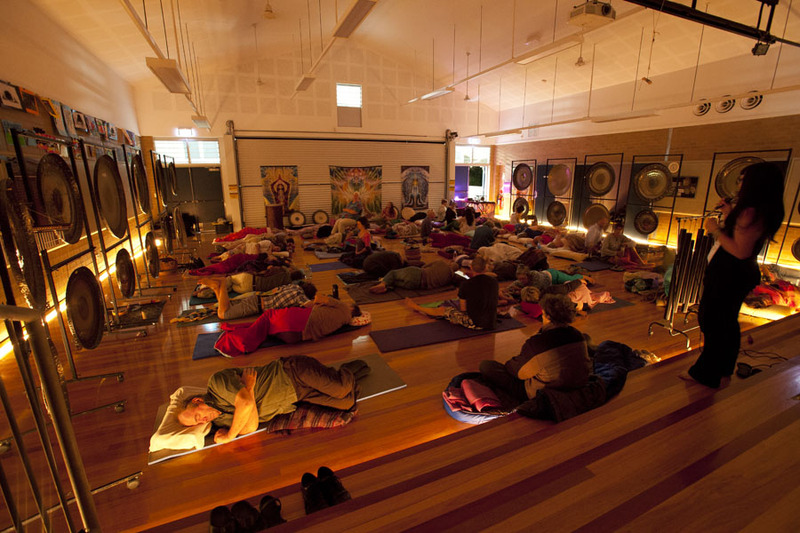 Melbourne – a new use for our gong bags! 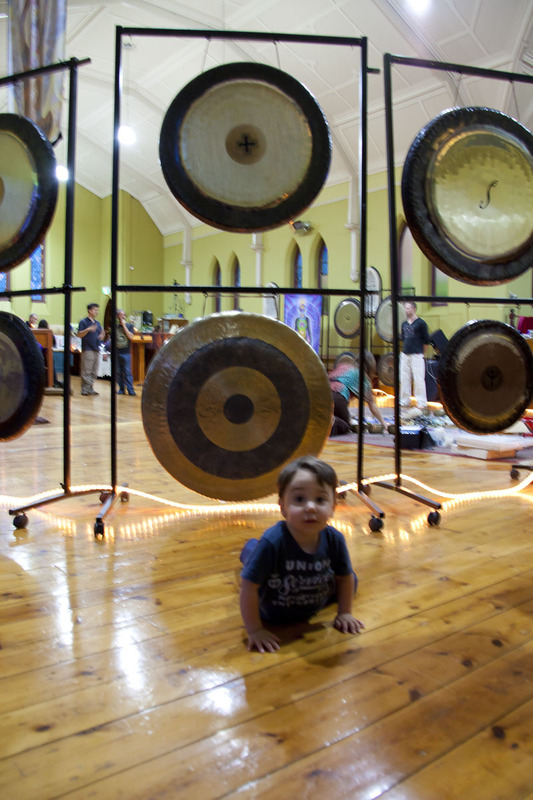 our youngest gong addict came early to get some behind the scenes vibes! 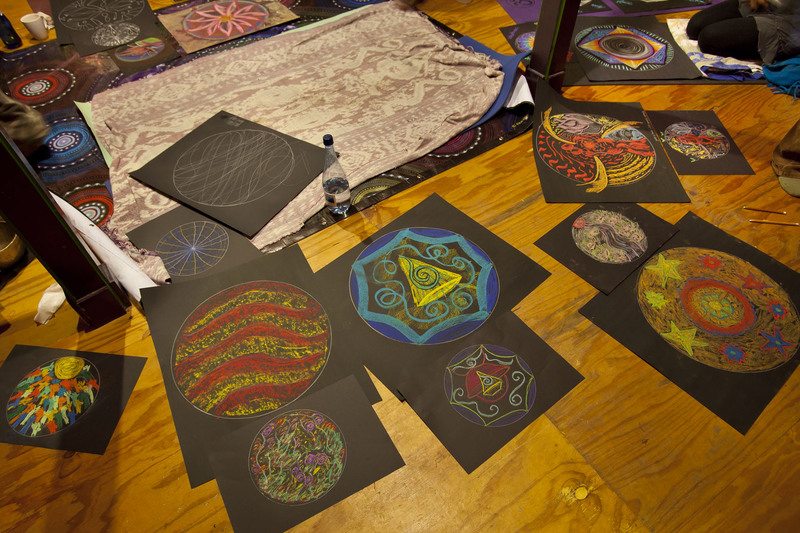 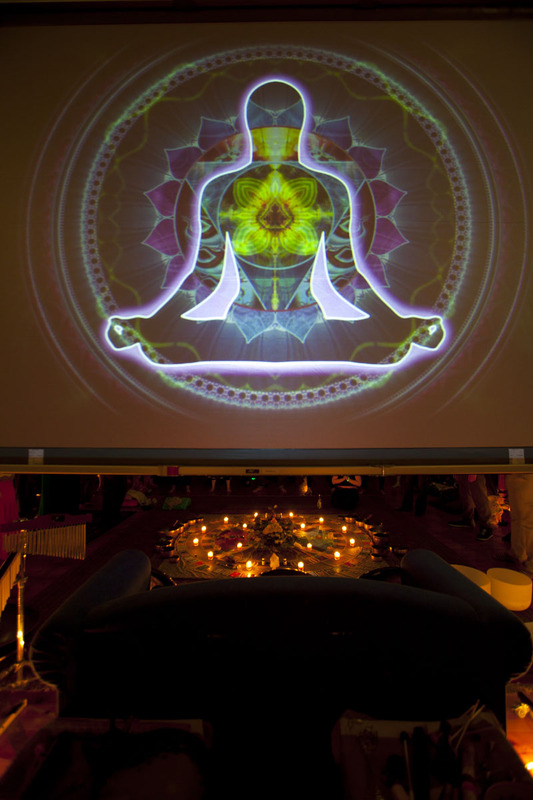 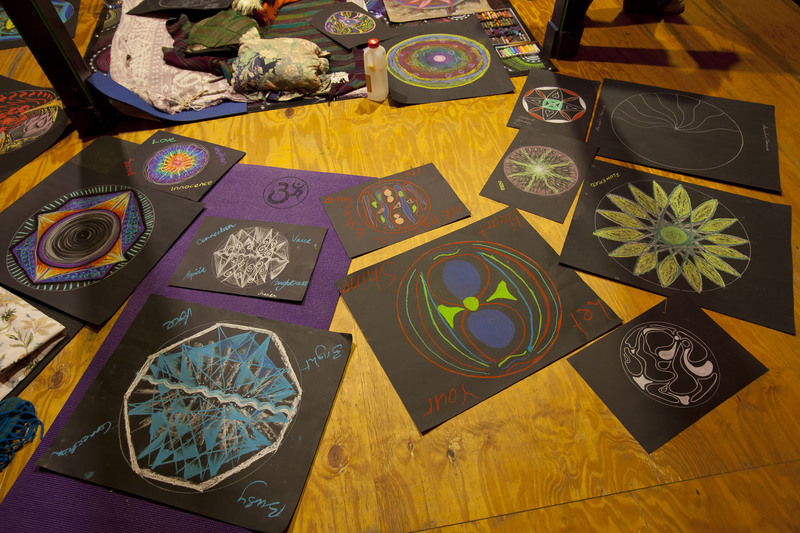 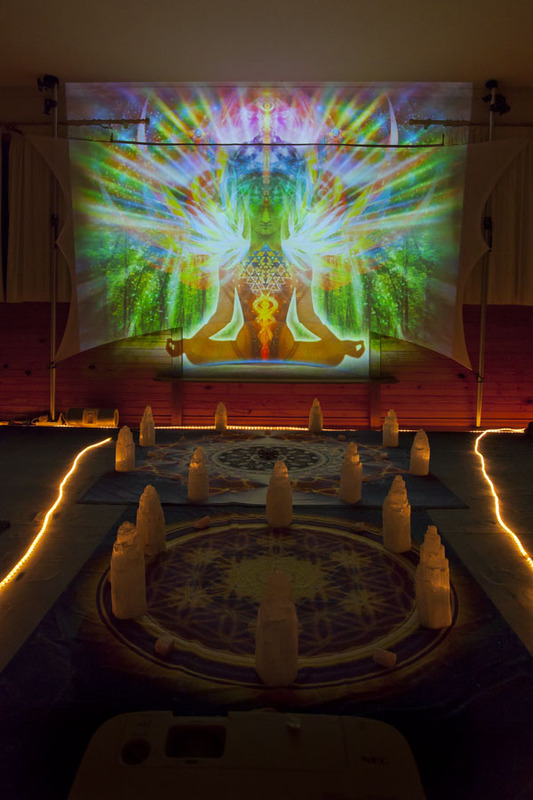 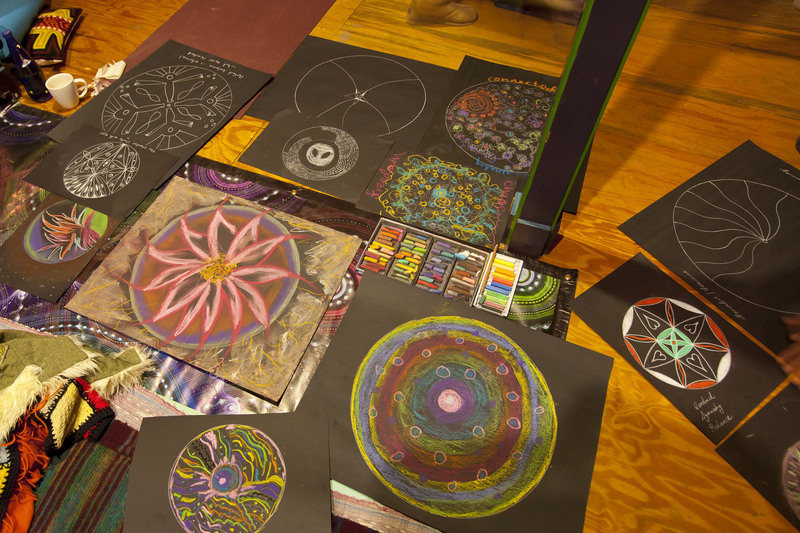 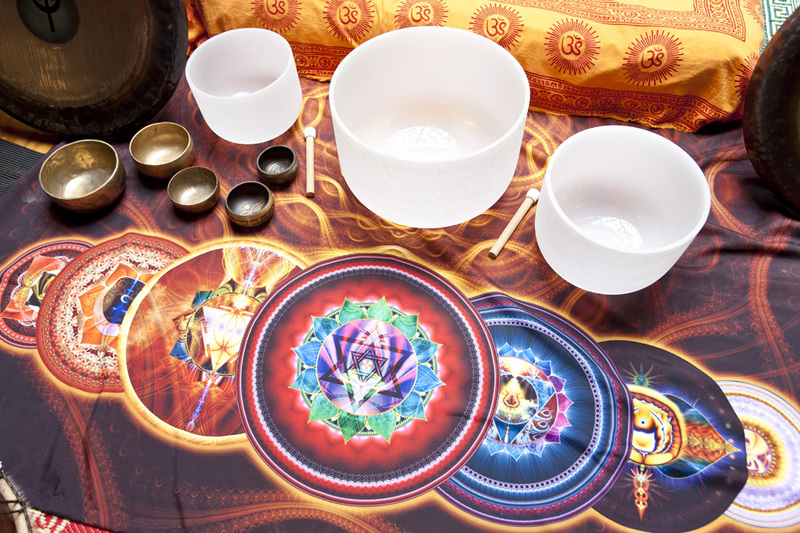 digital and non digital mandalas – both formed with crystals! 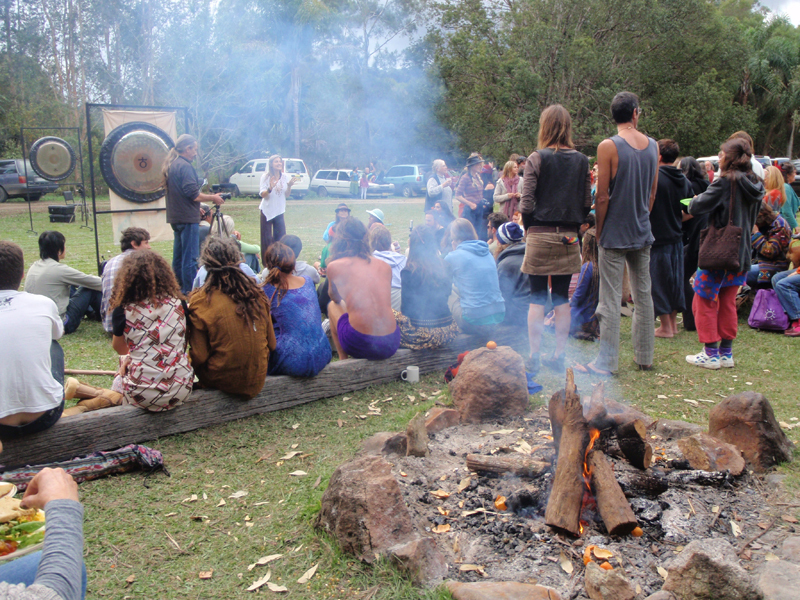 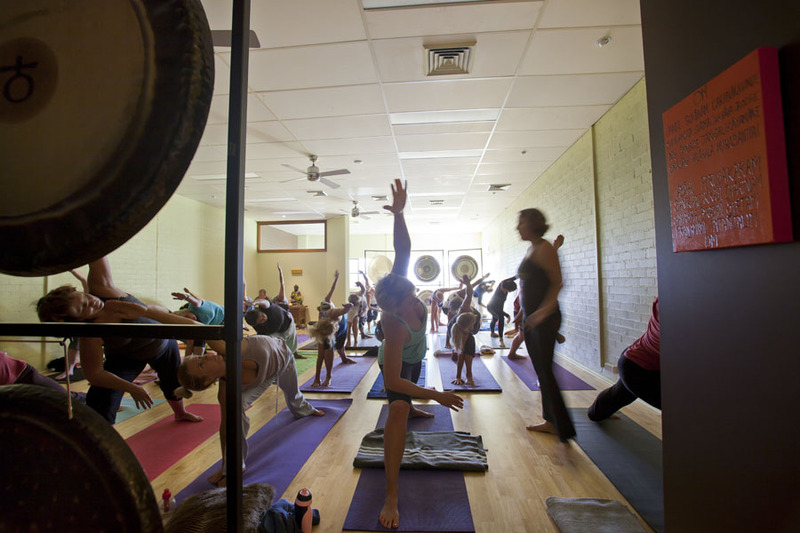 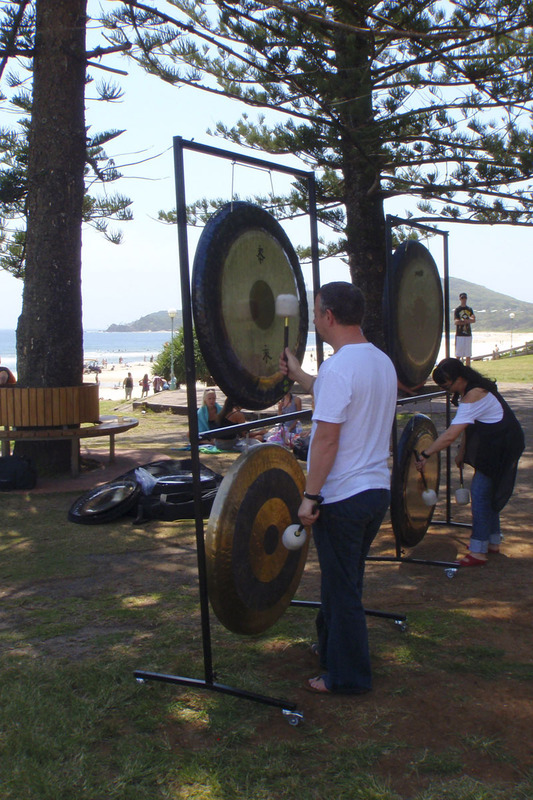 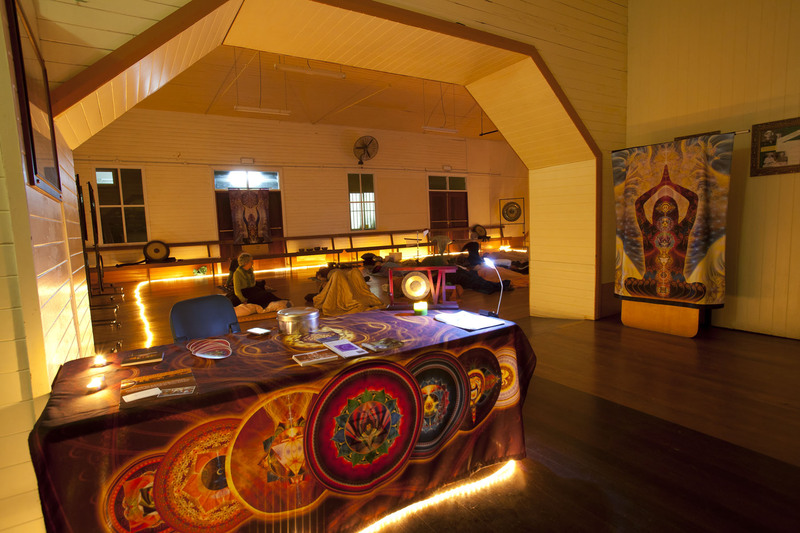 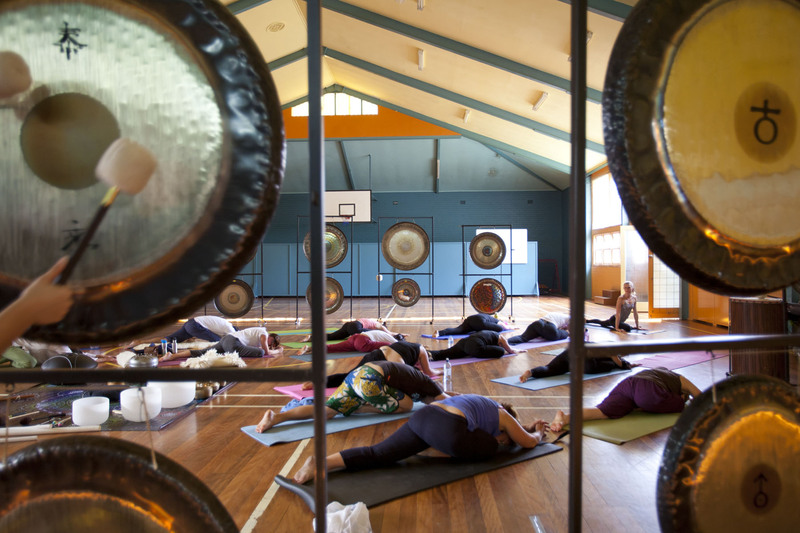 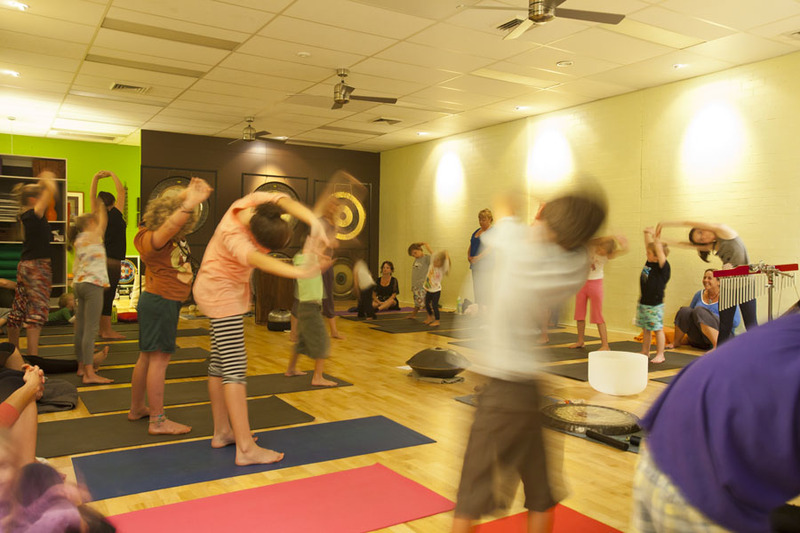 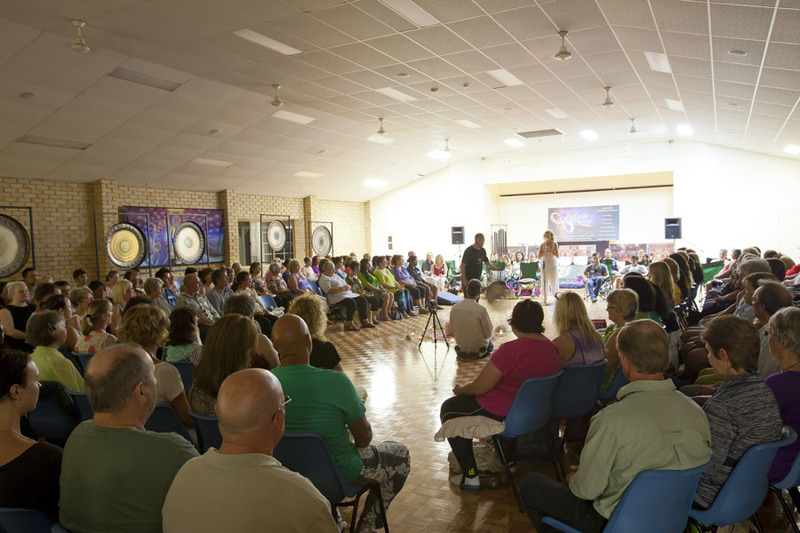 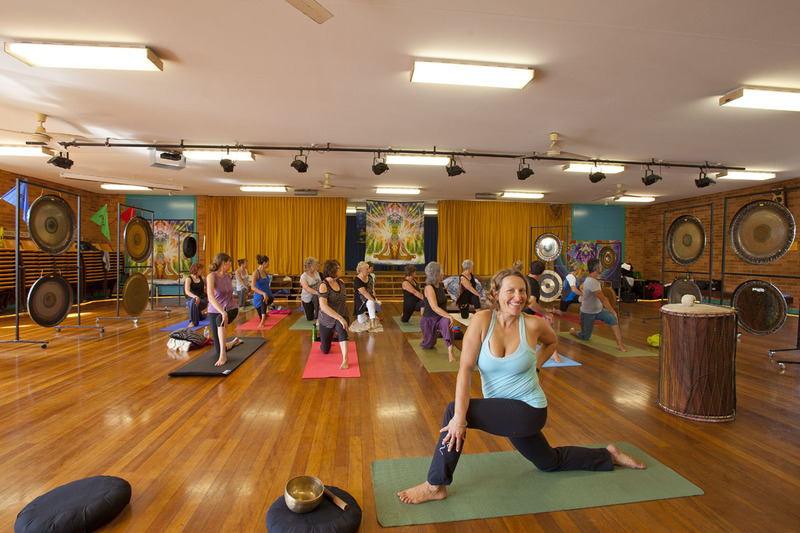 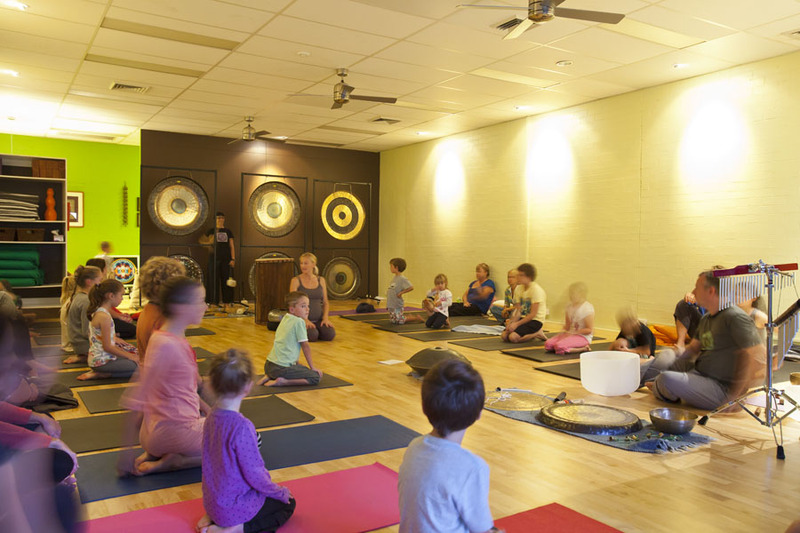 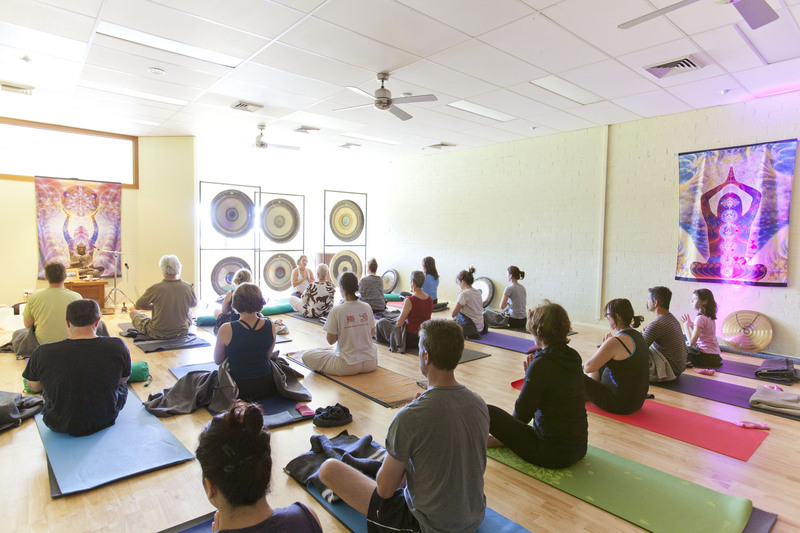 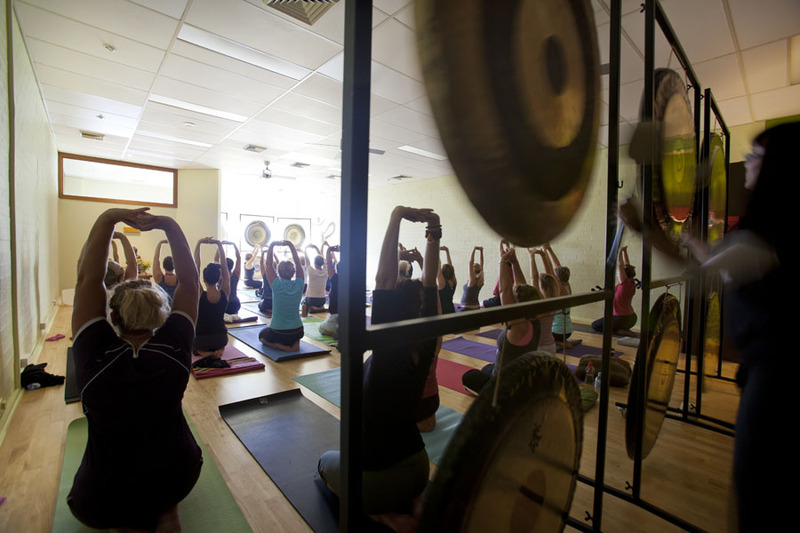 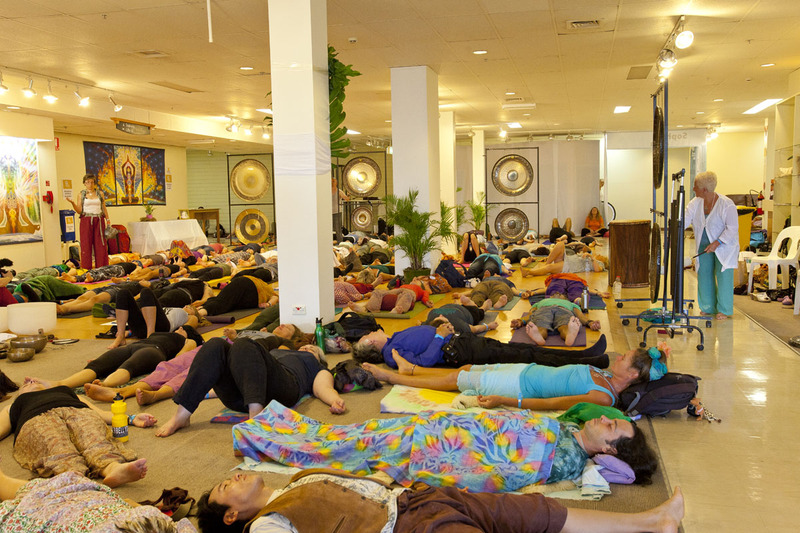 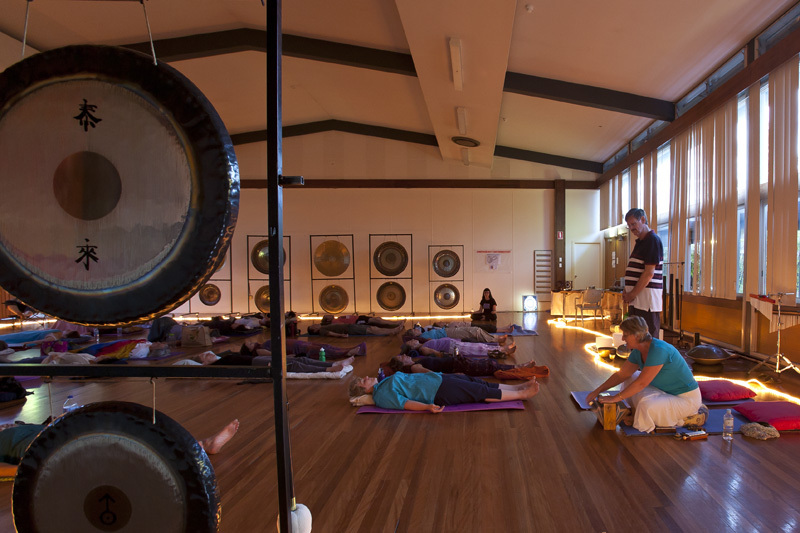 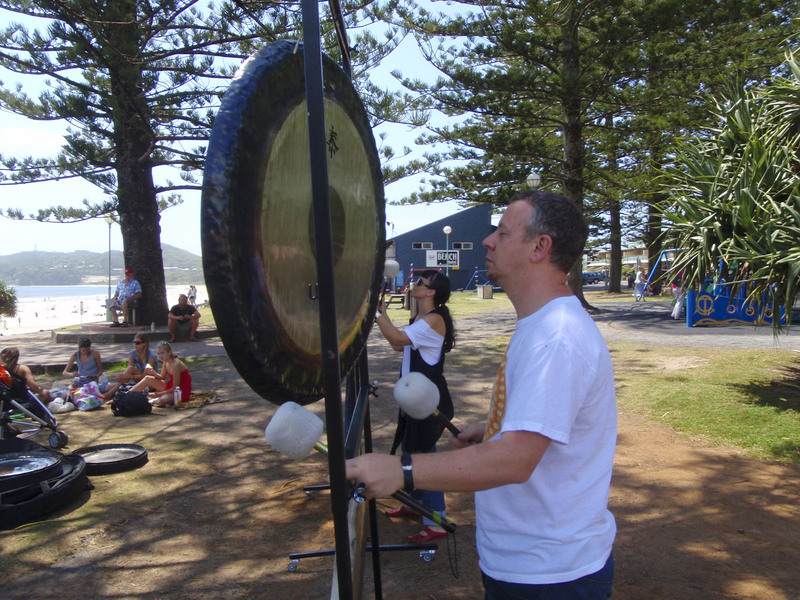 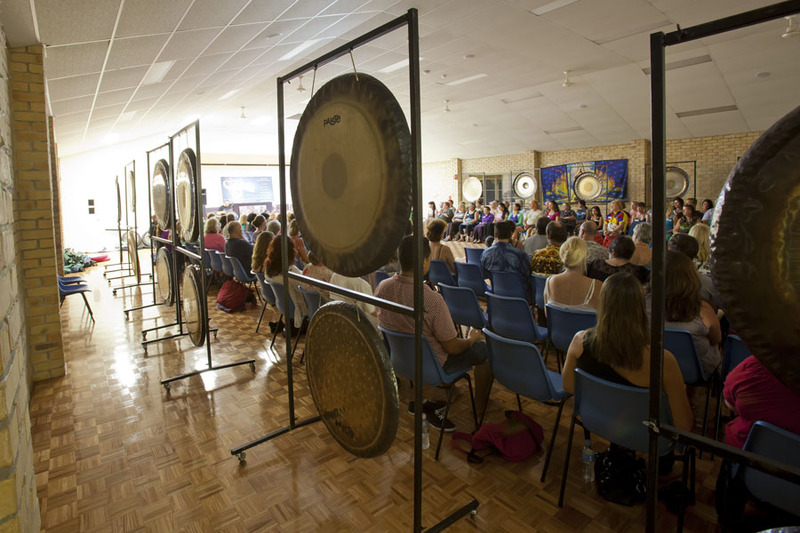 More gongs at Temple Byron! 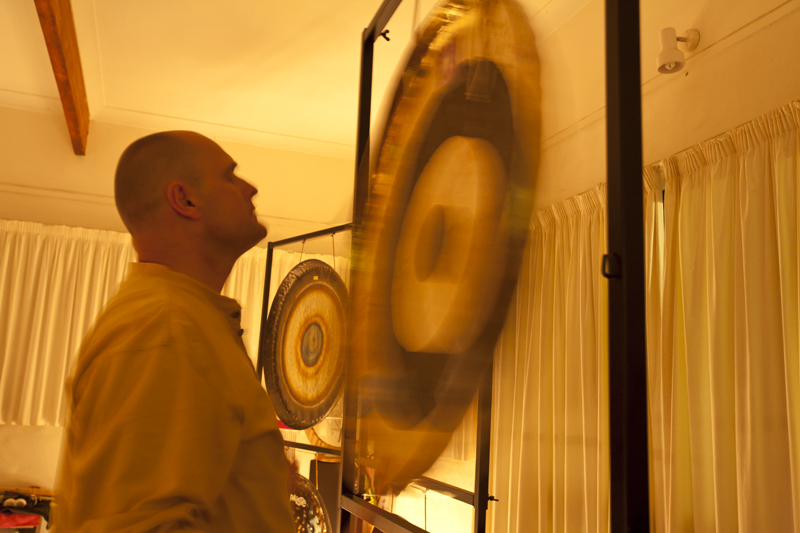 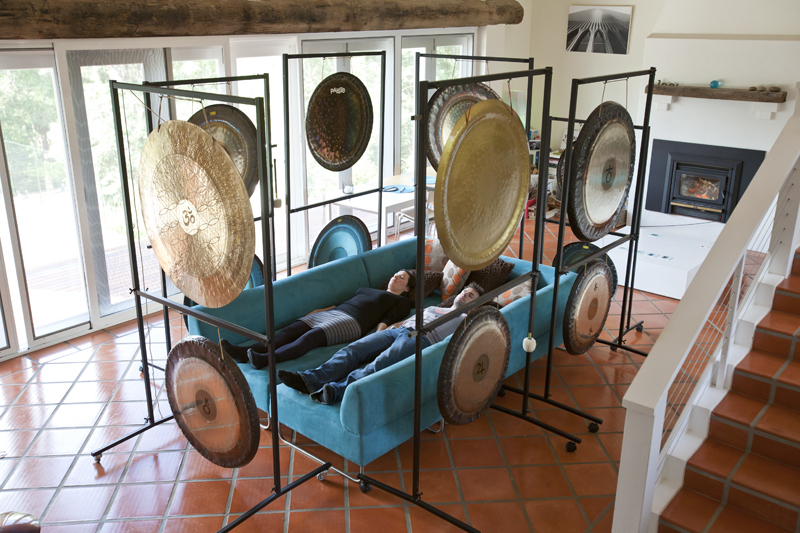 at home with the gongs! 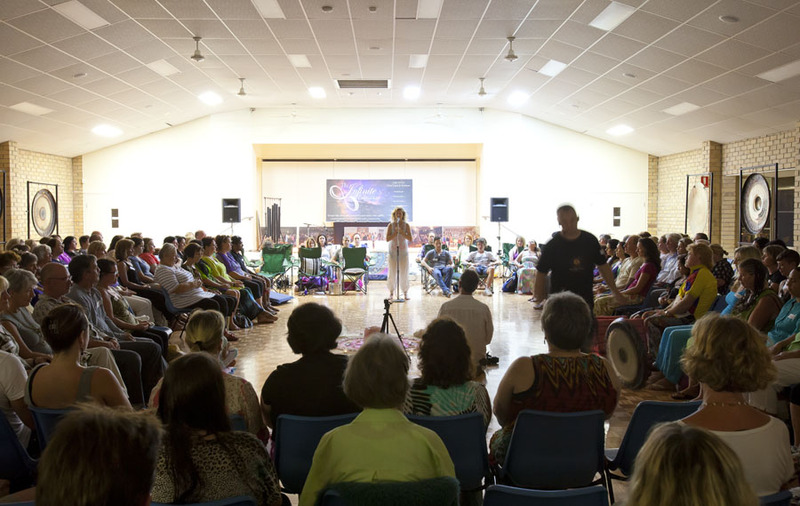 at home – up close & personal! 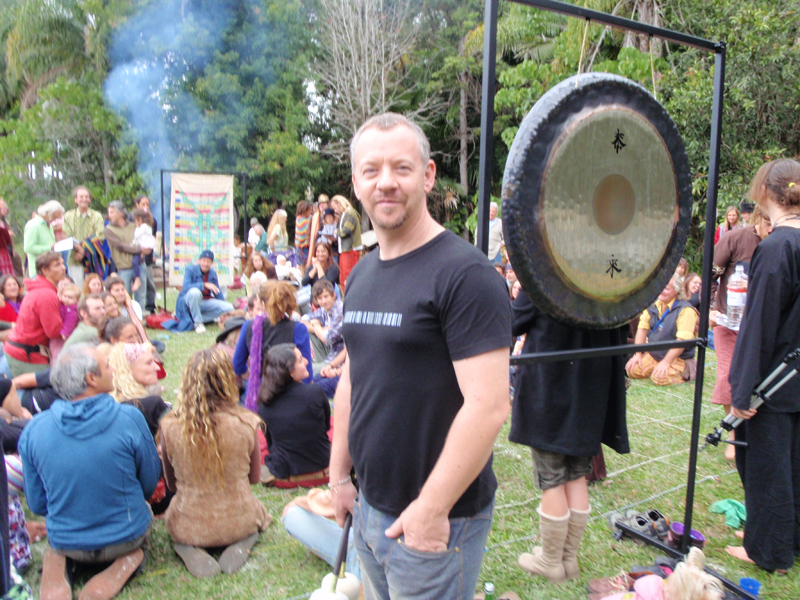 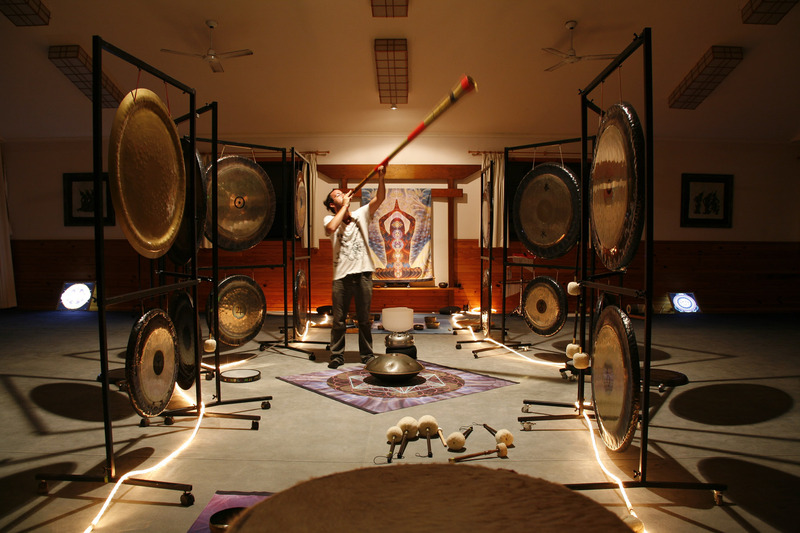 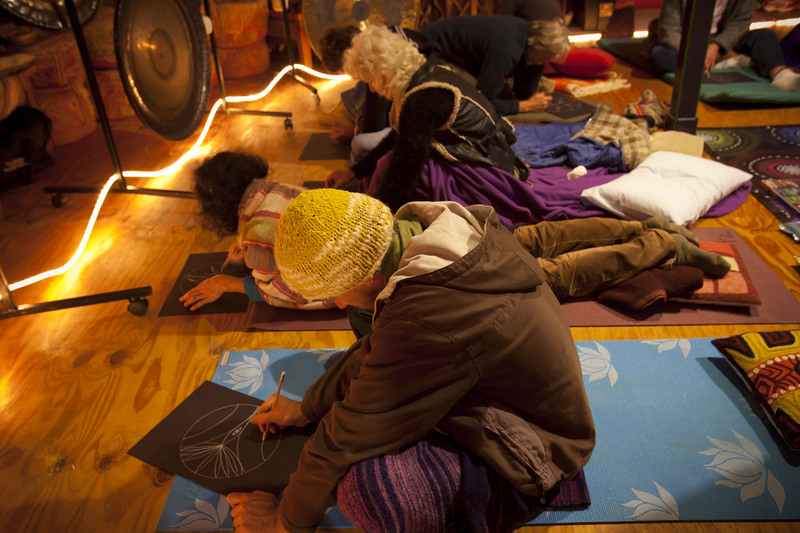 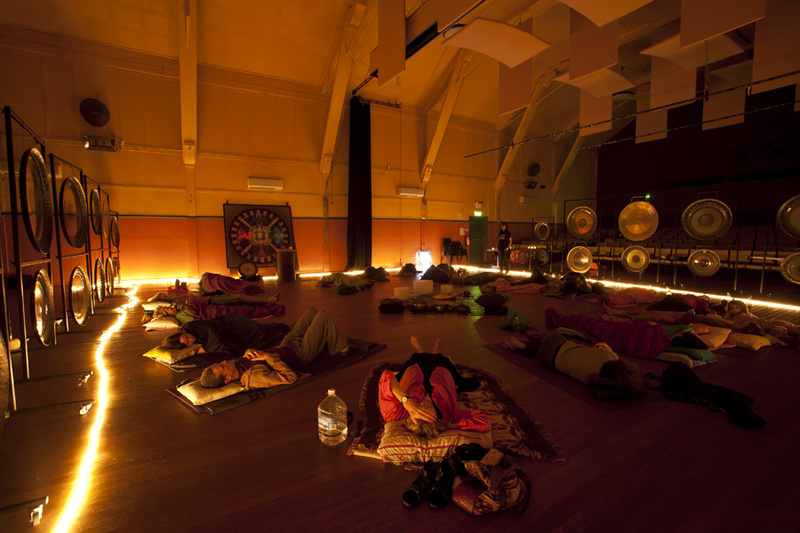 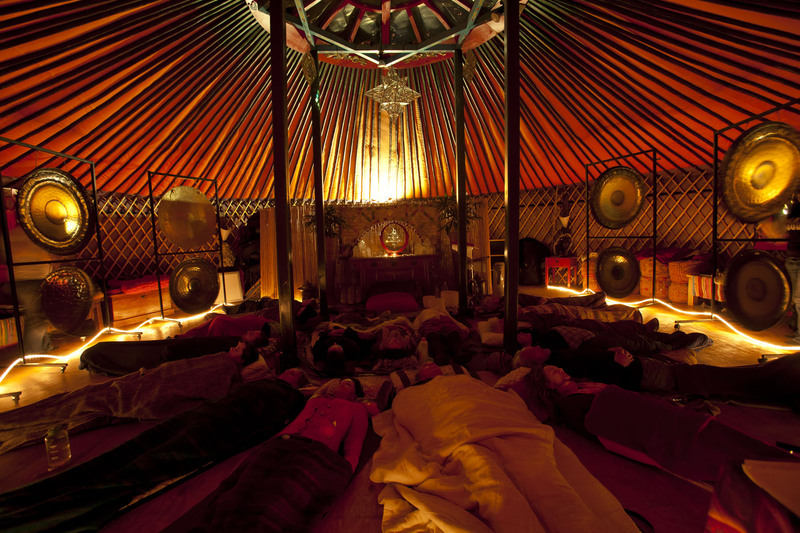 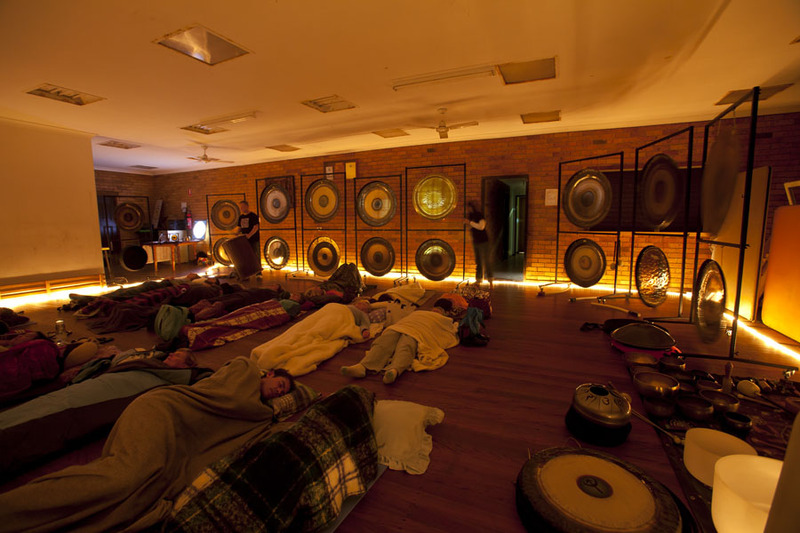 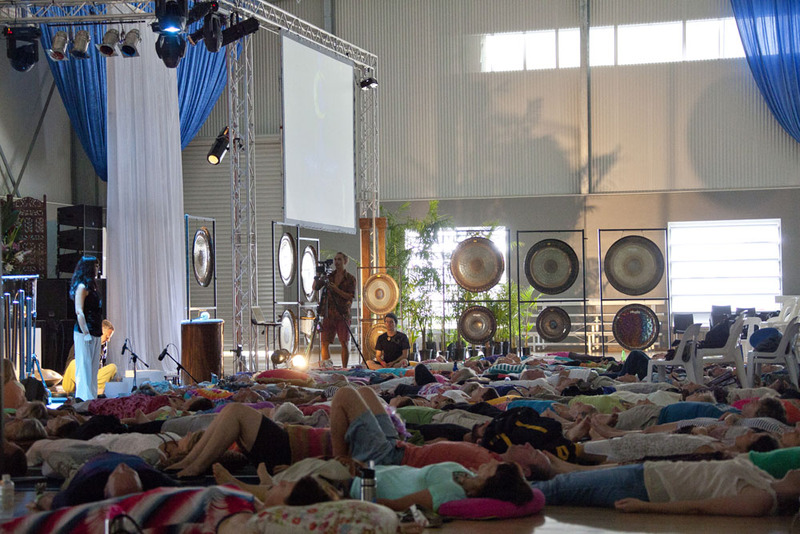 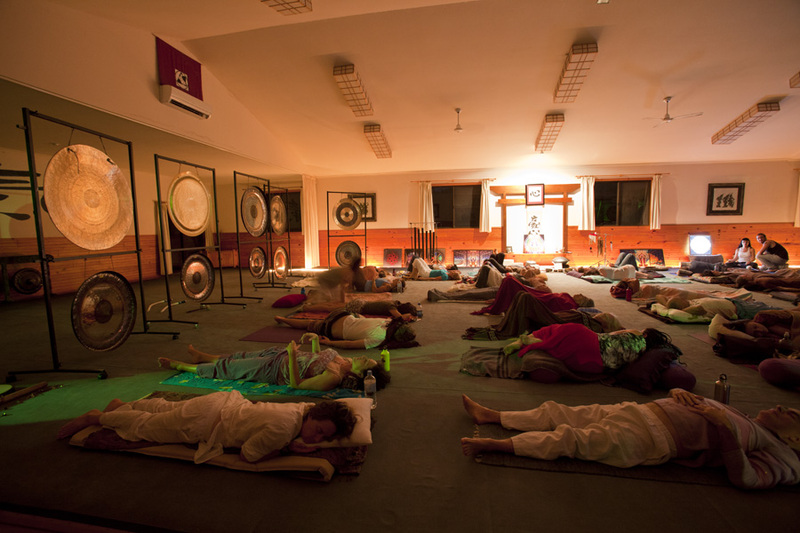 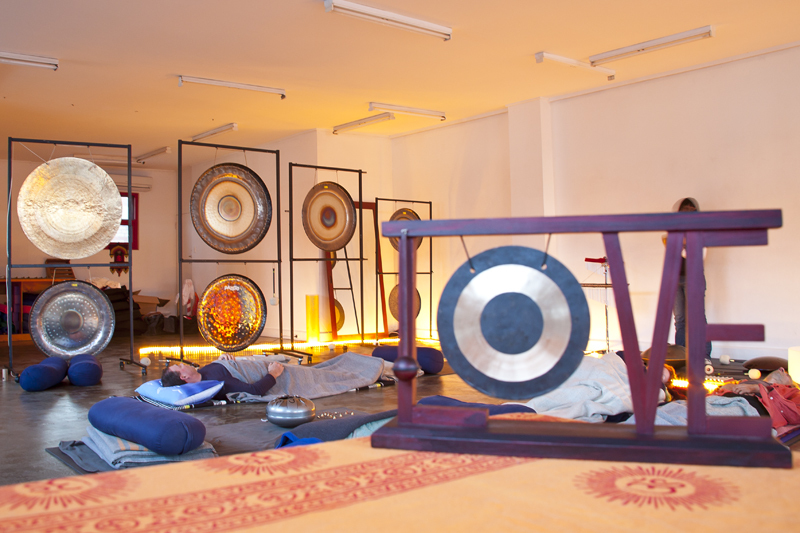 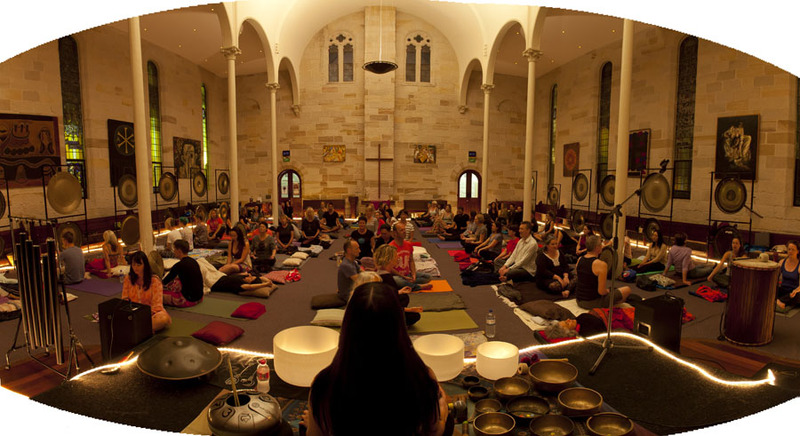 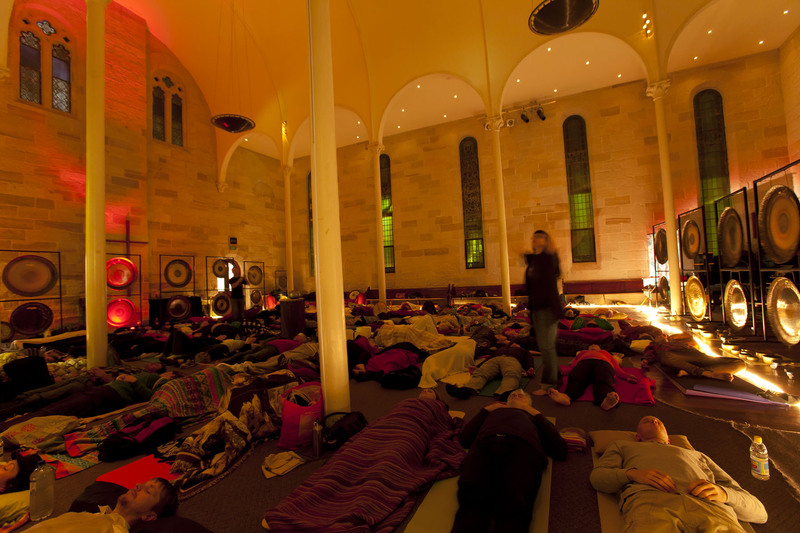 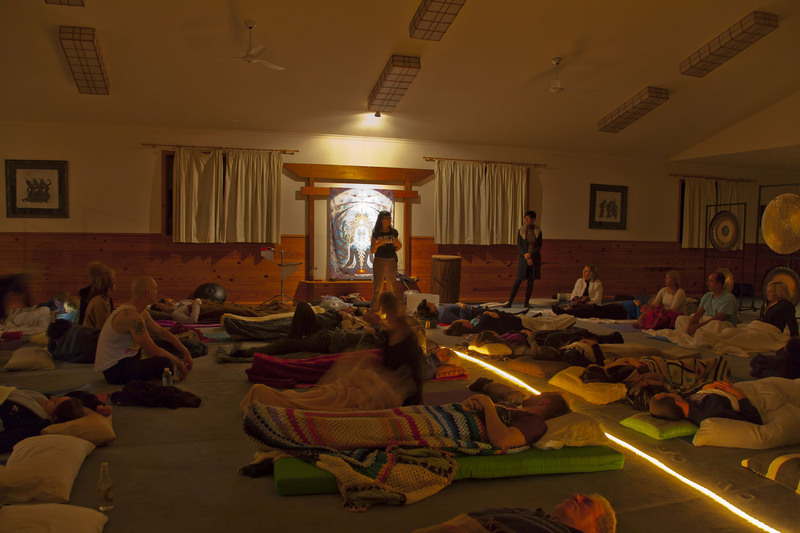 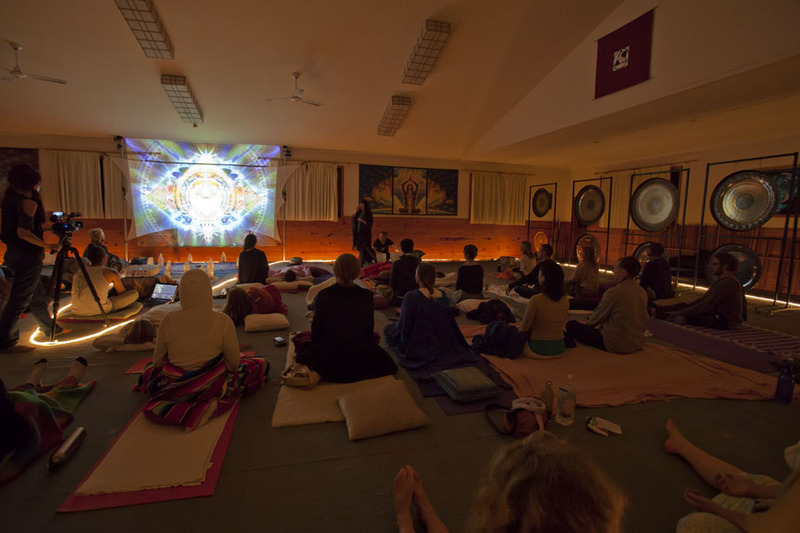 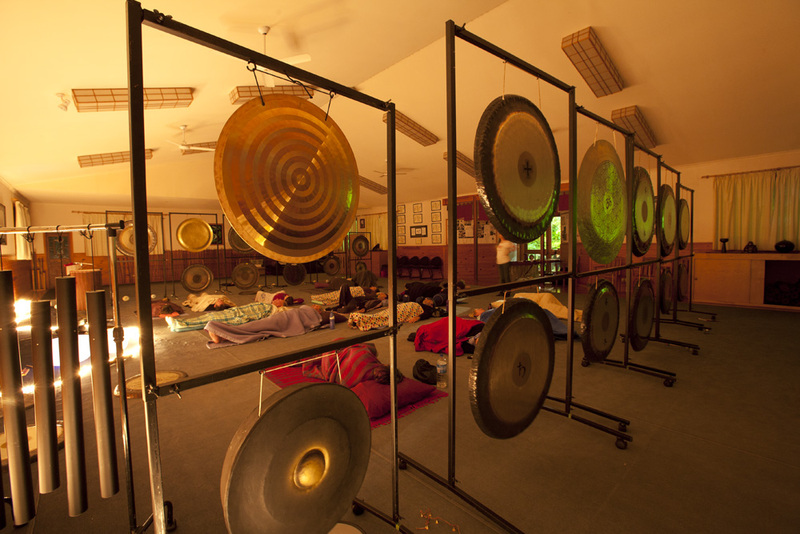 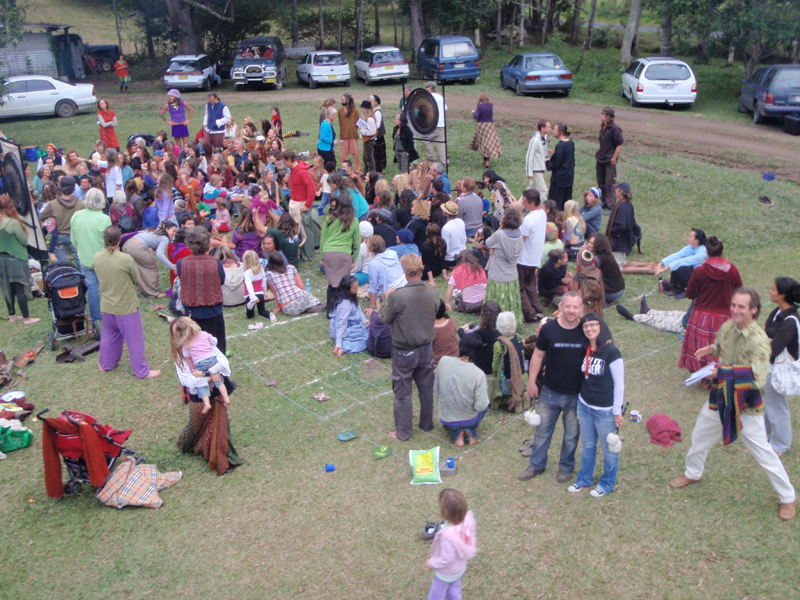 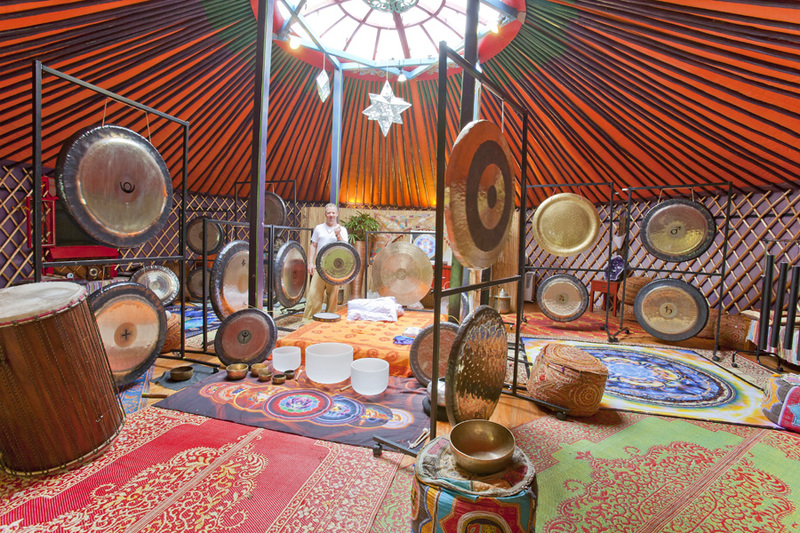 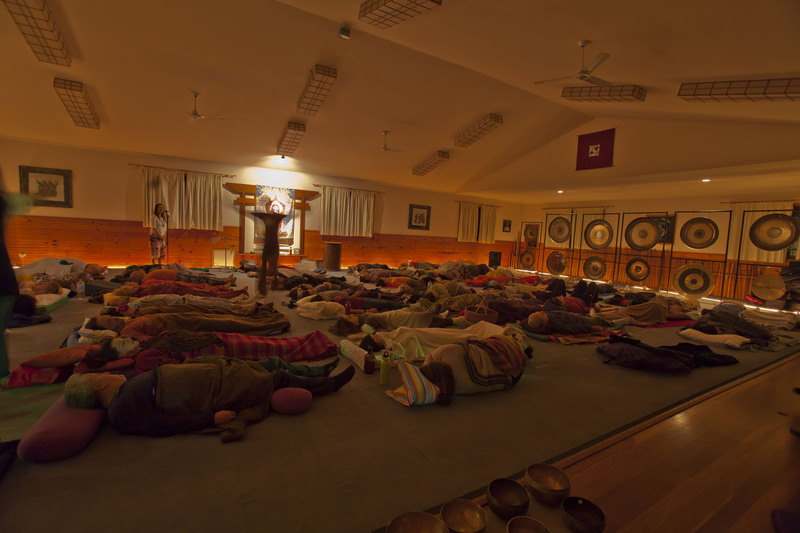 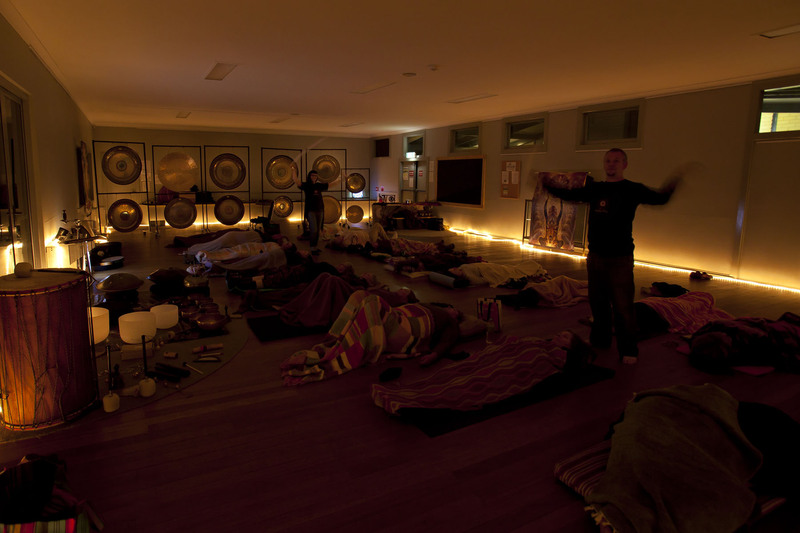 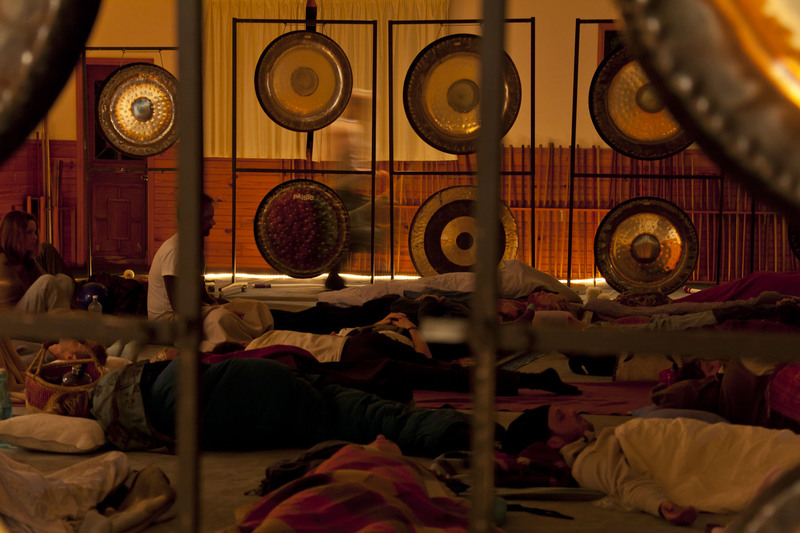 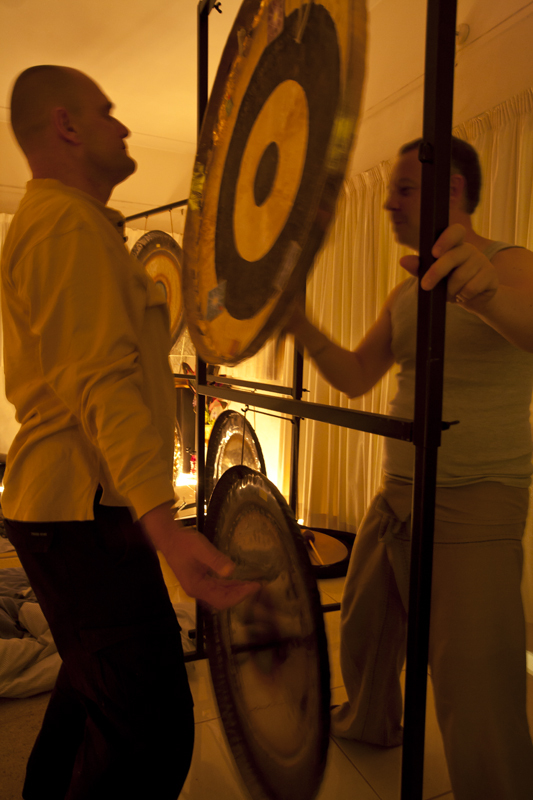 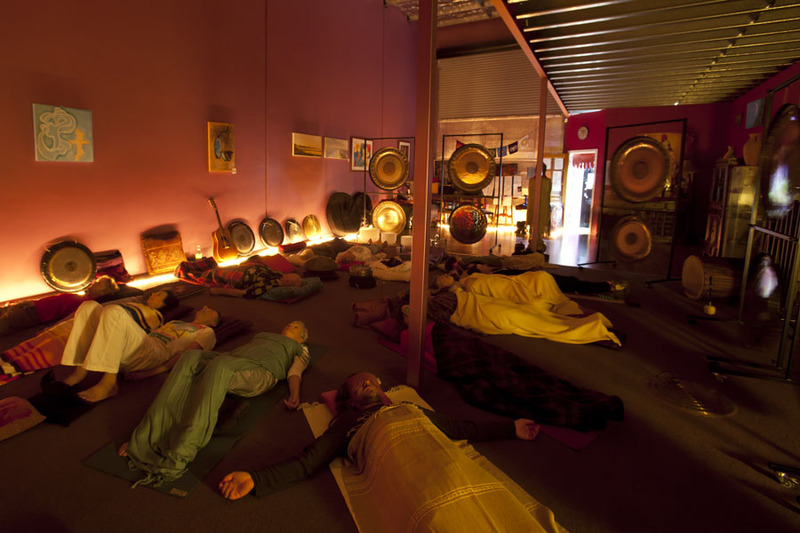 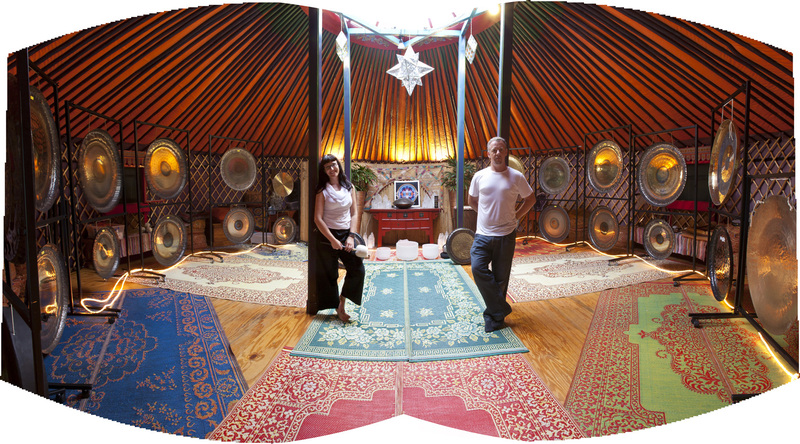 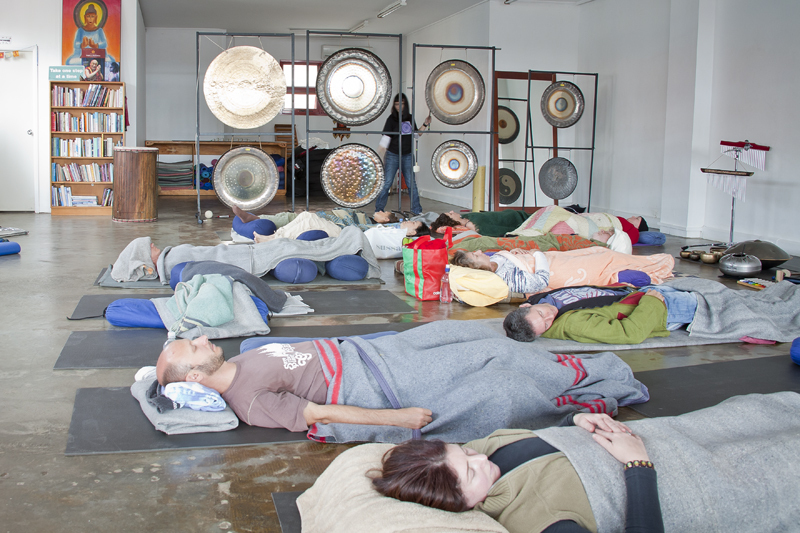 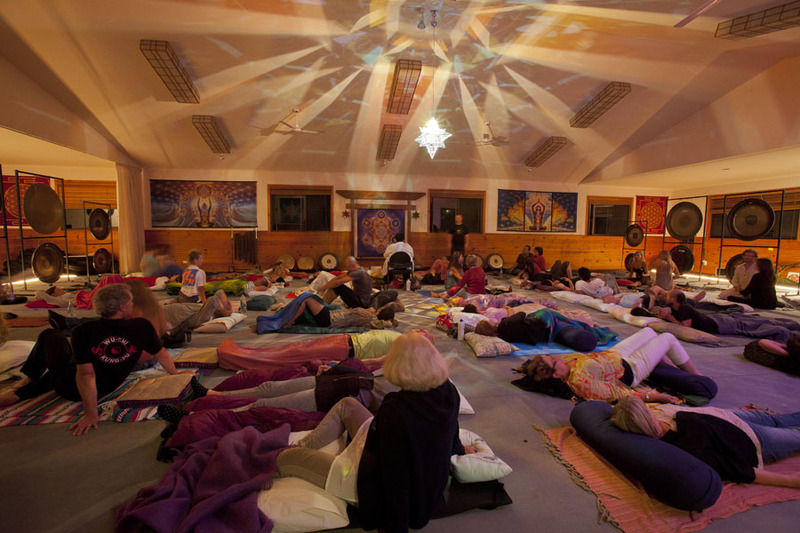 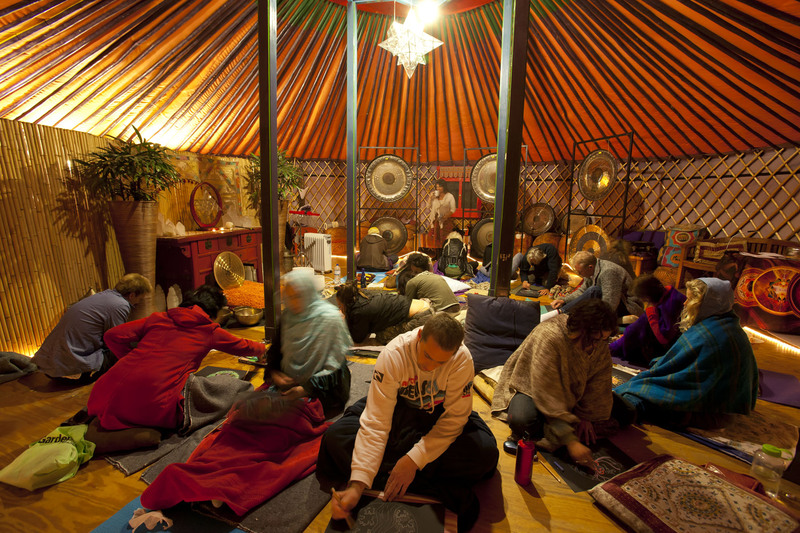 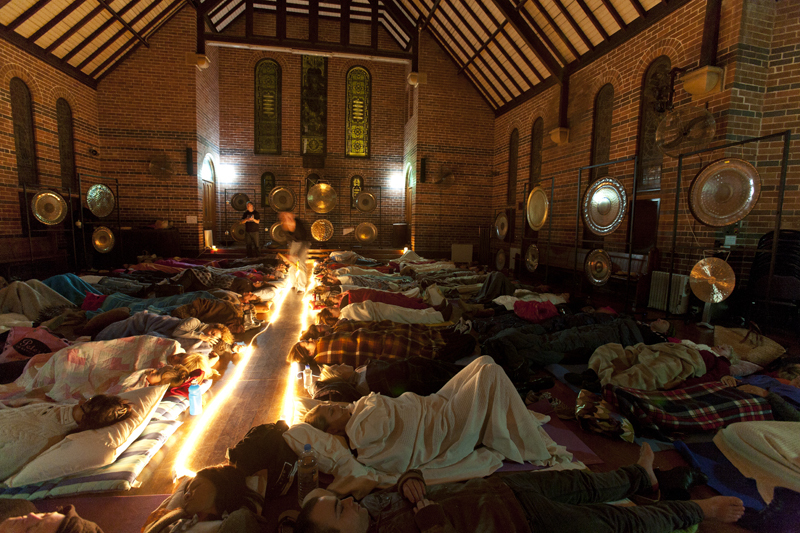 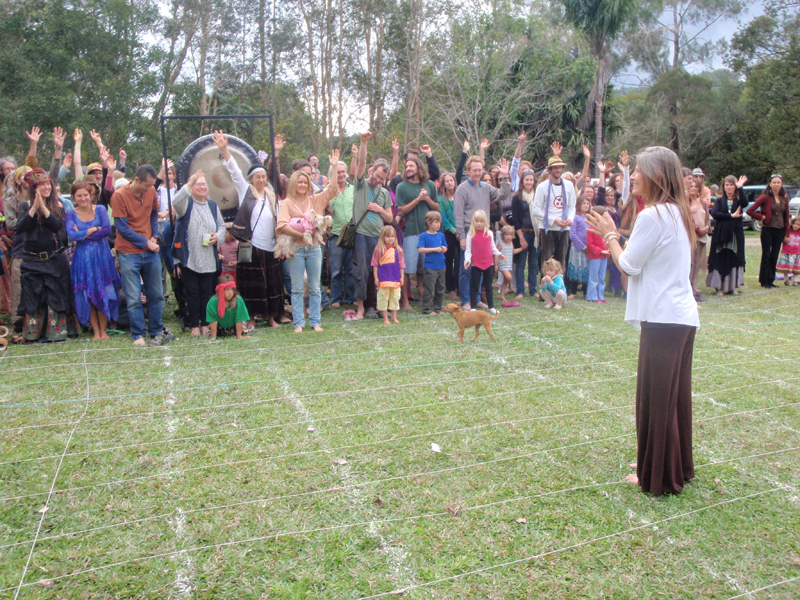 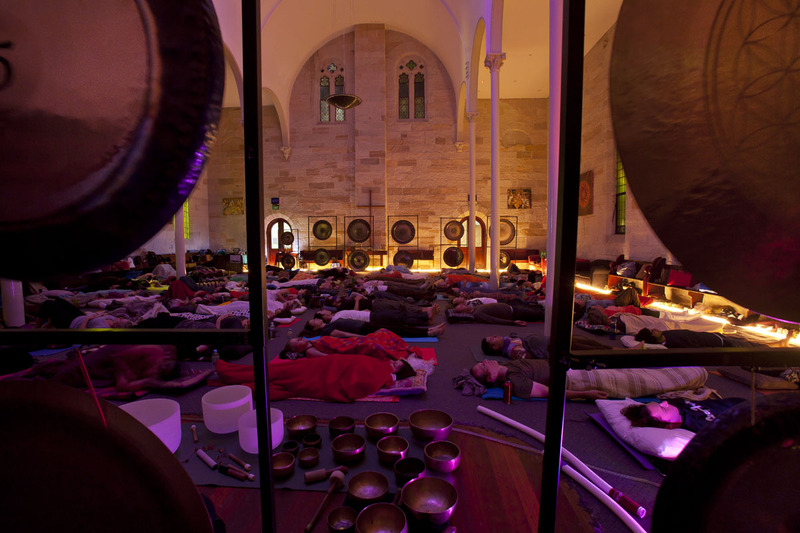 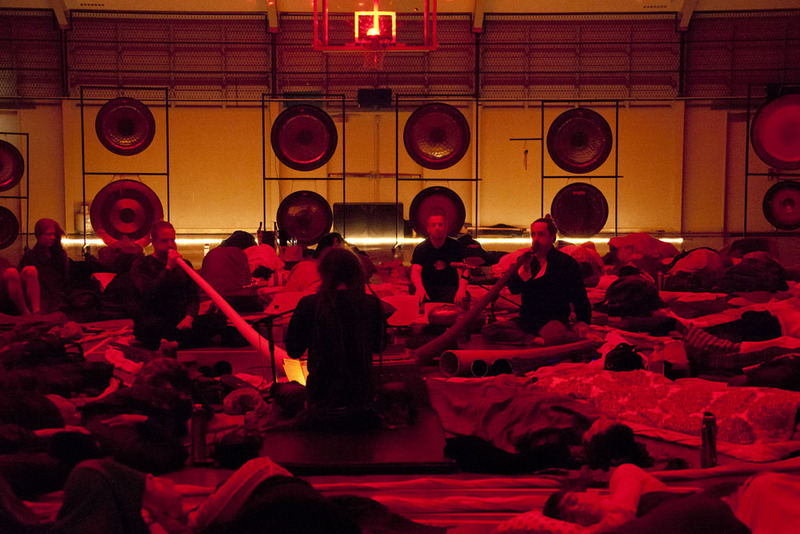 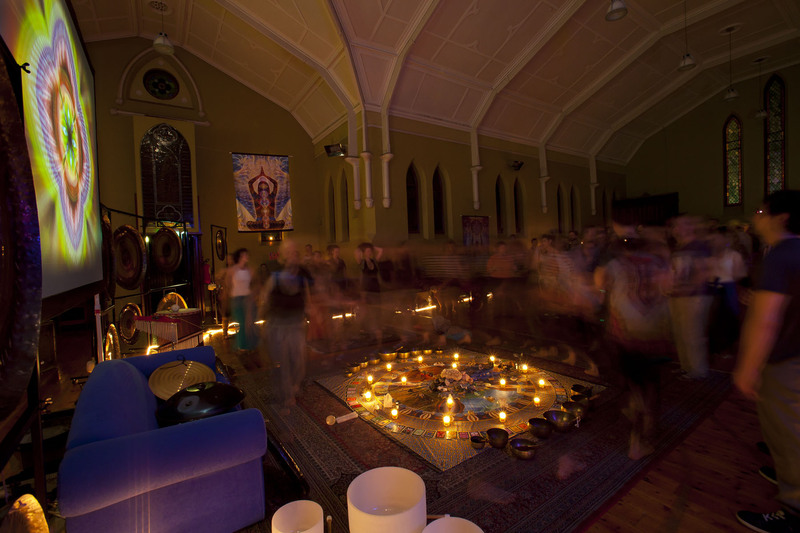 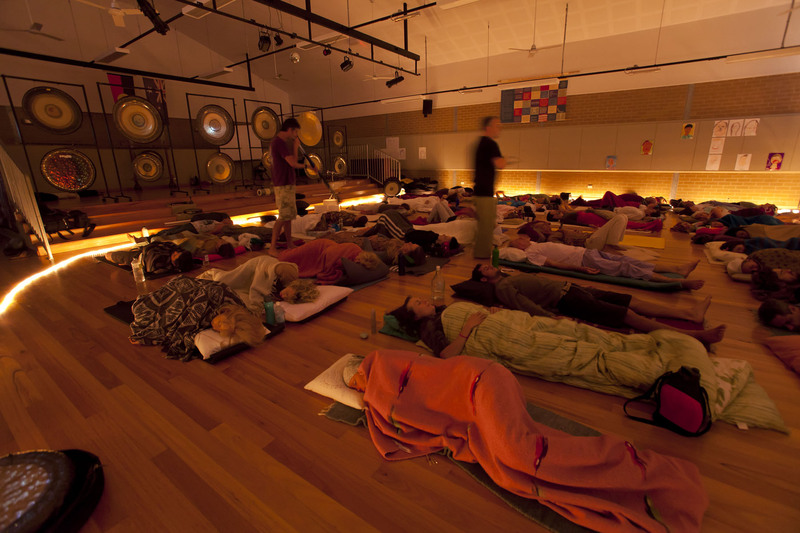 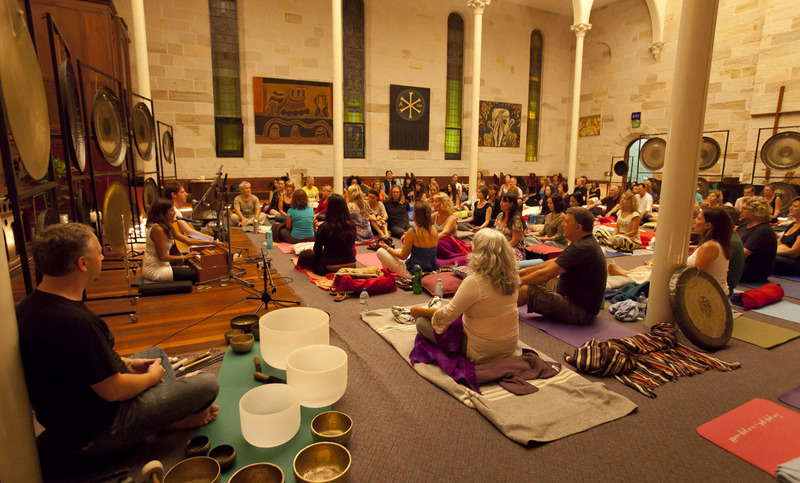 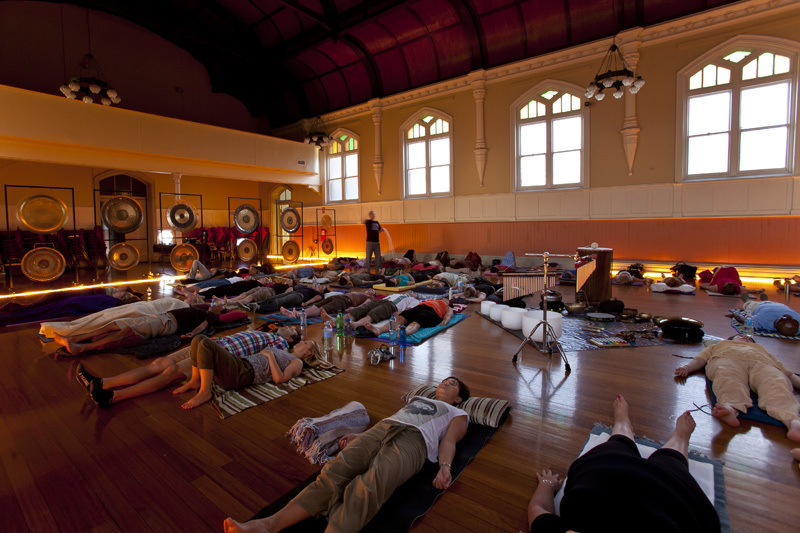 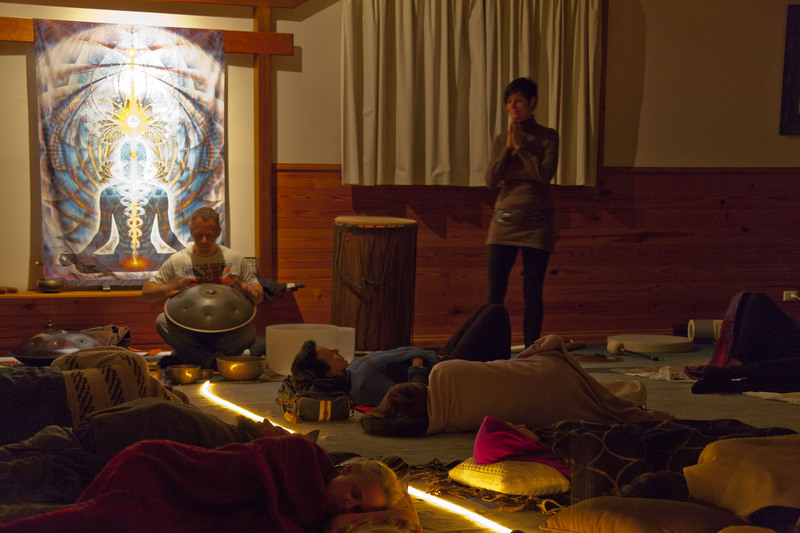 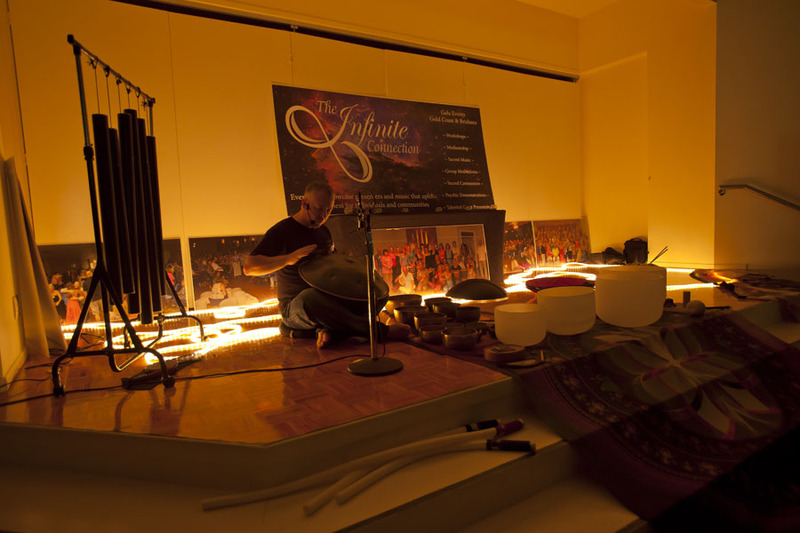 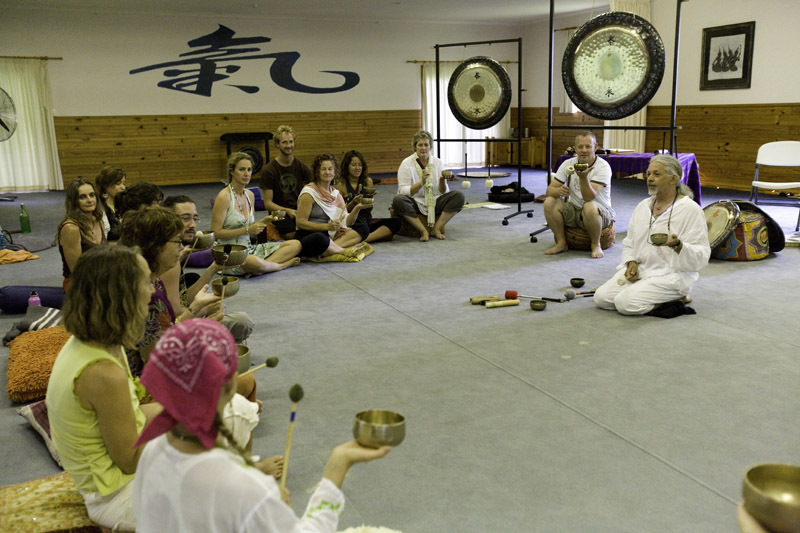 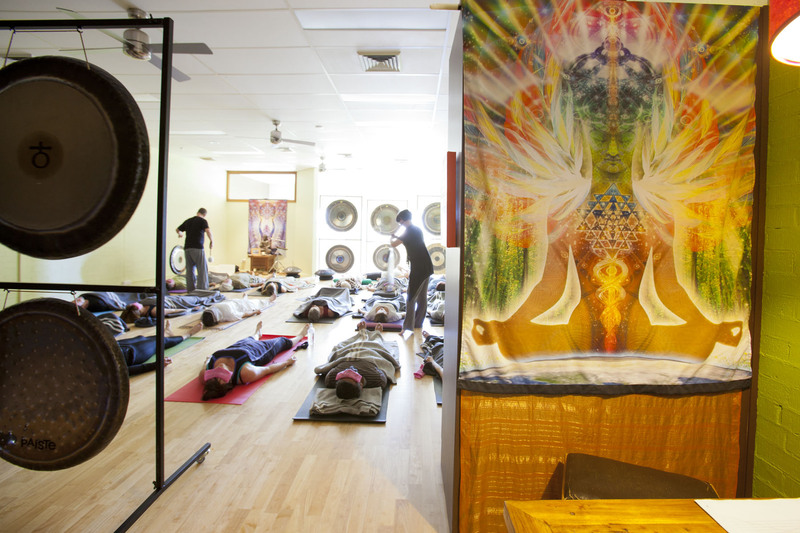 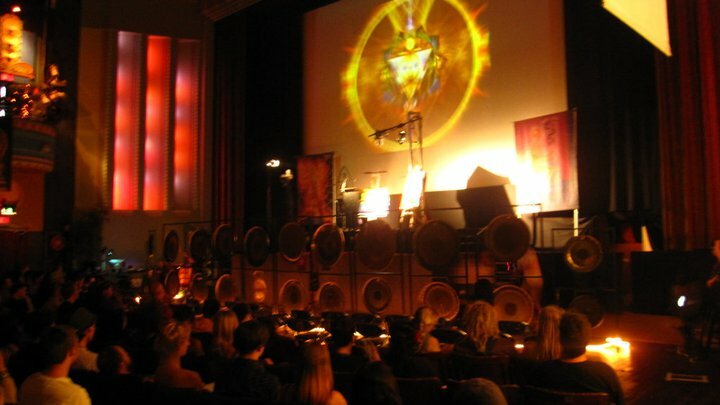 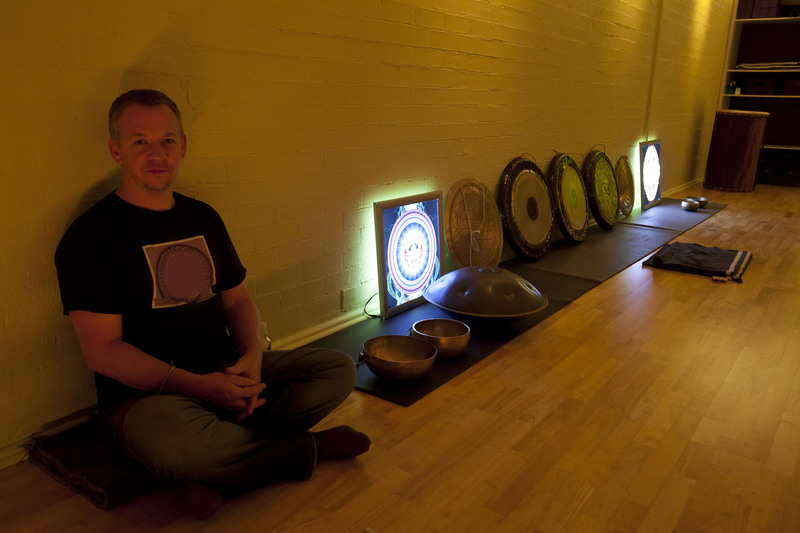 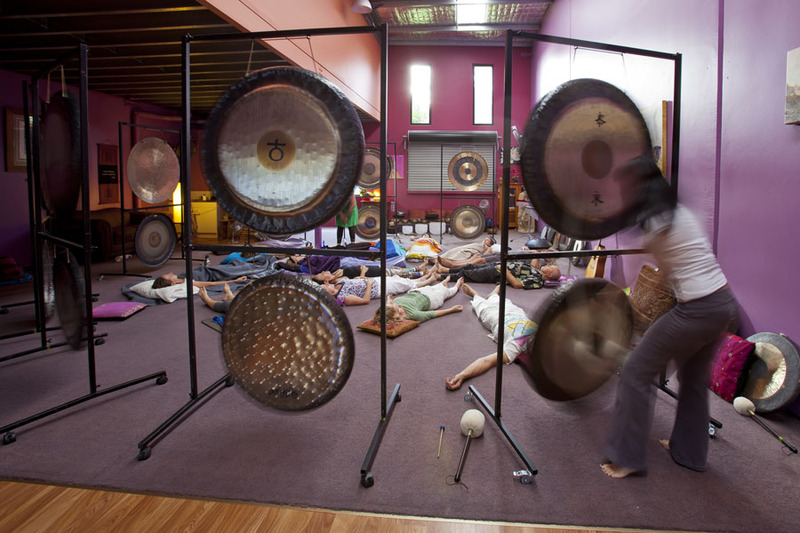 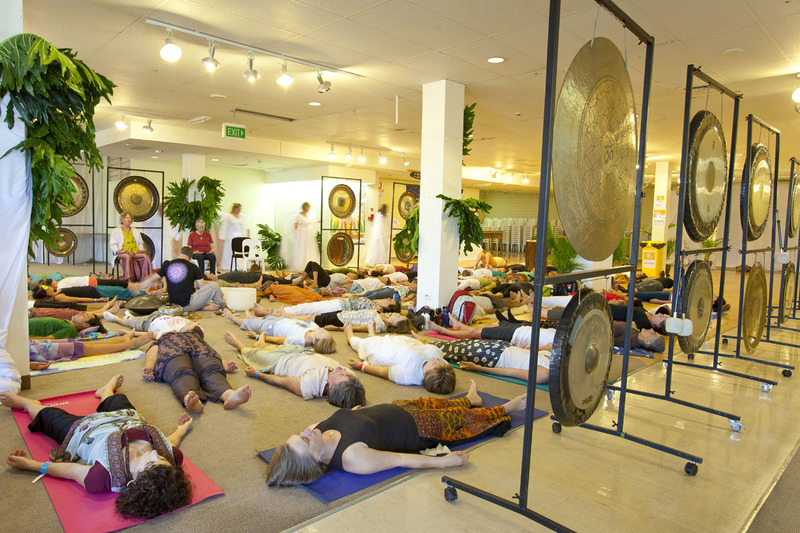 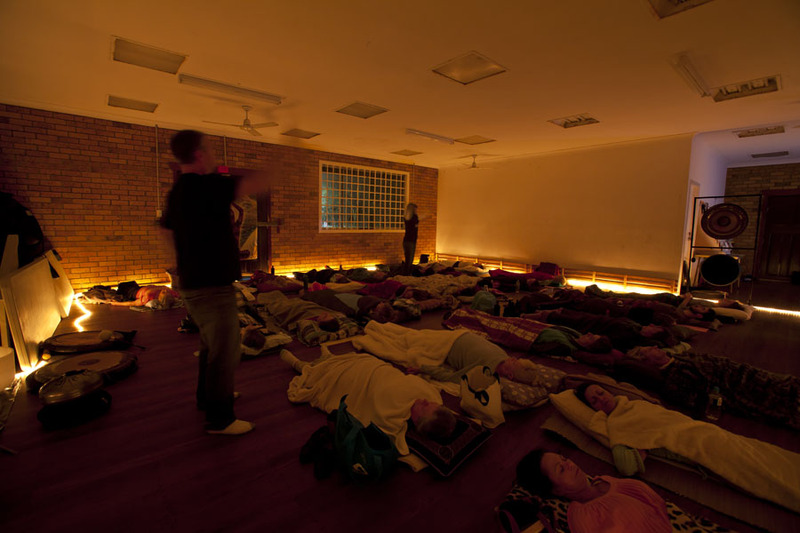 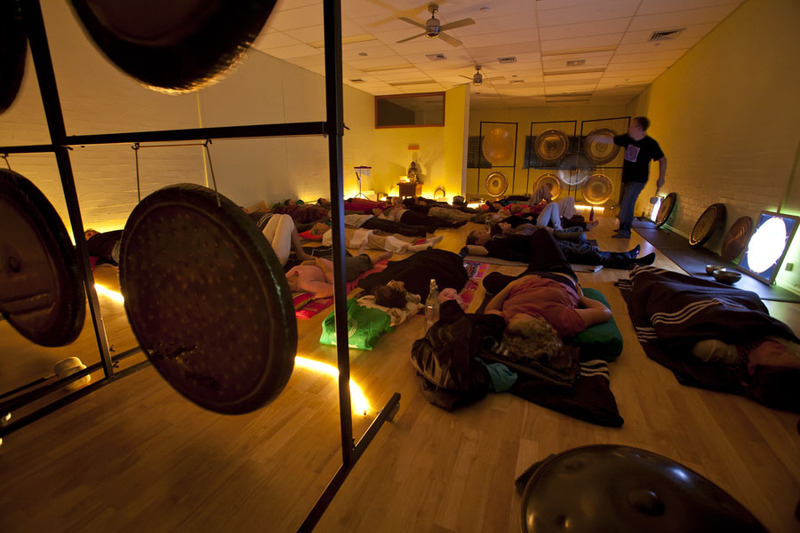 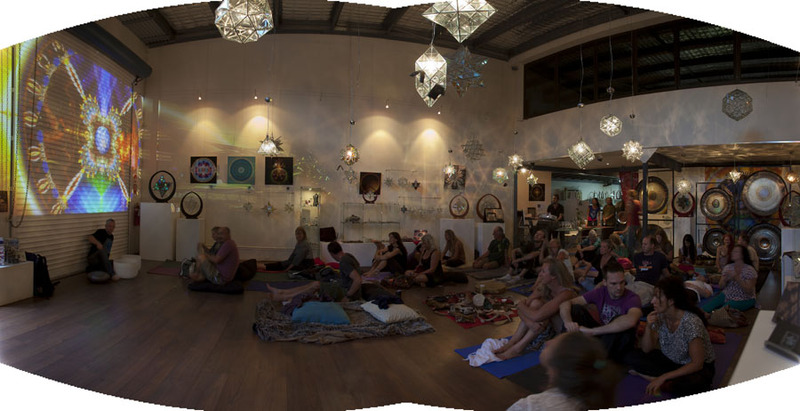 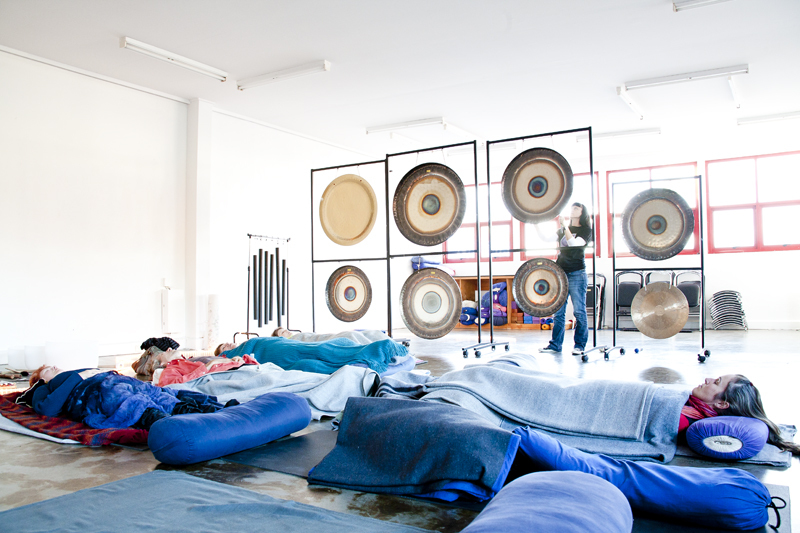 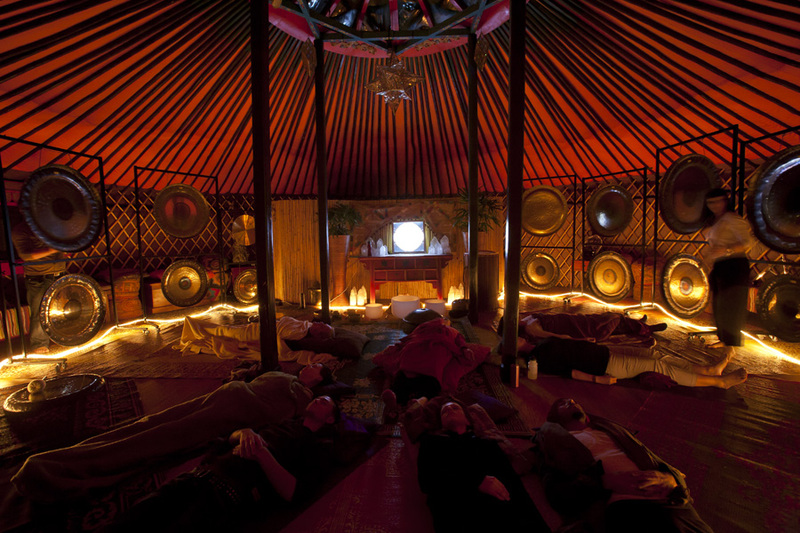 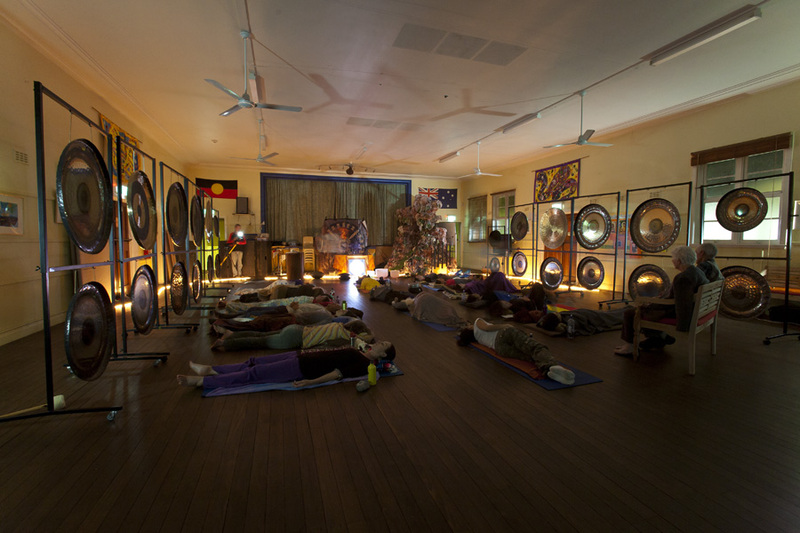 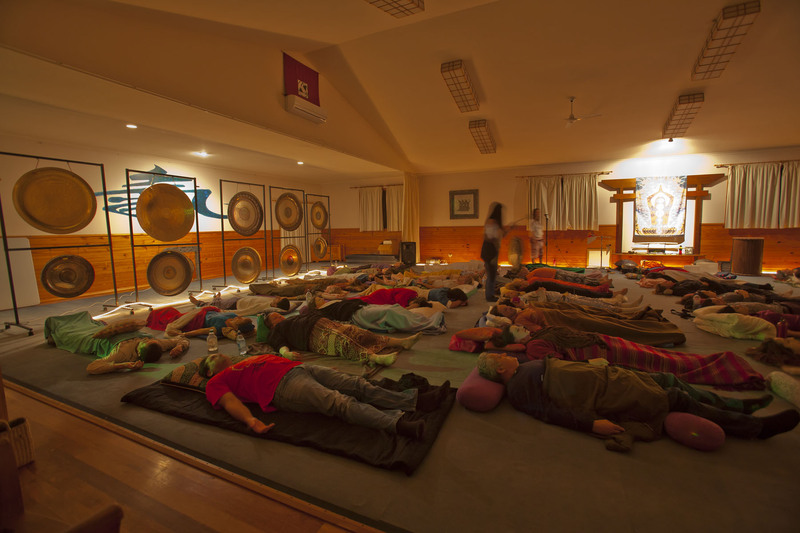 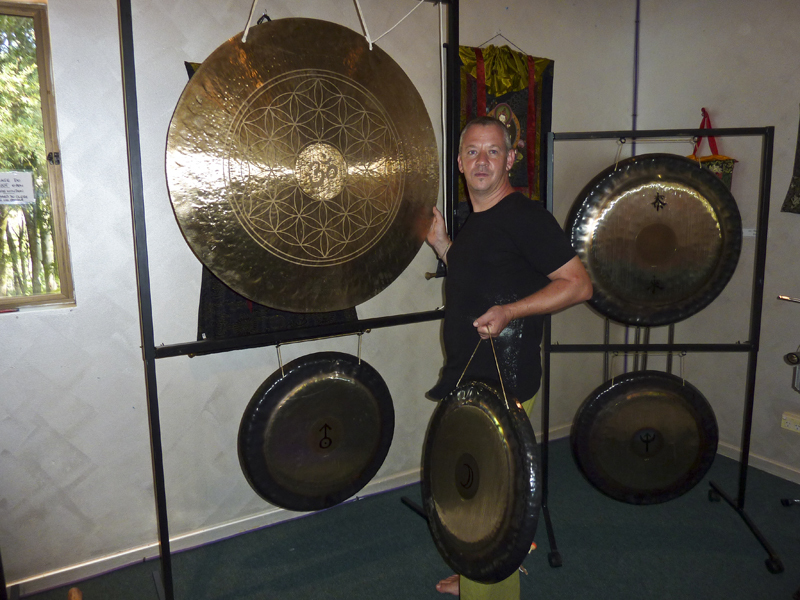 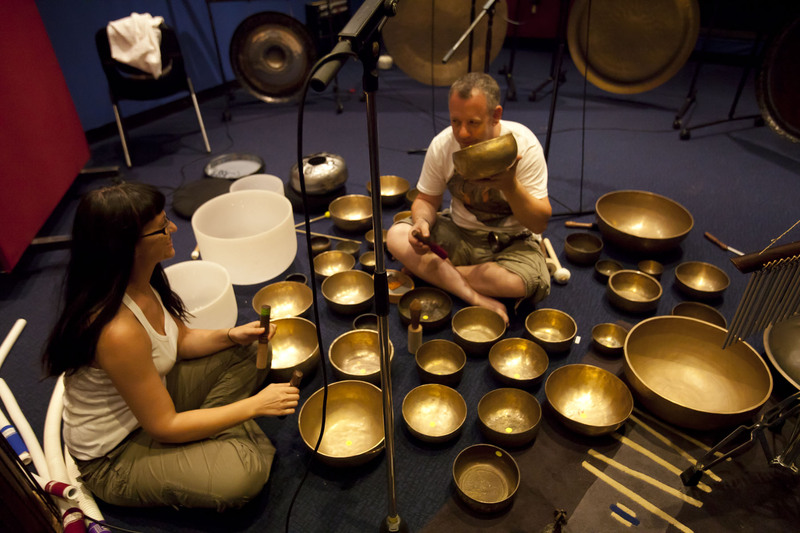 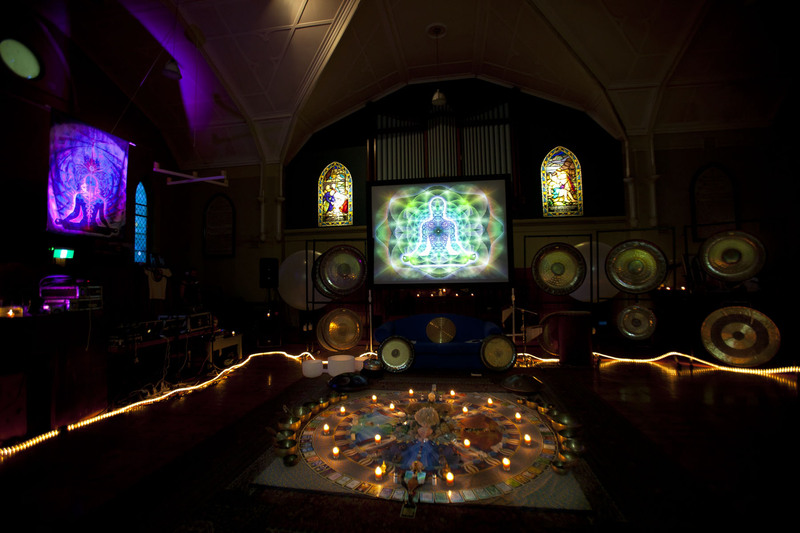 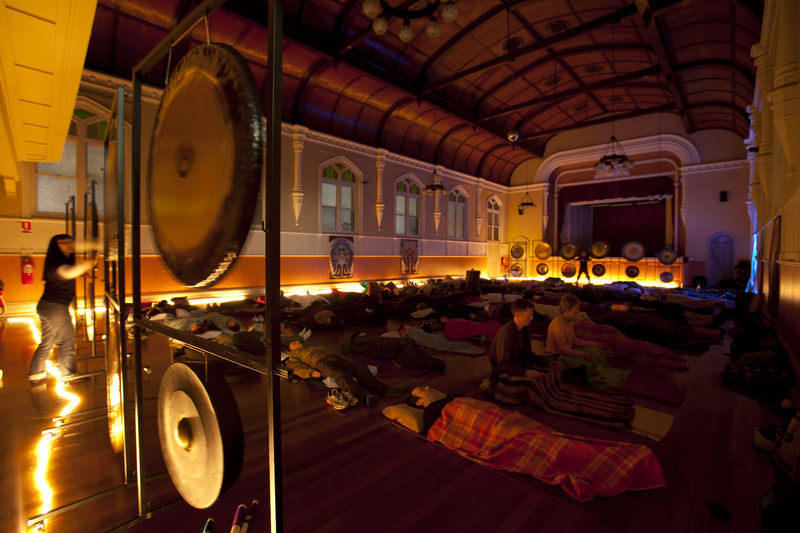 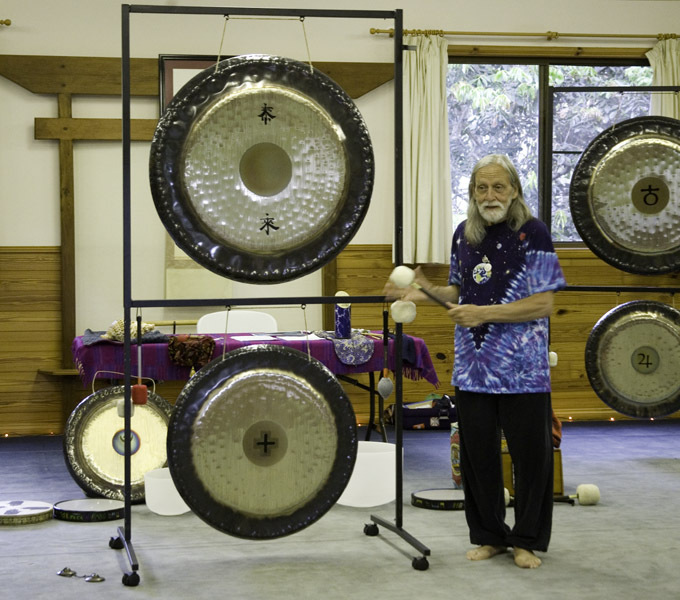 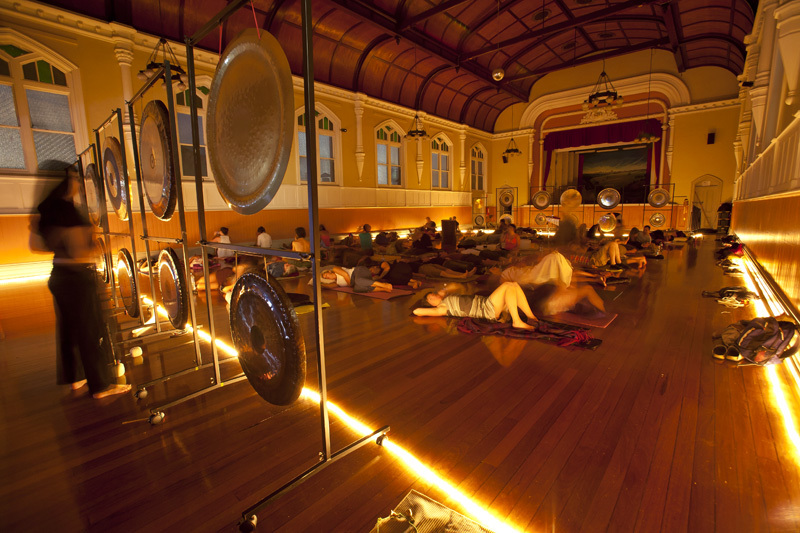 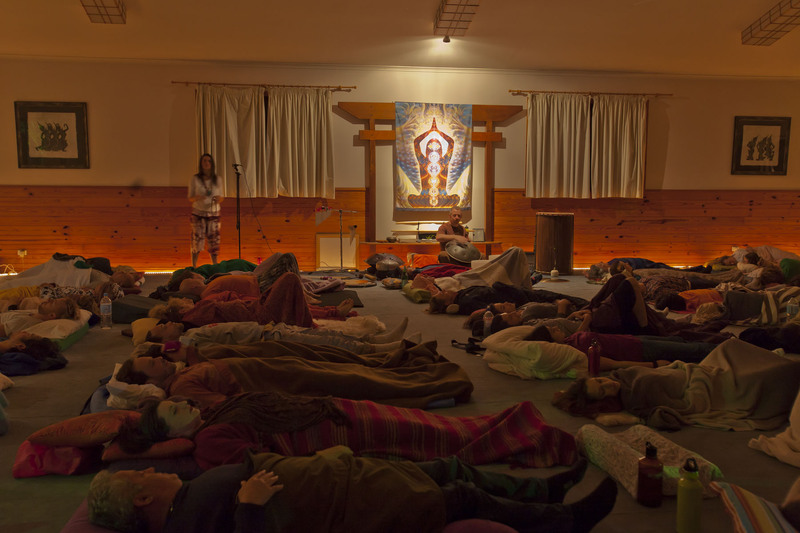 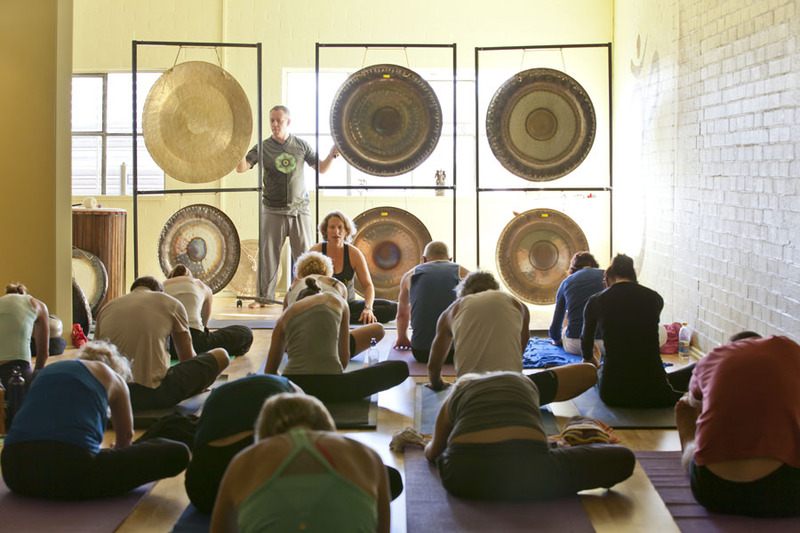 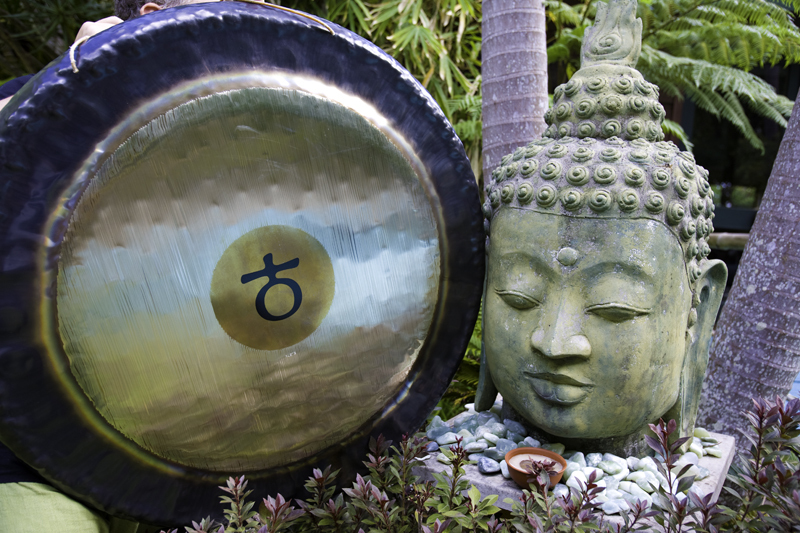 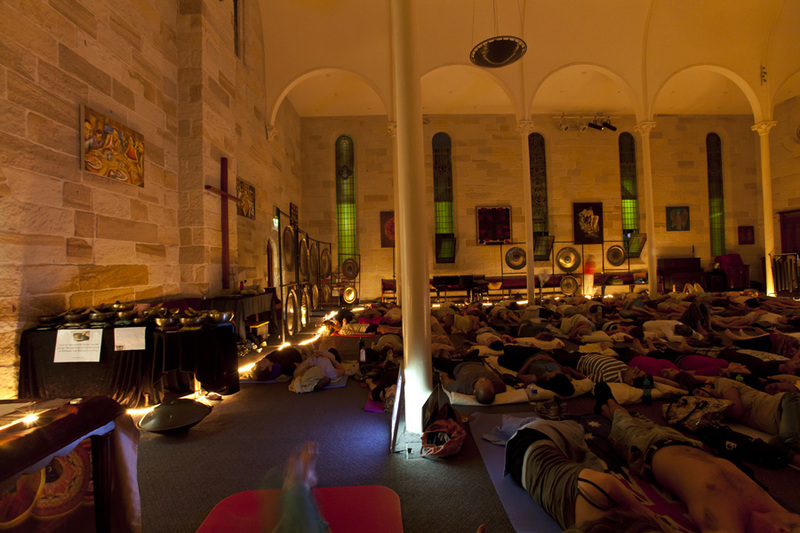 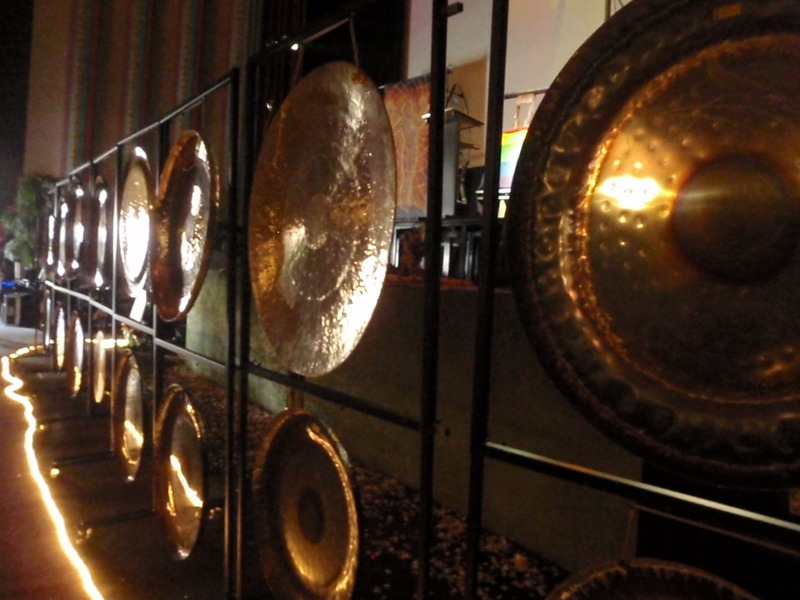 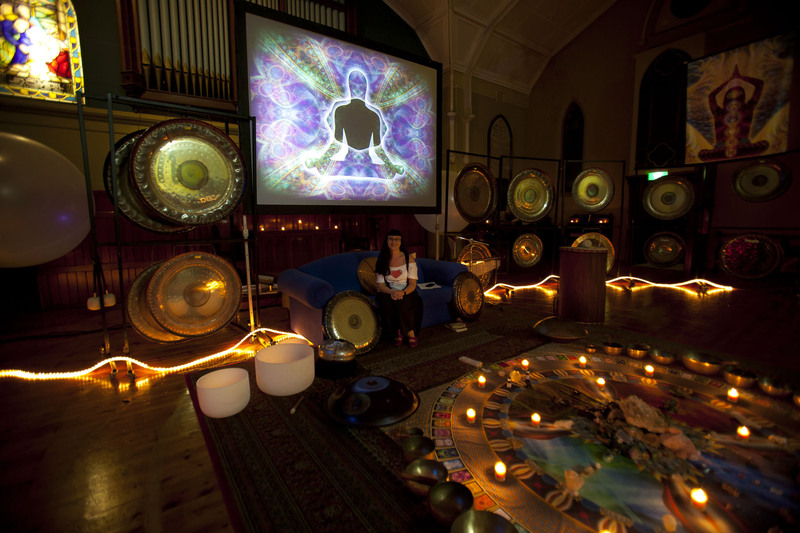 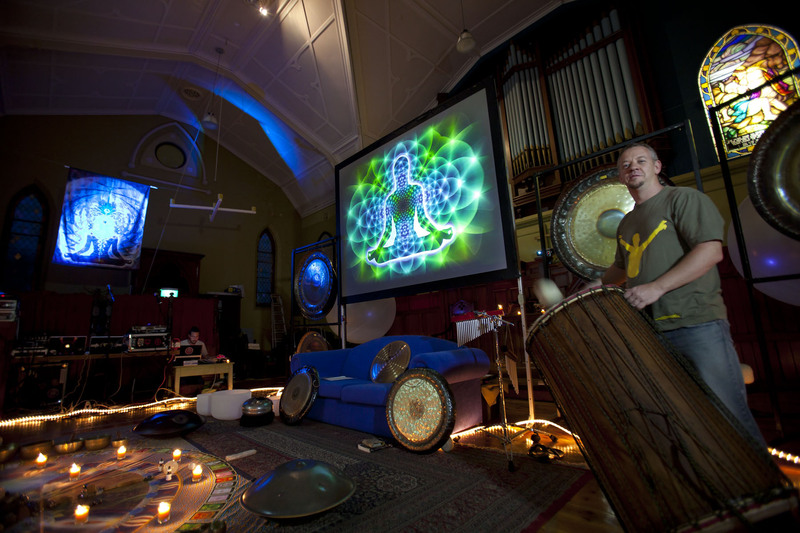 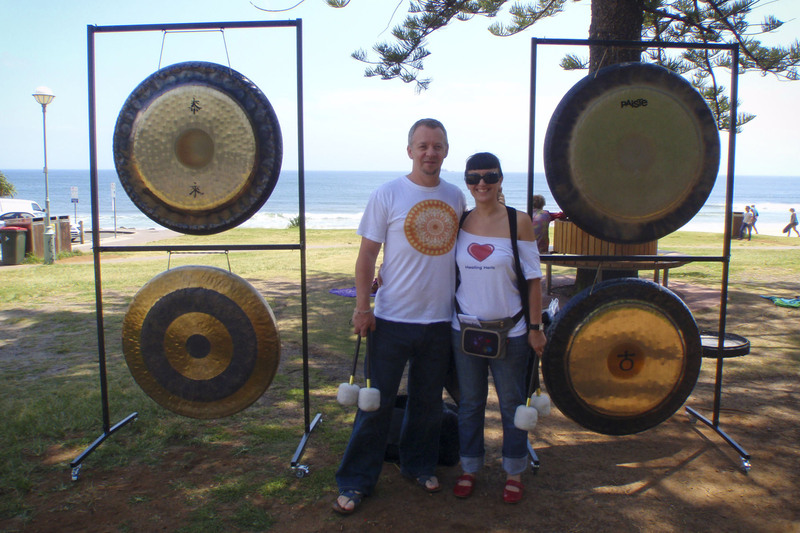 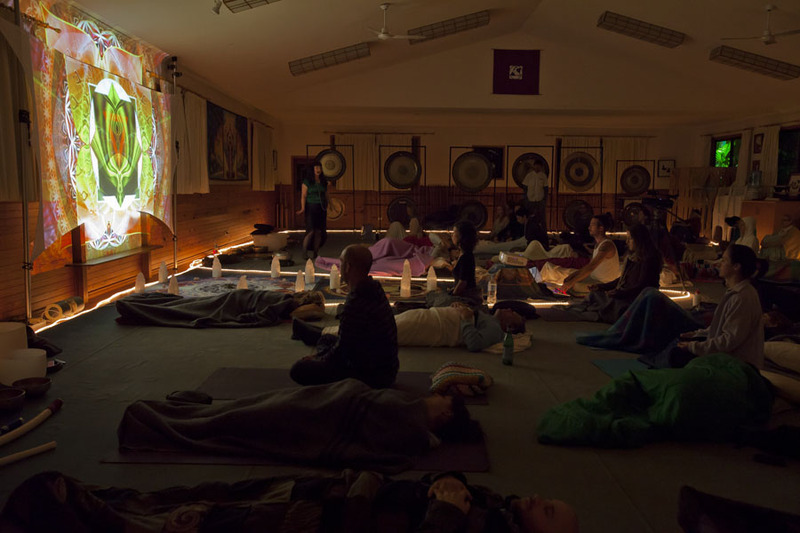 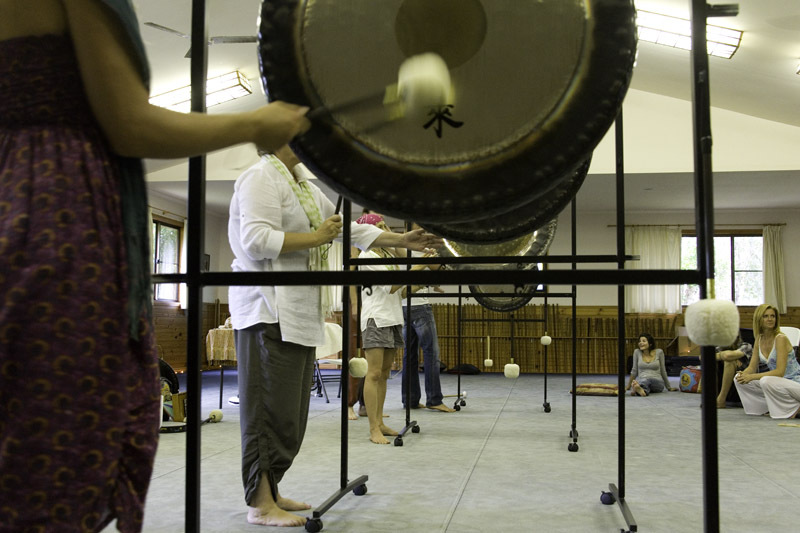 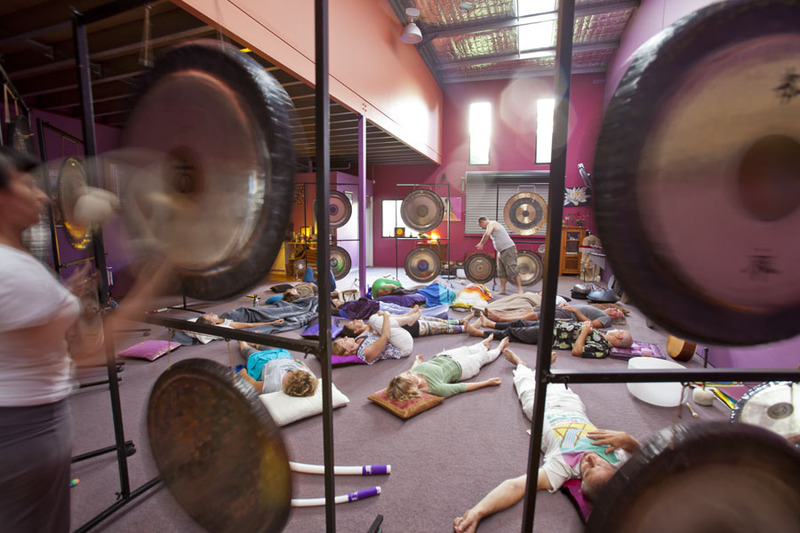 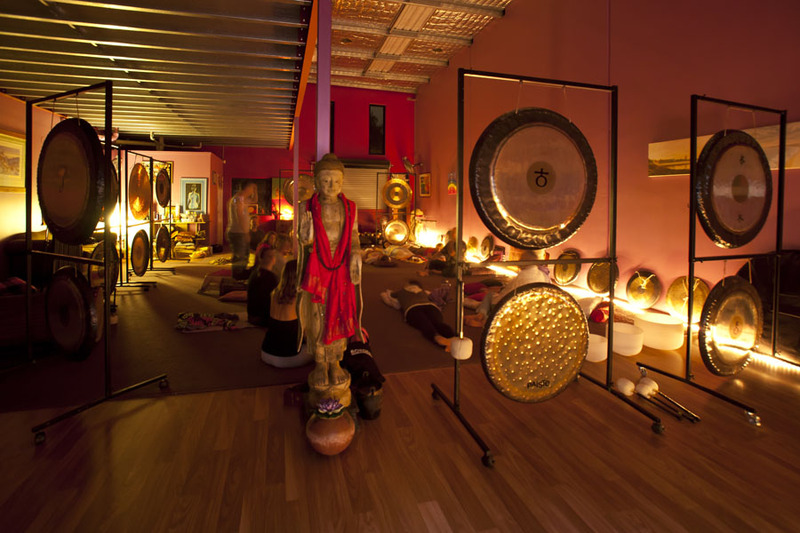 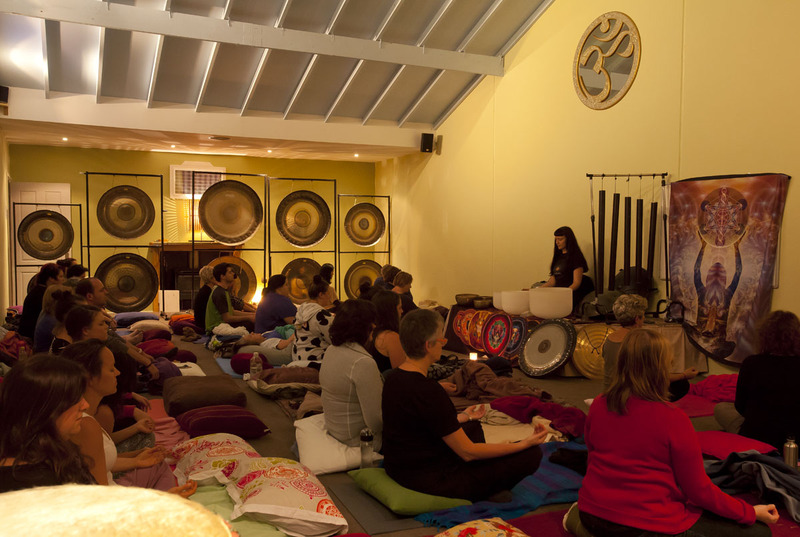 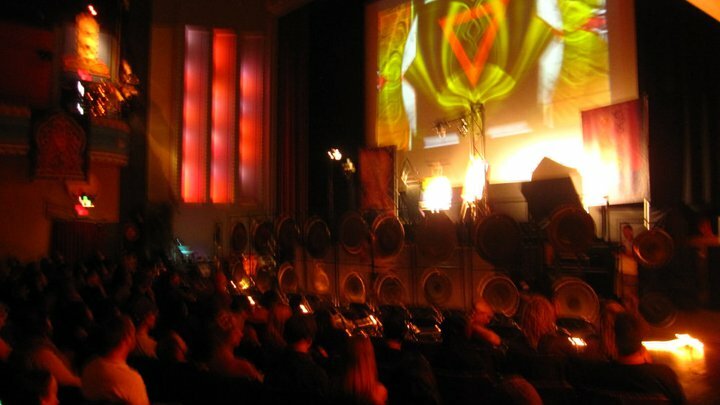 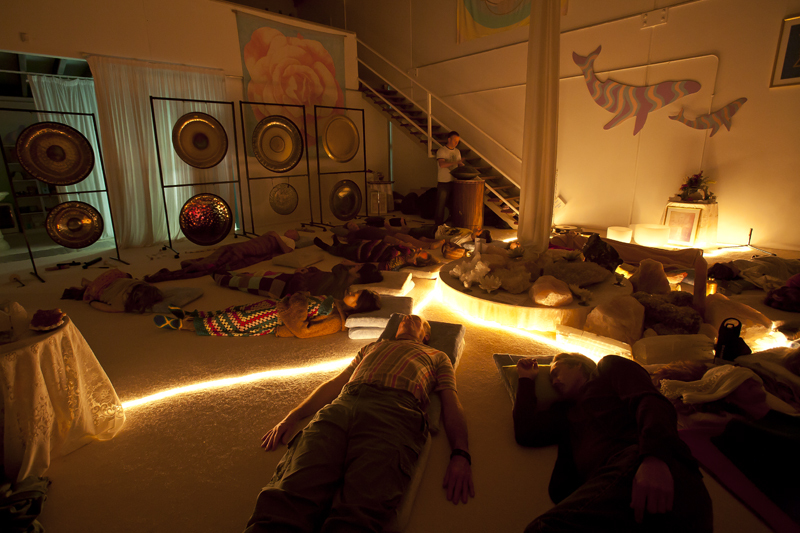 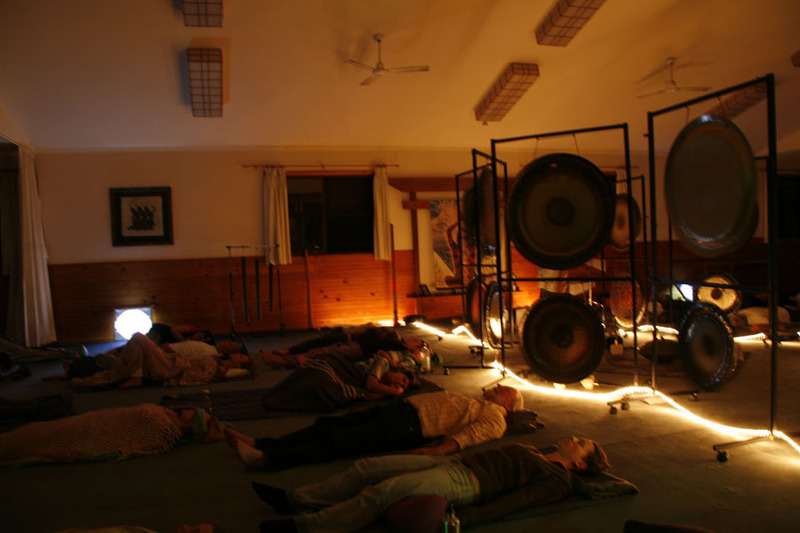 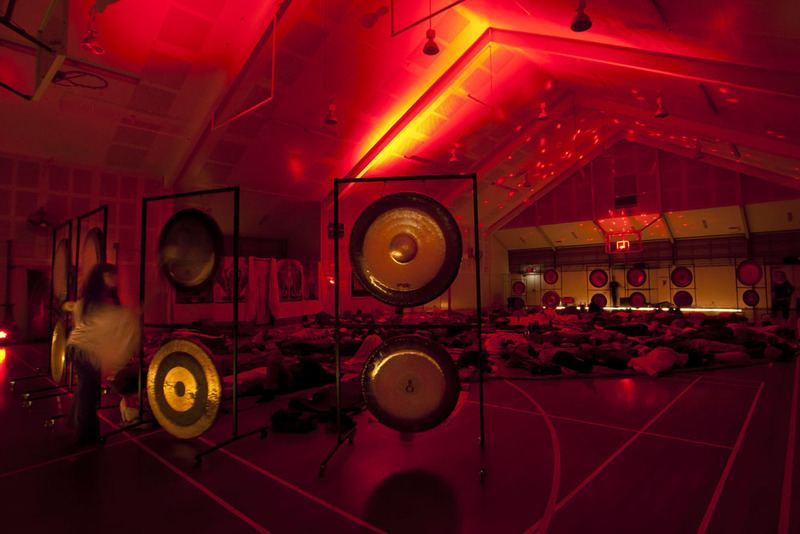 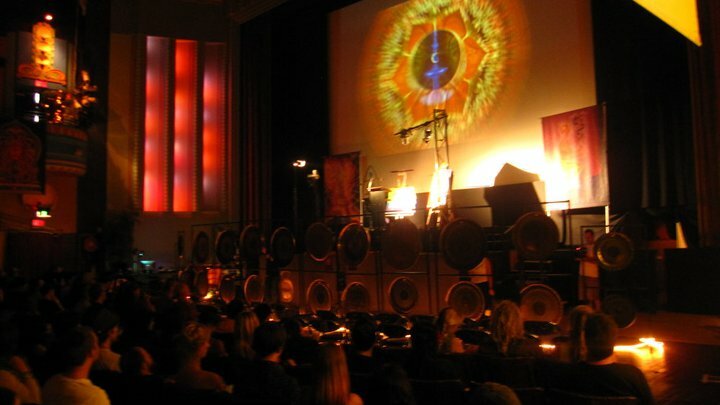 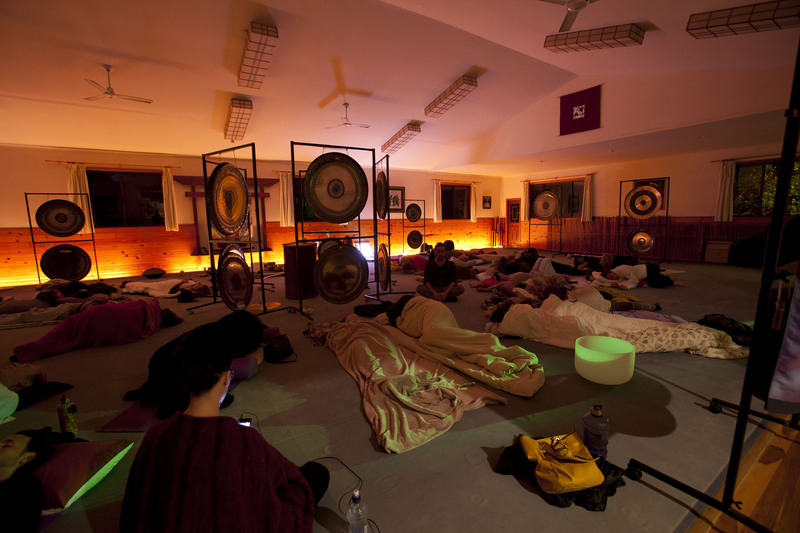 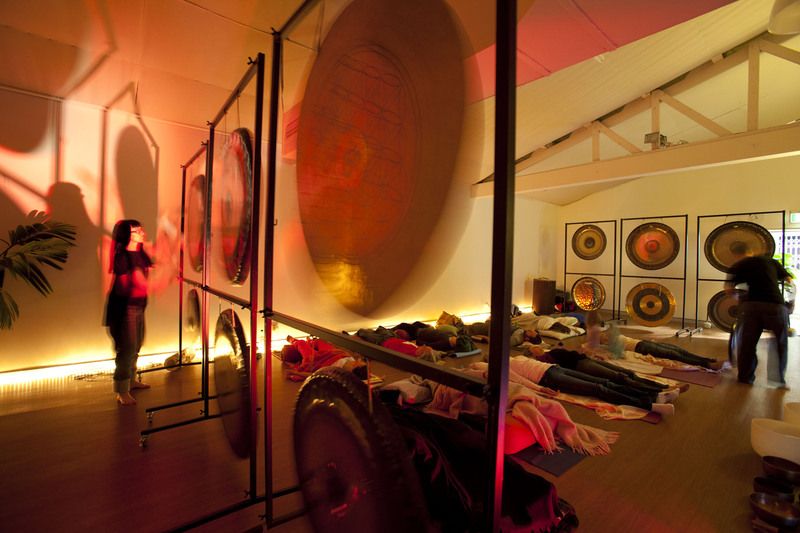 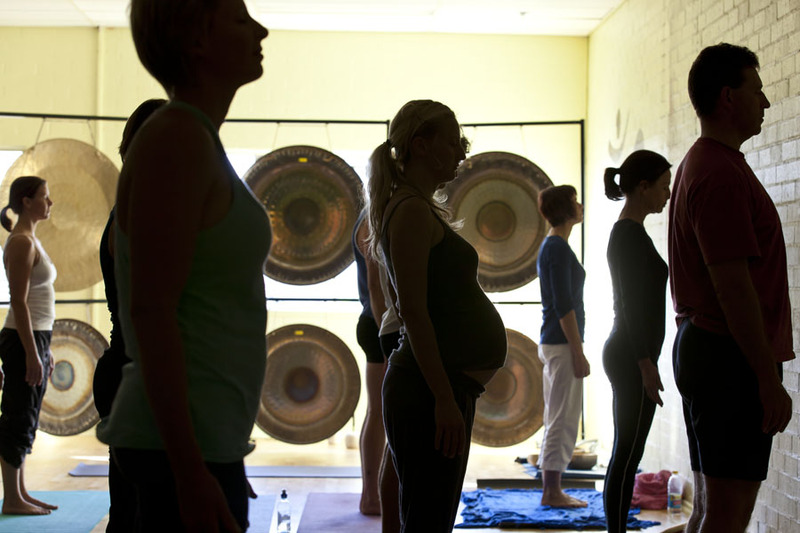 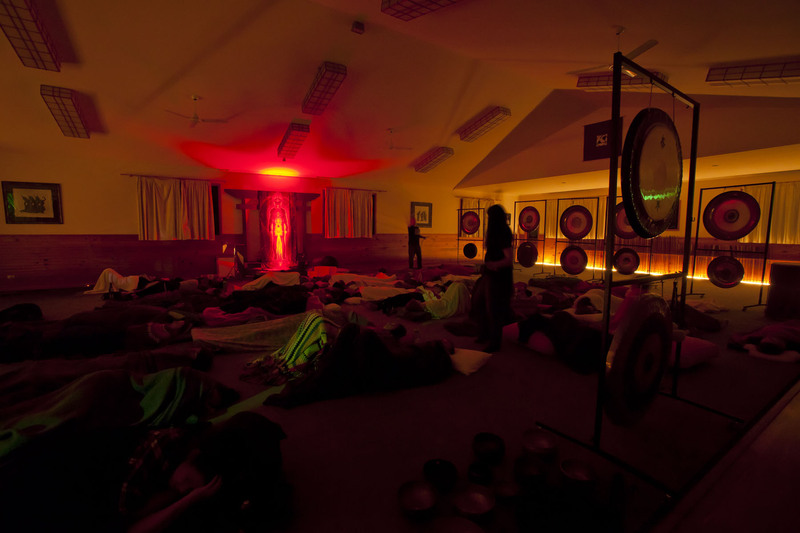 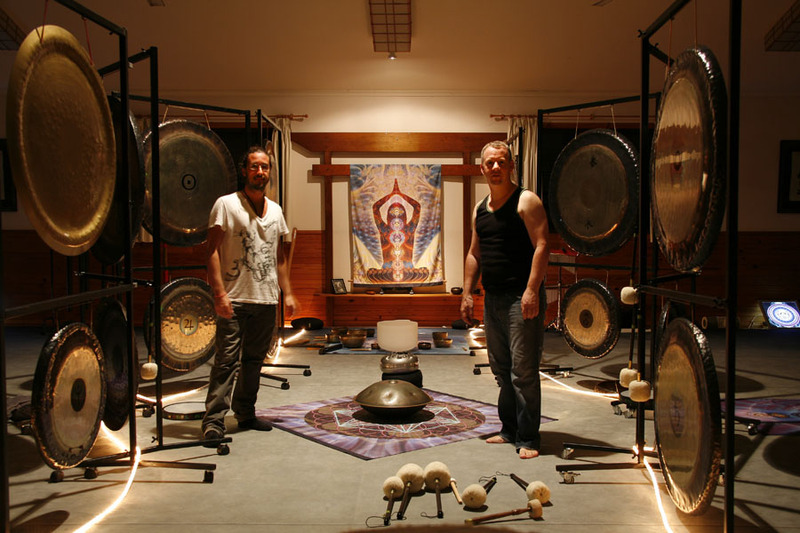 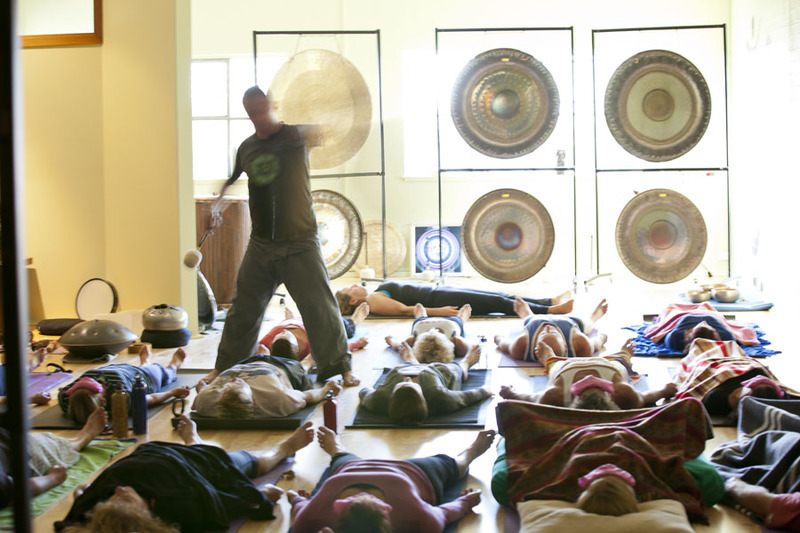 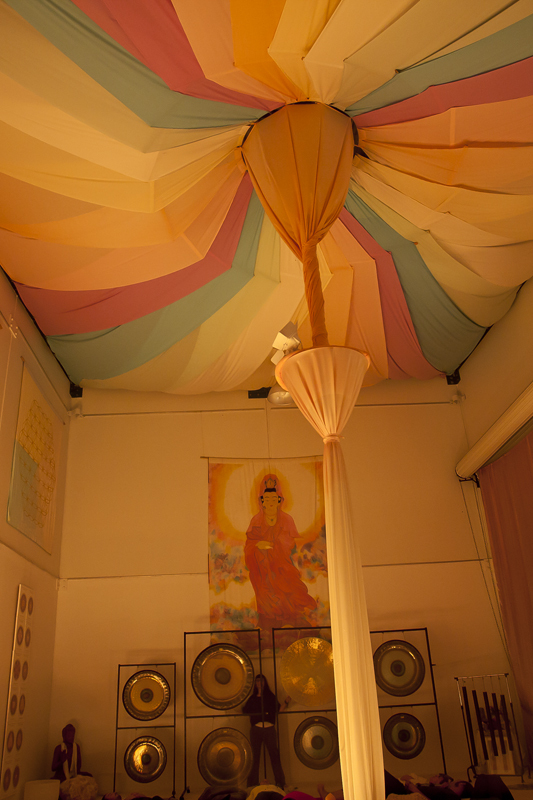 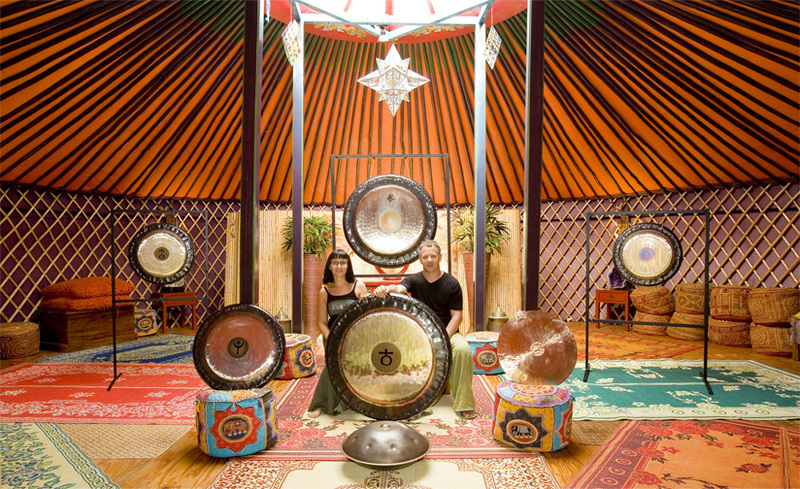 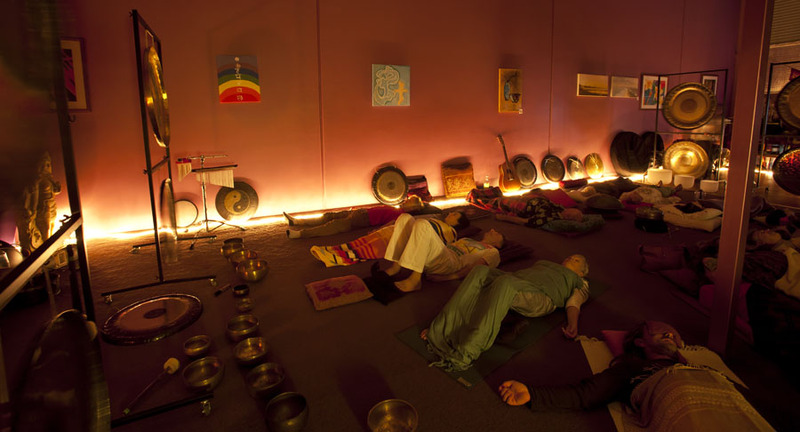 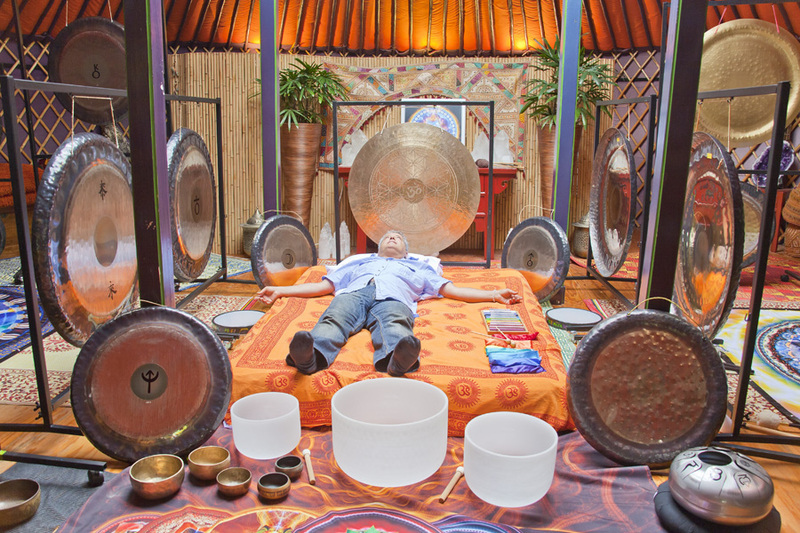 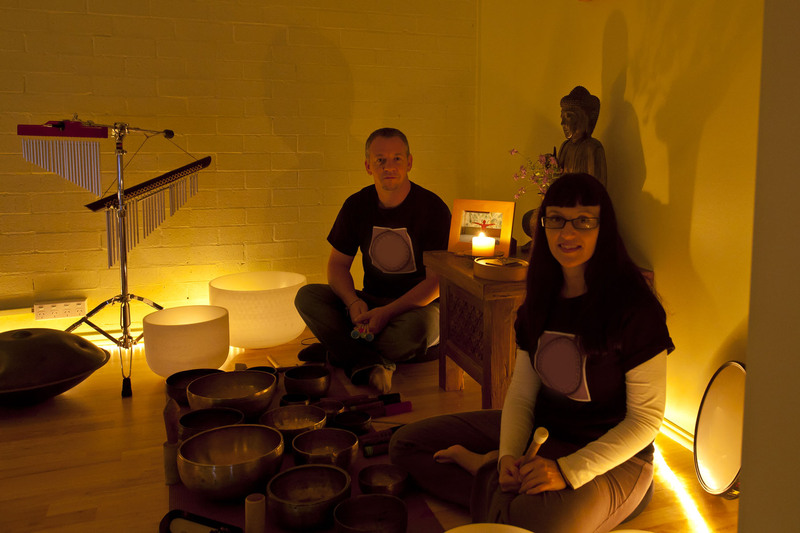 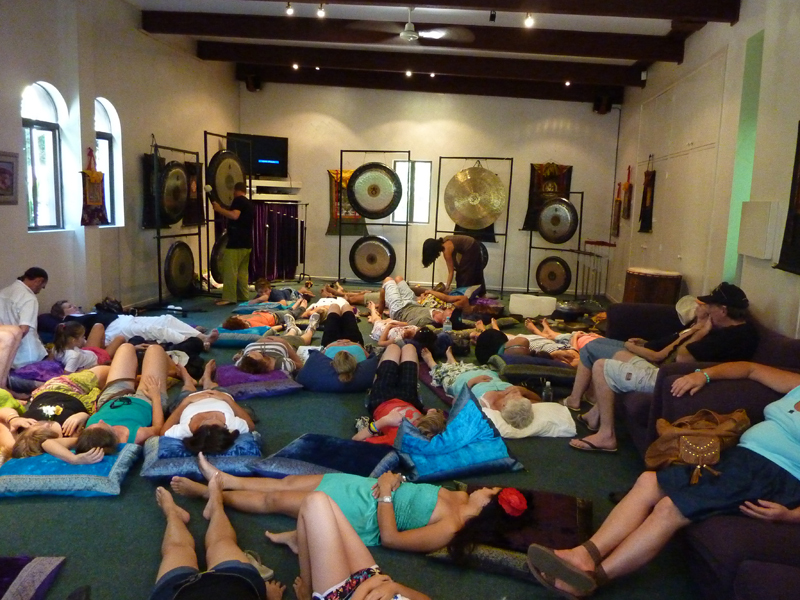 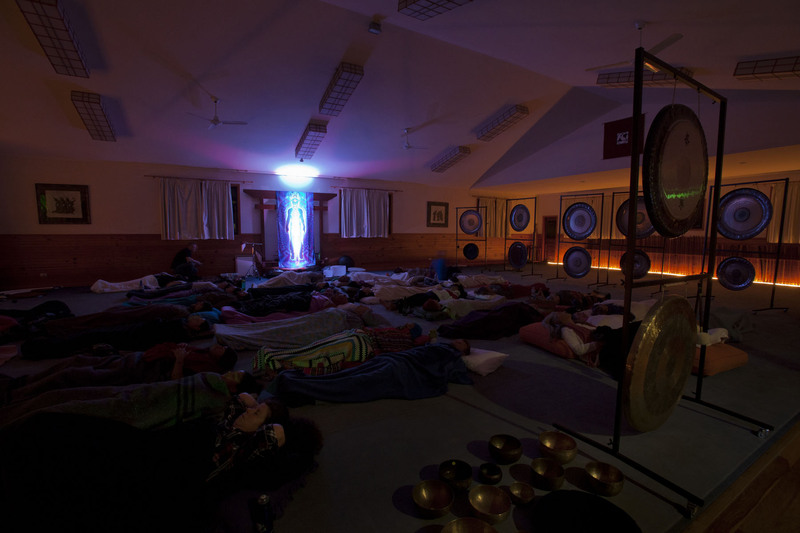 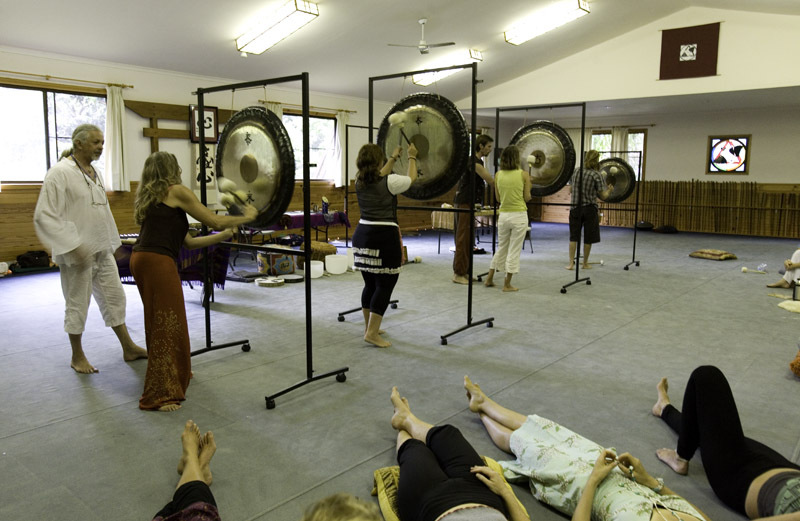 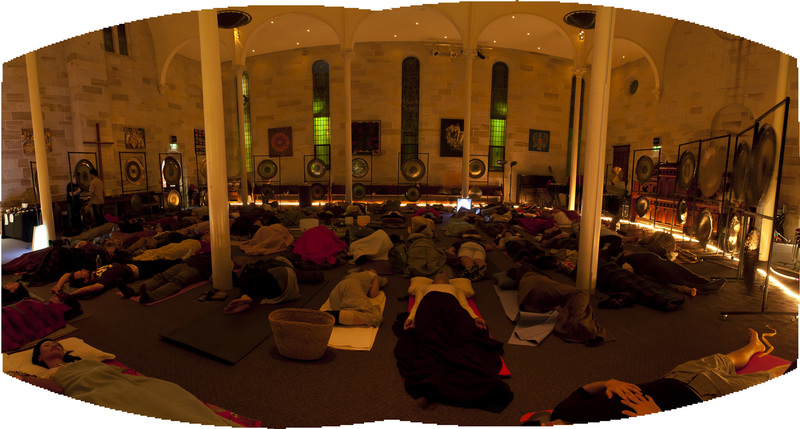 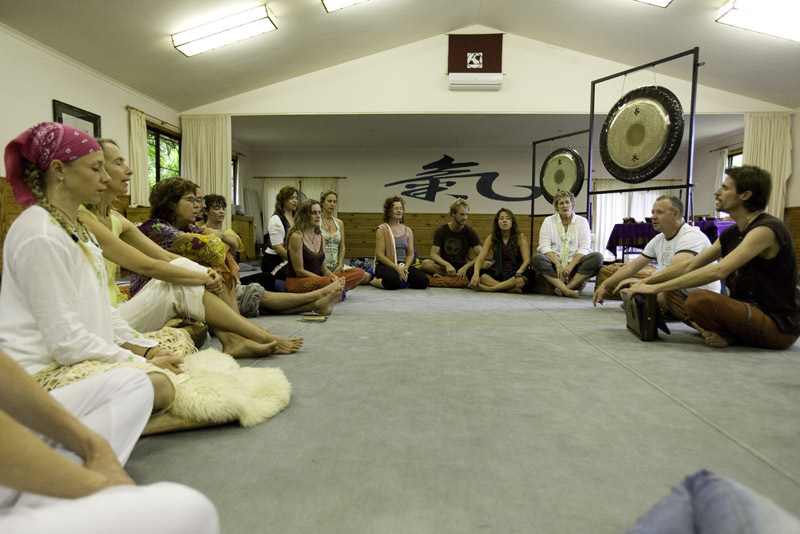 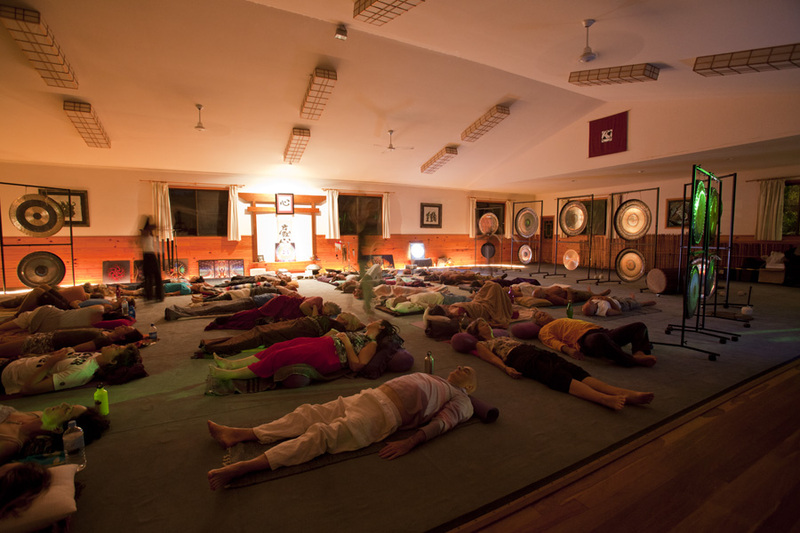 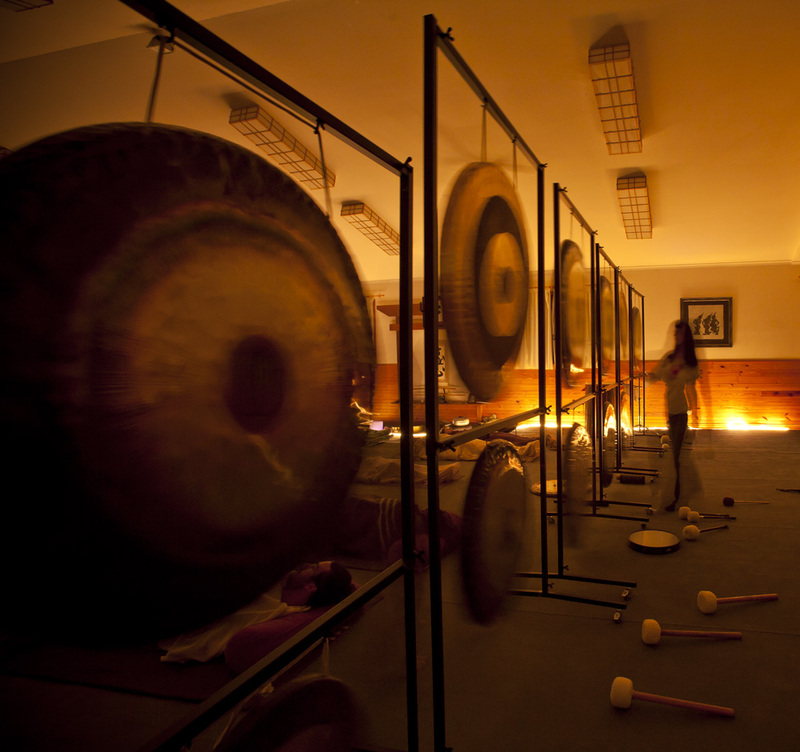 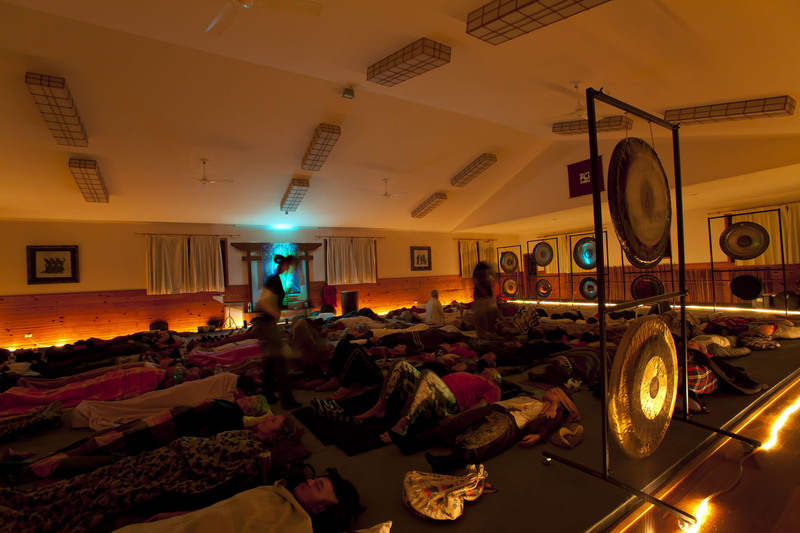 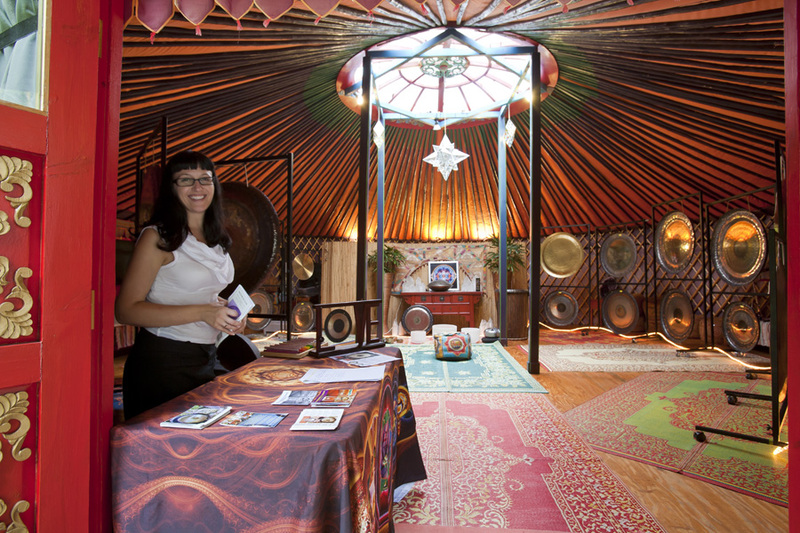 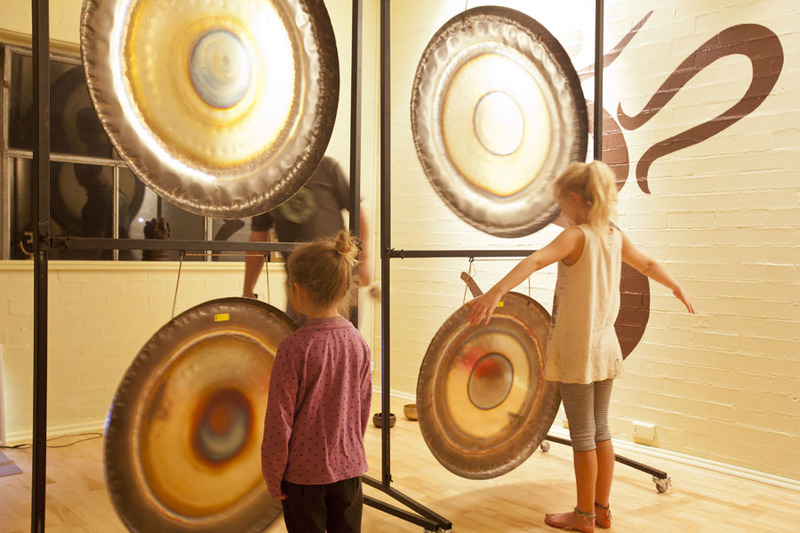 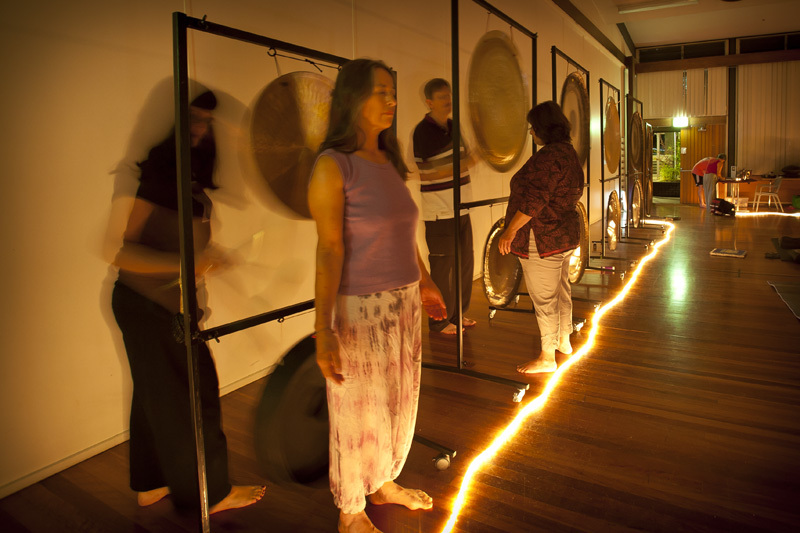 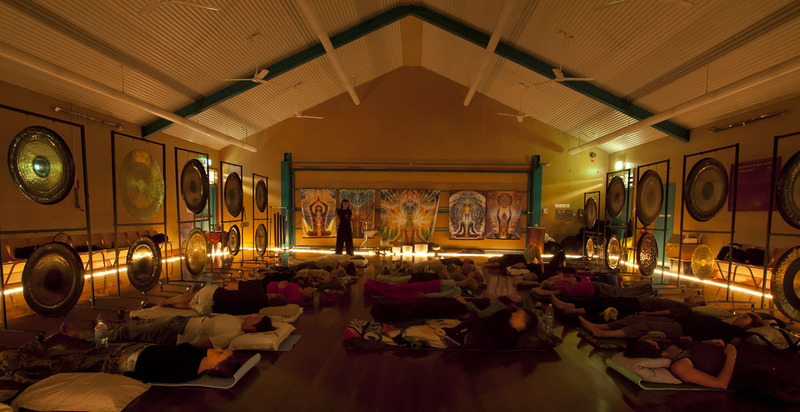 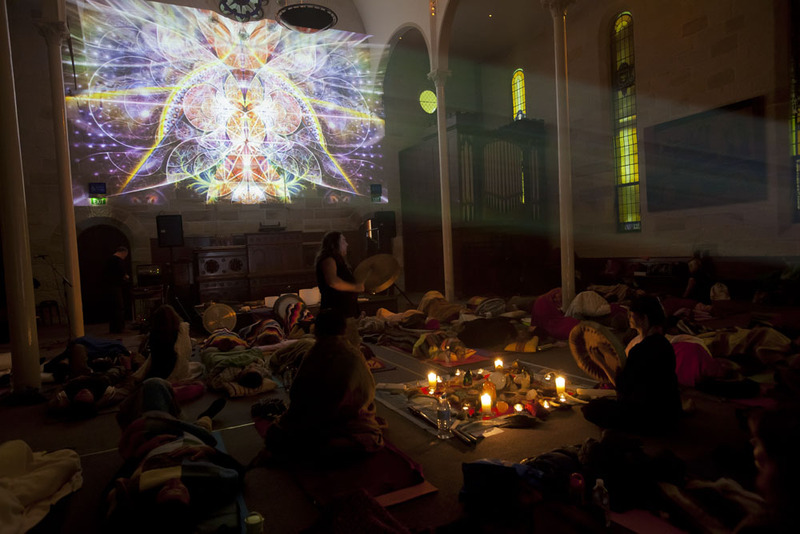 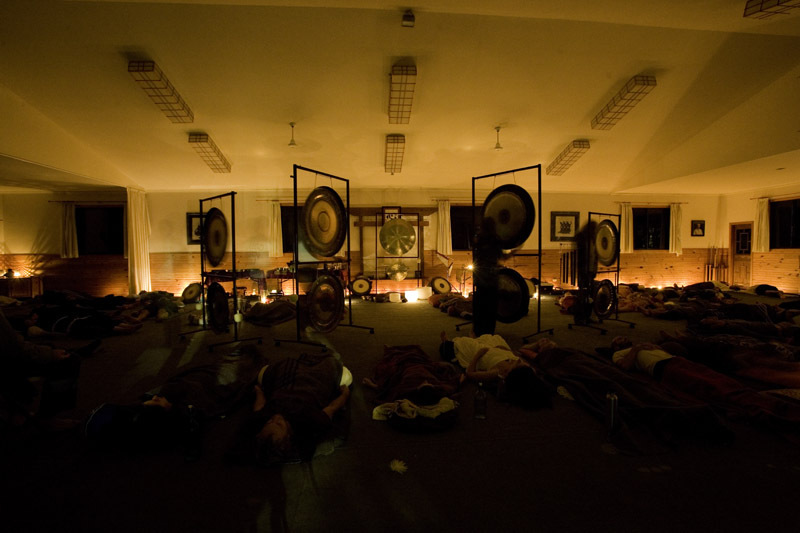 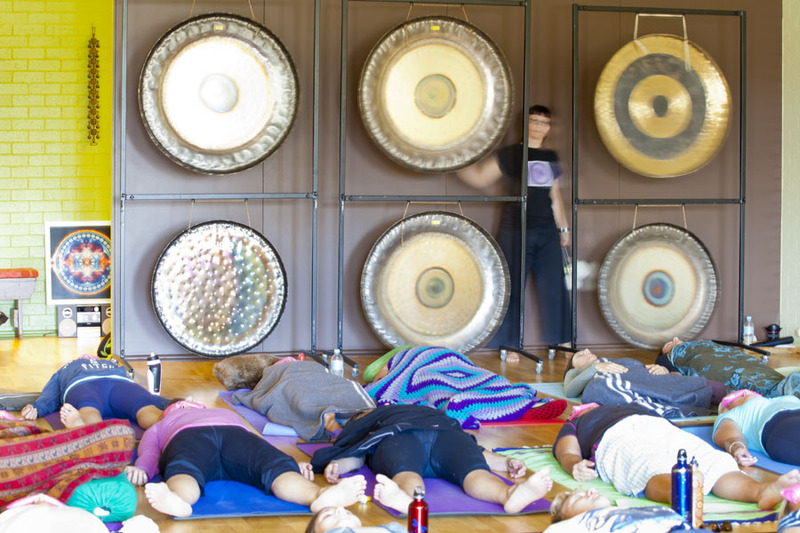 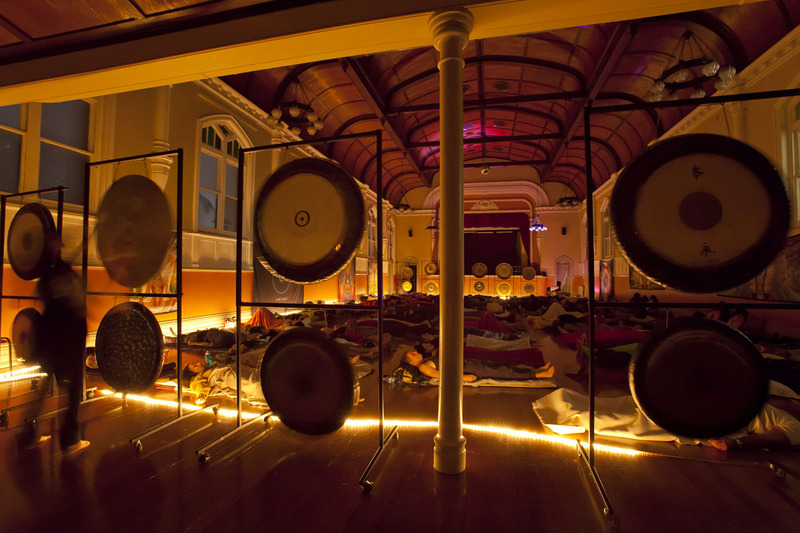 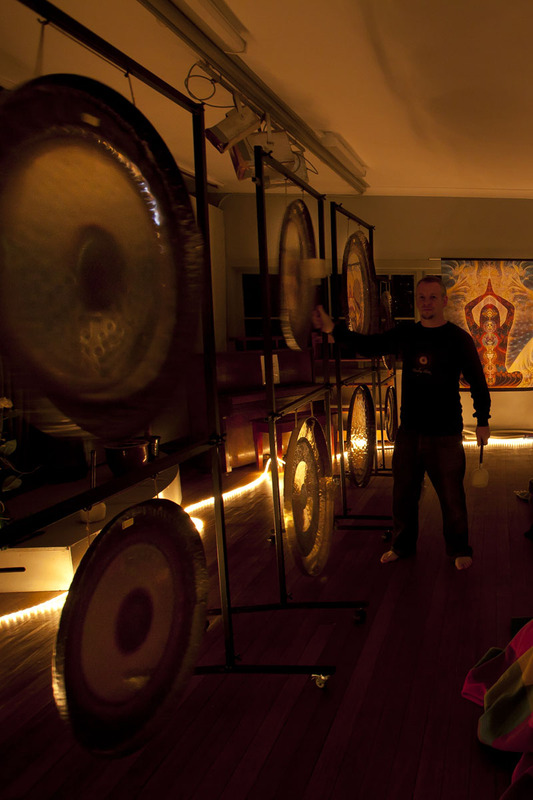 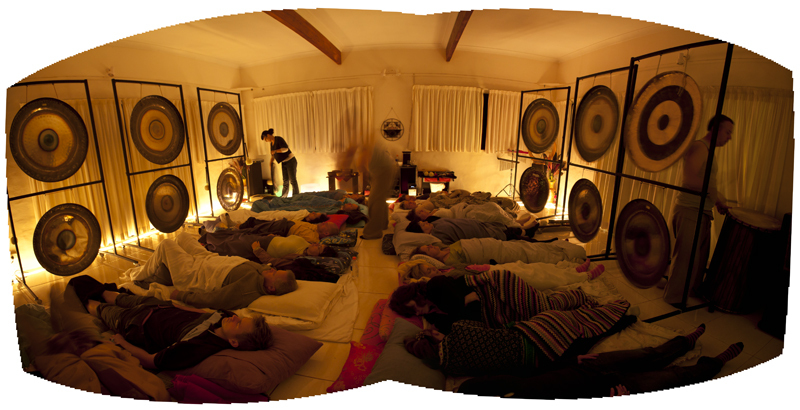 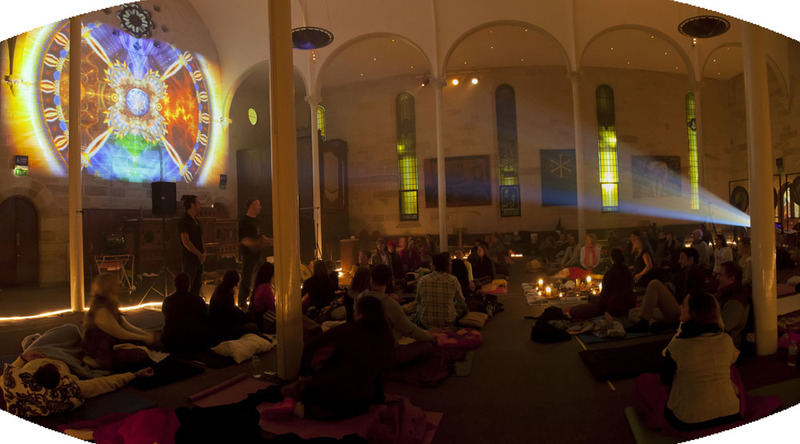 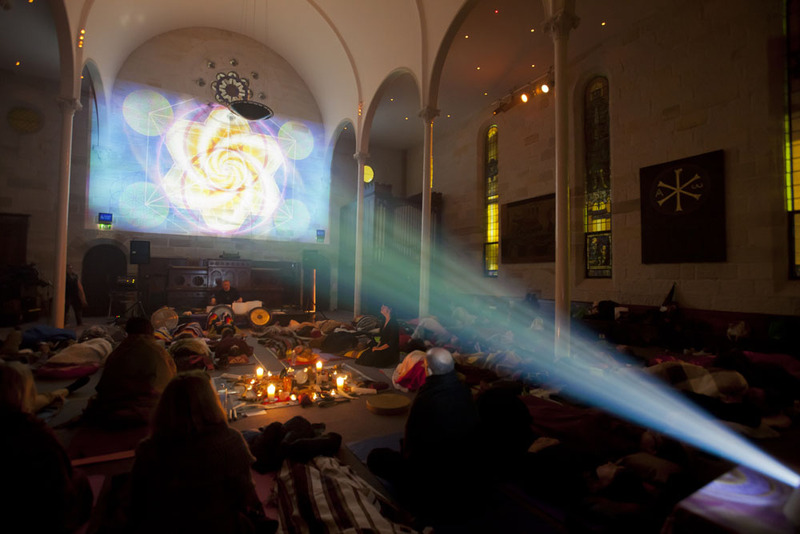 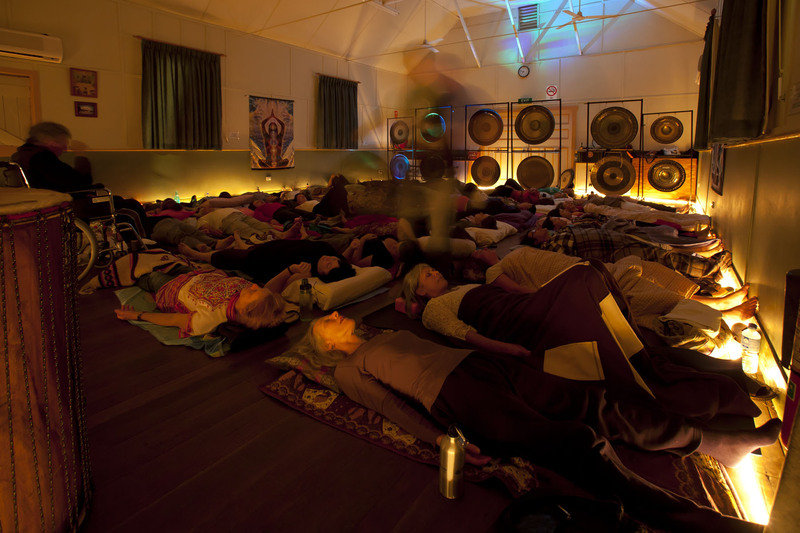 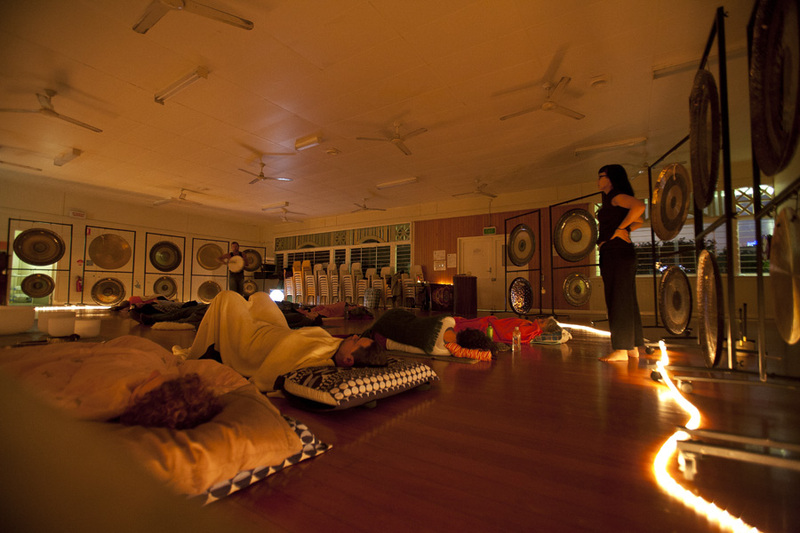 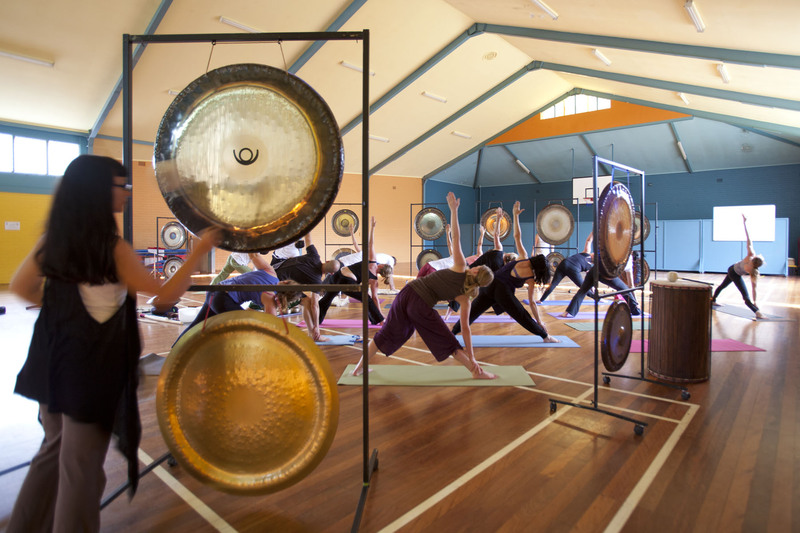 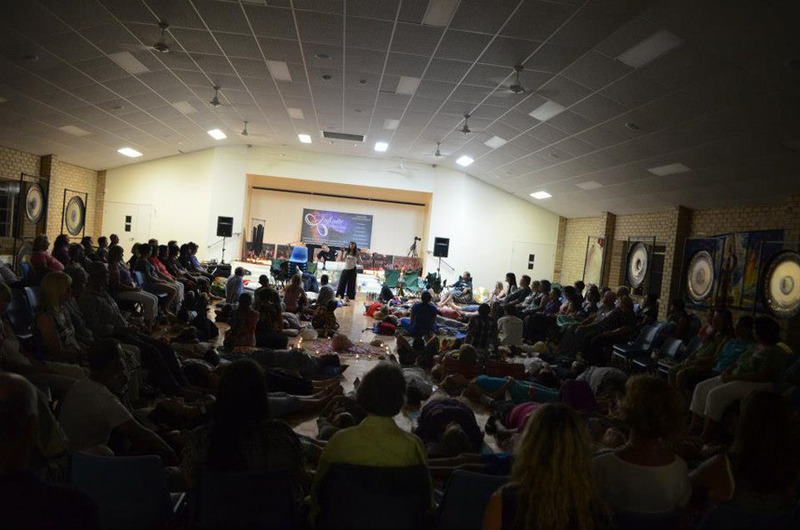 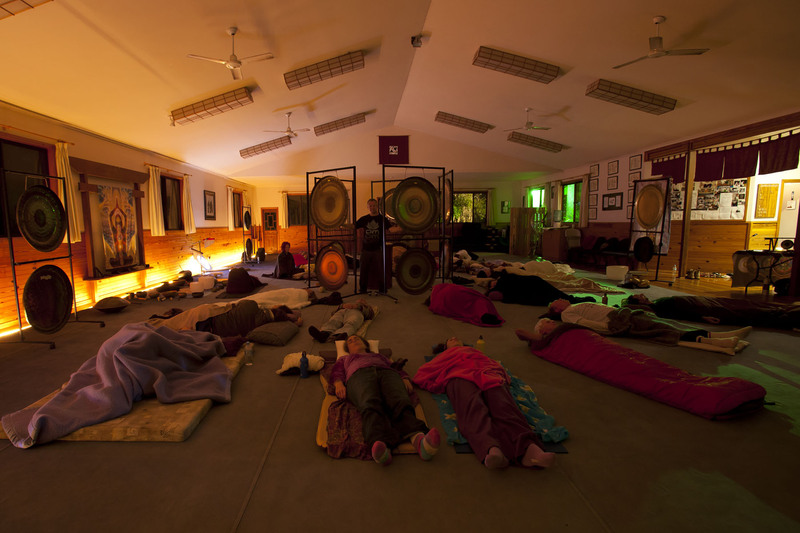 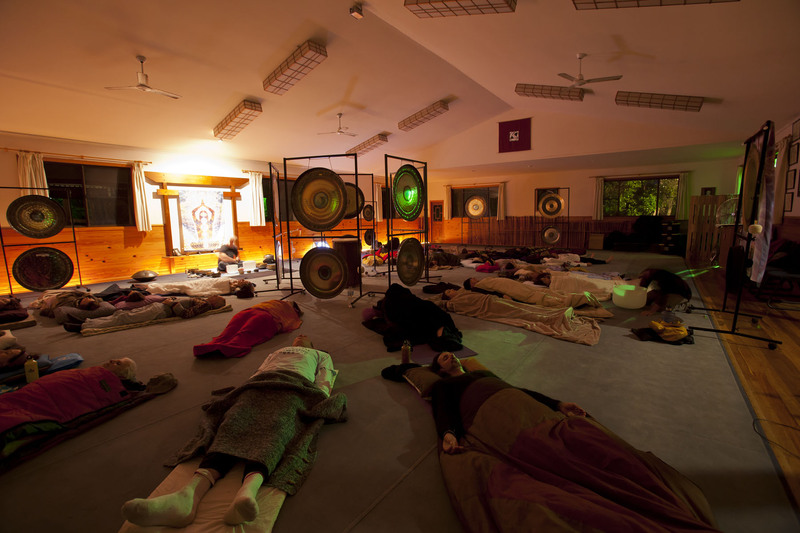 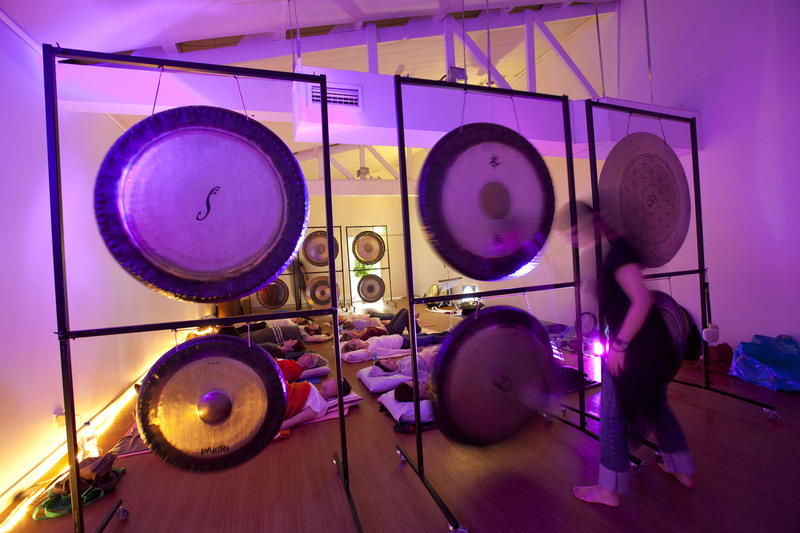 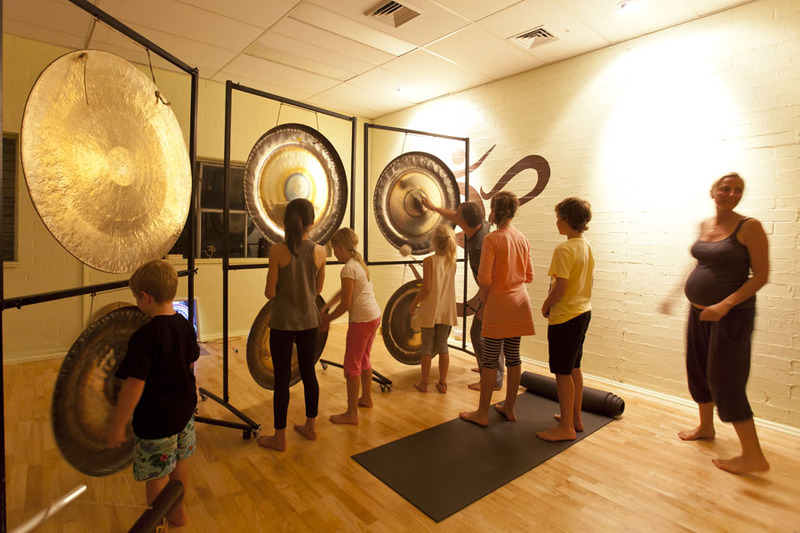 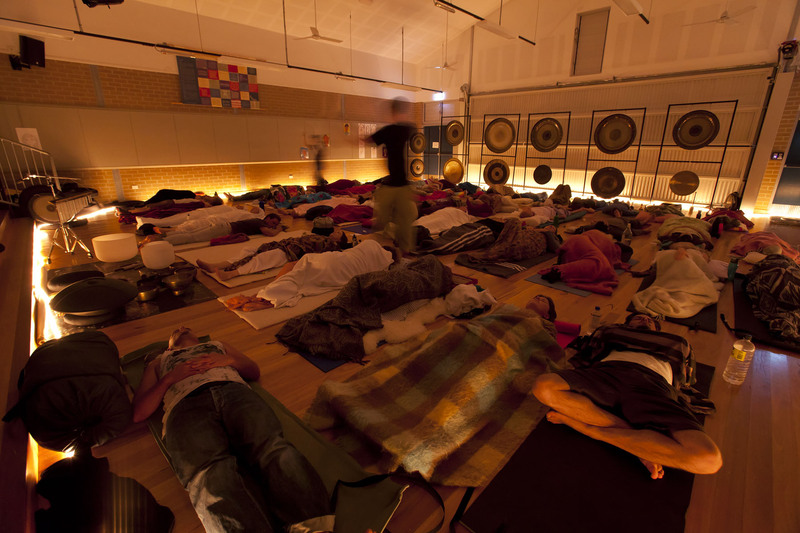 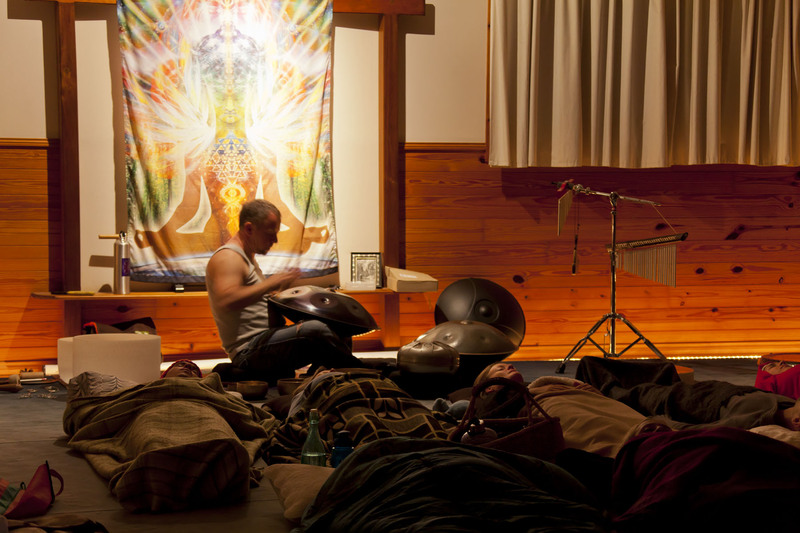 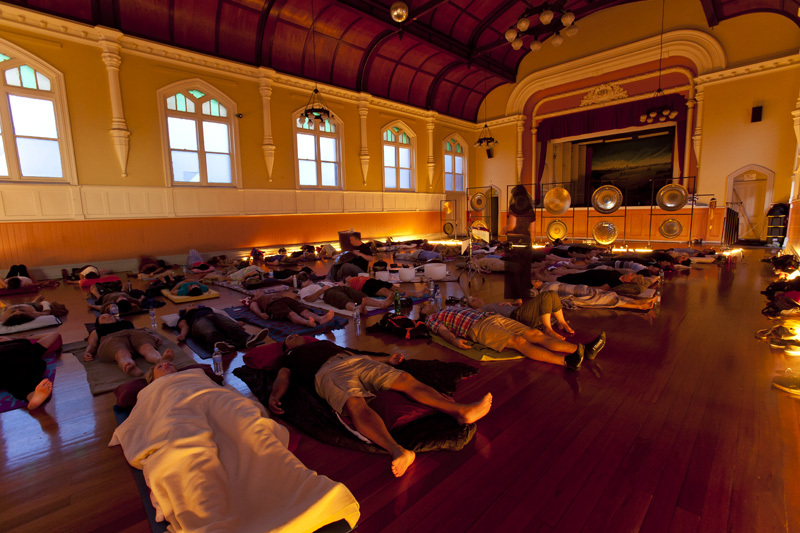 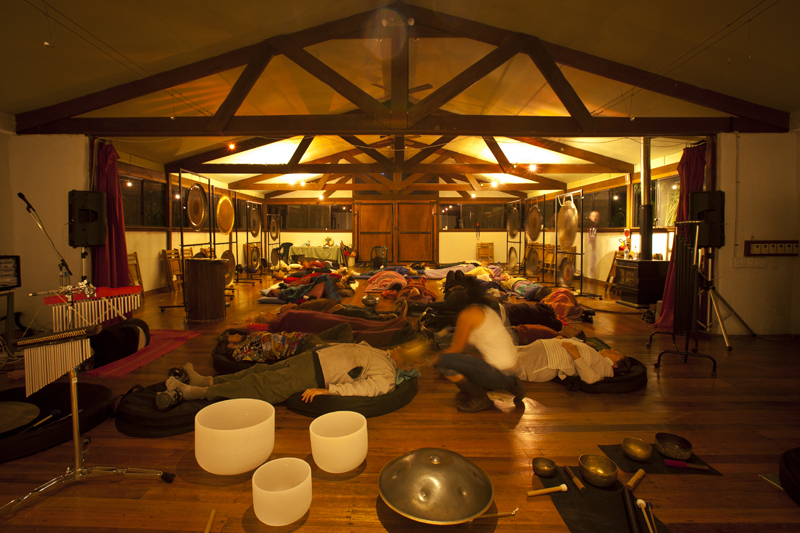 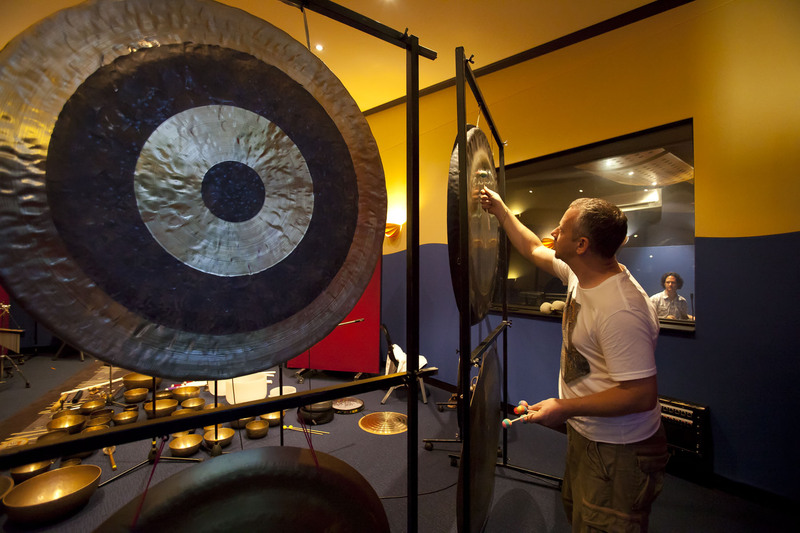 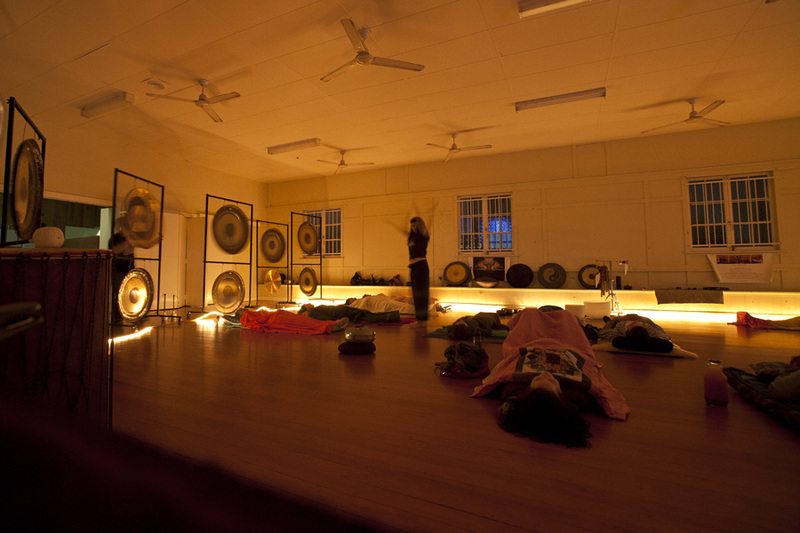 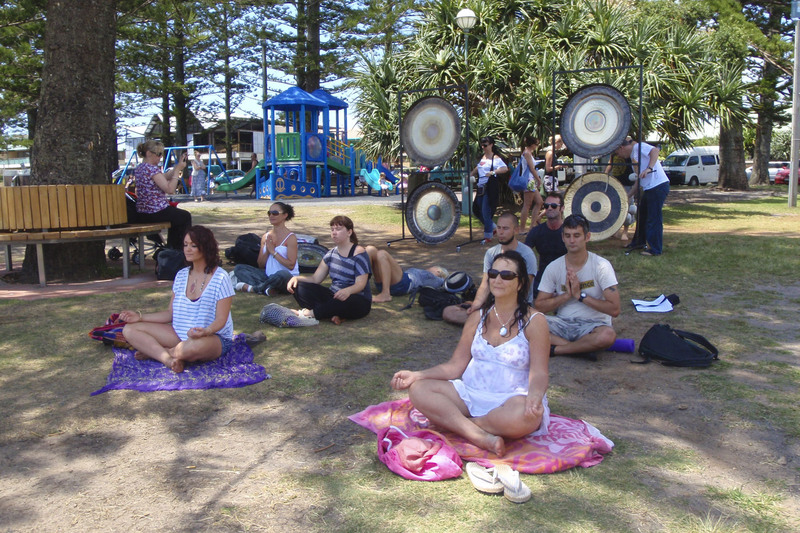 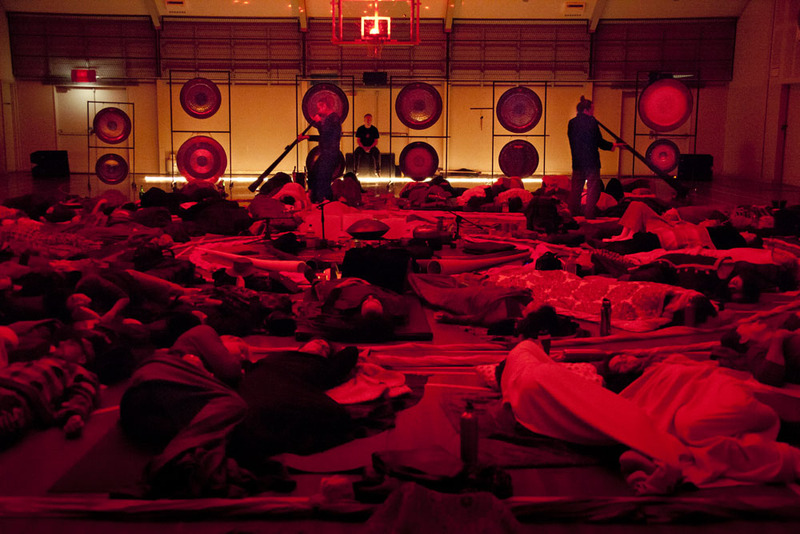 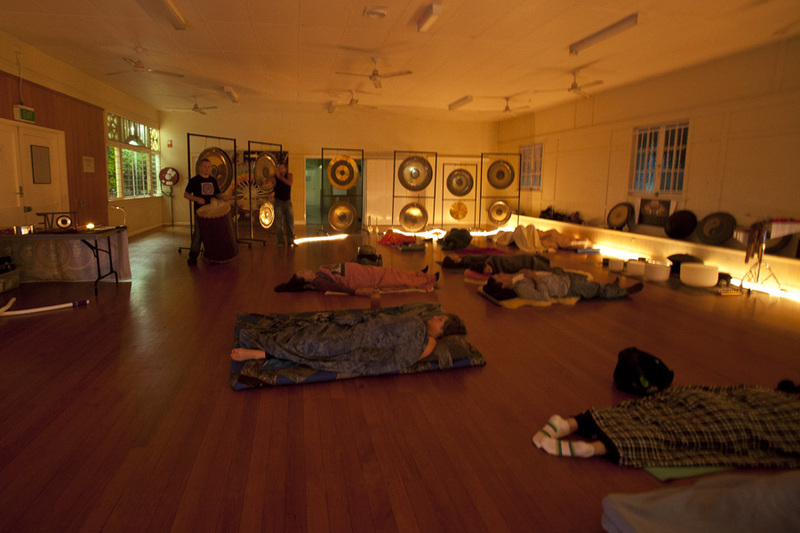 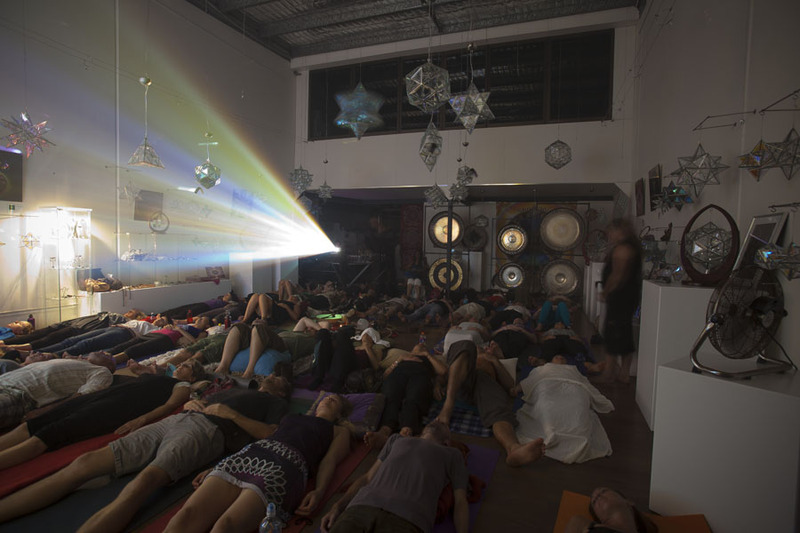 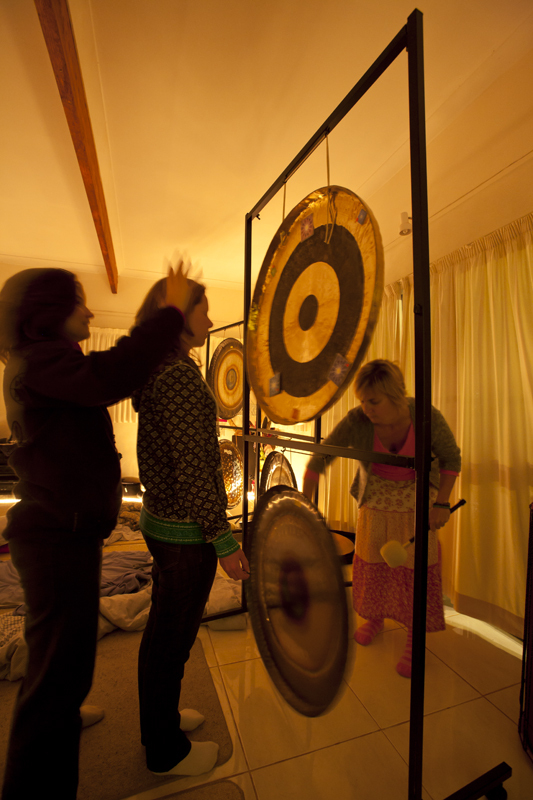 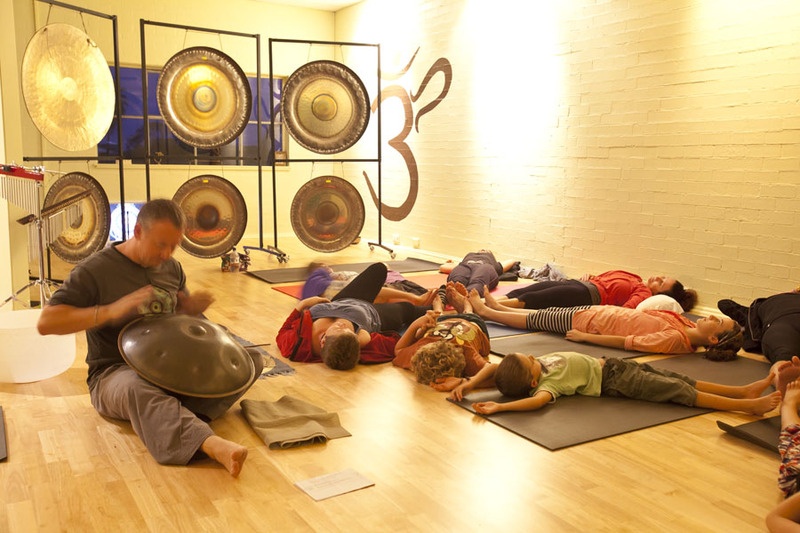 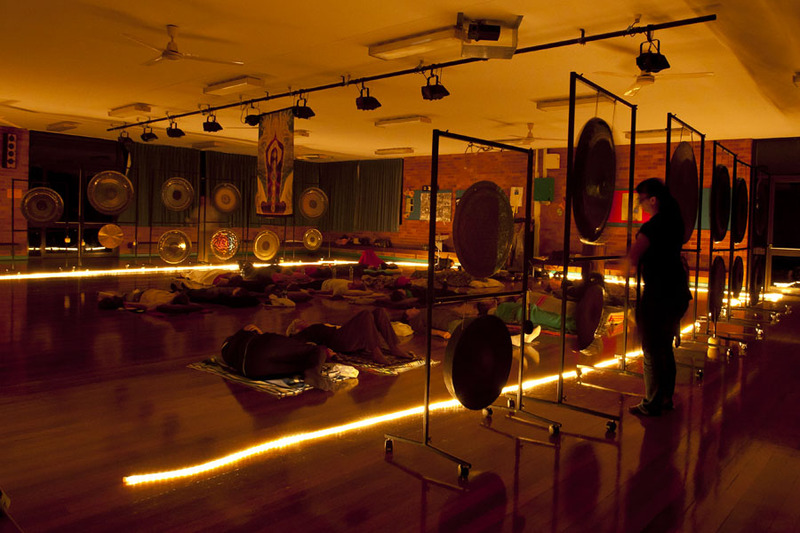 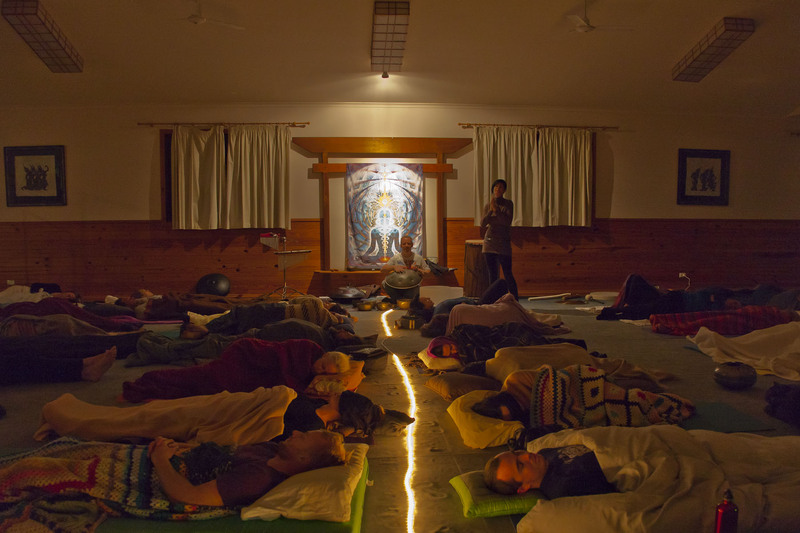 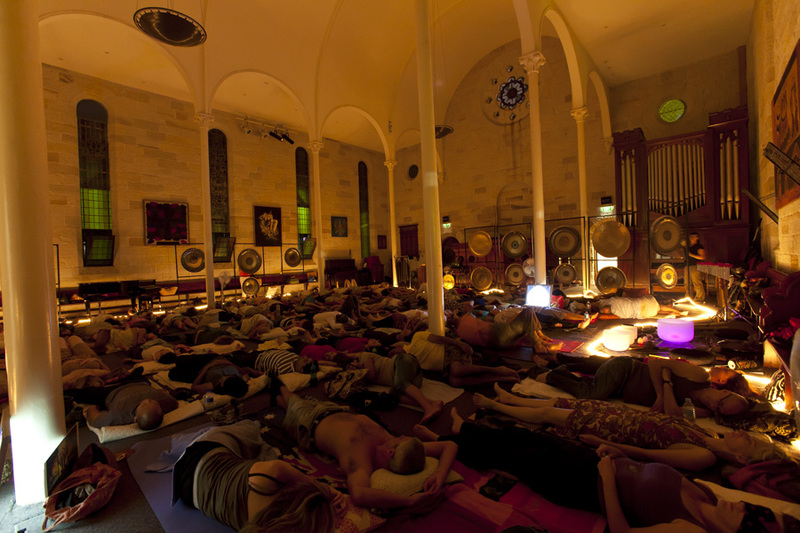 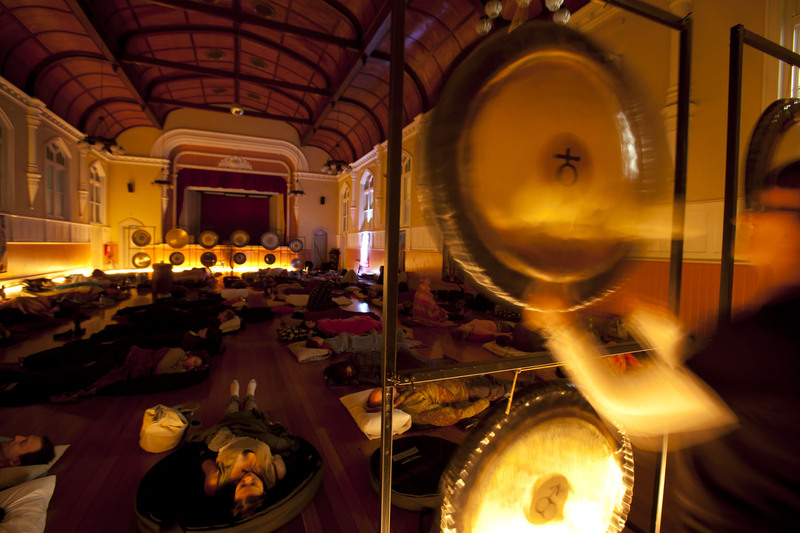 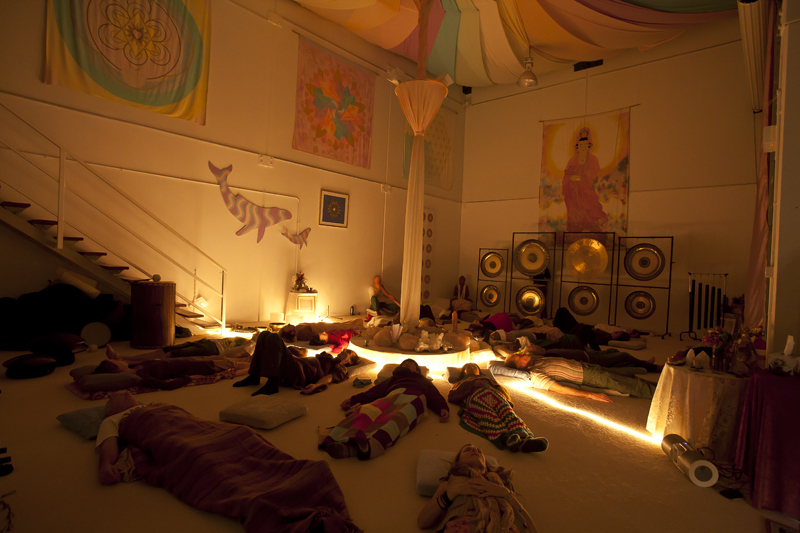 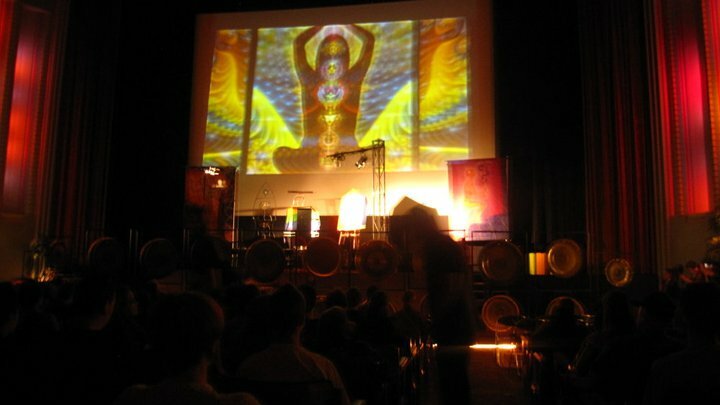 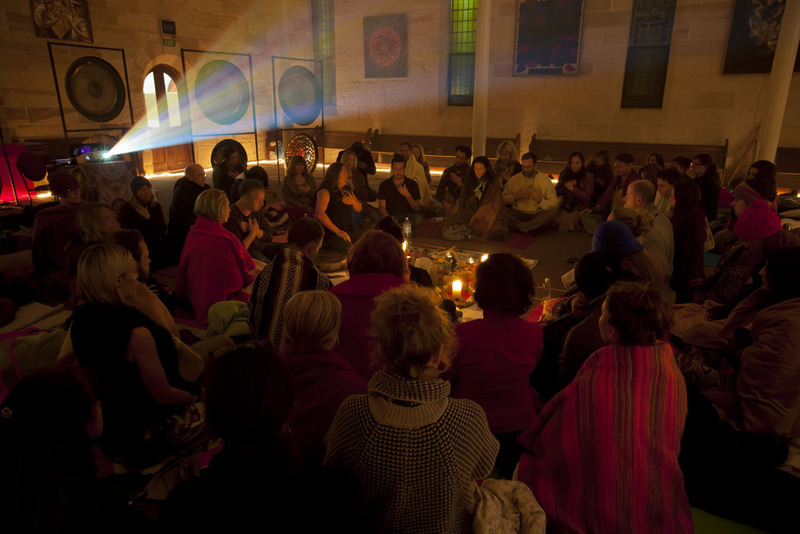 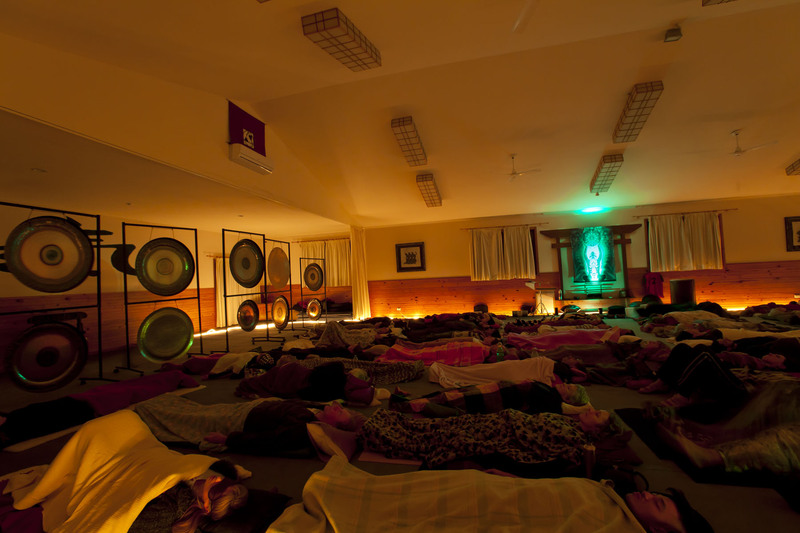 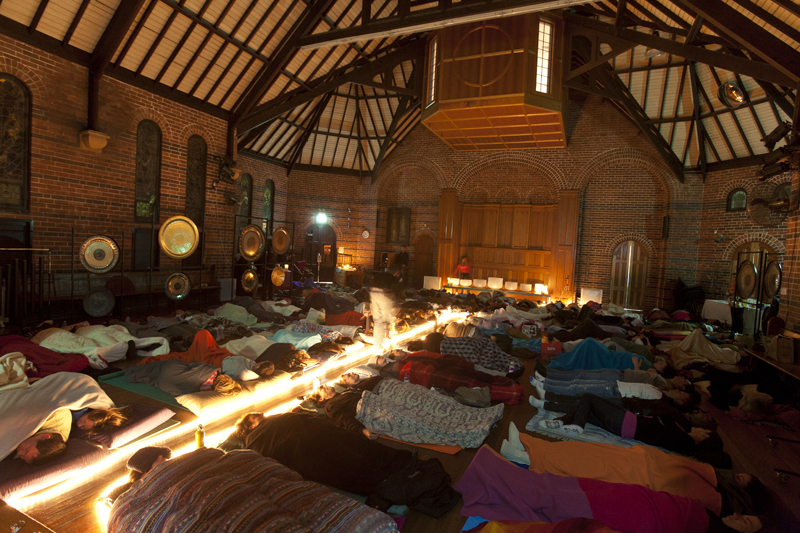 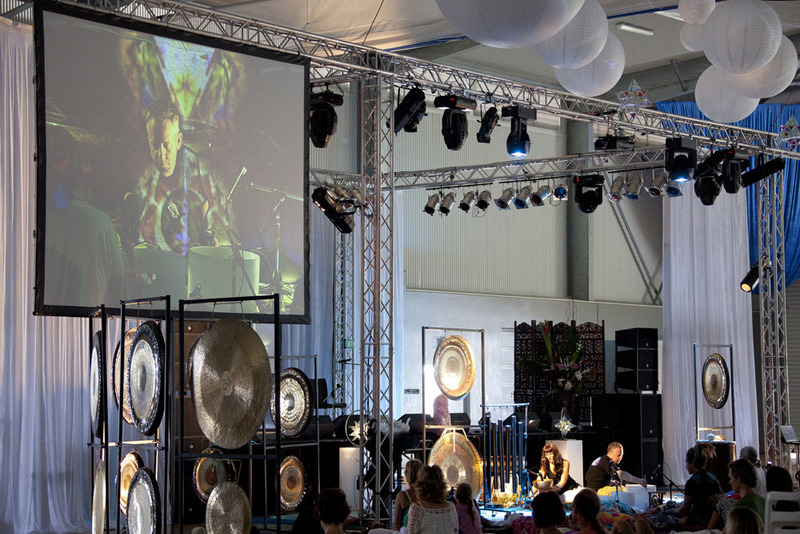 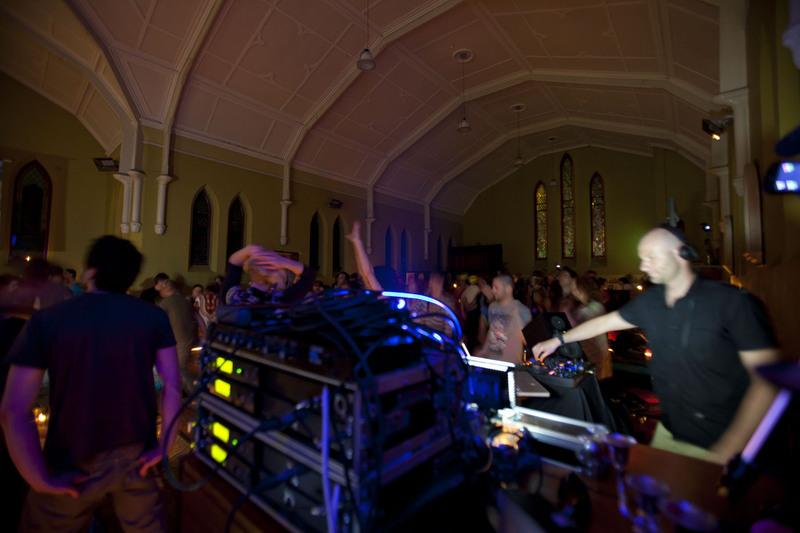 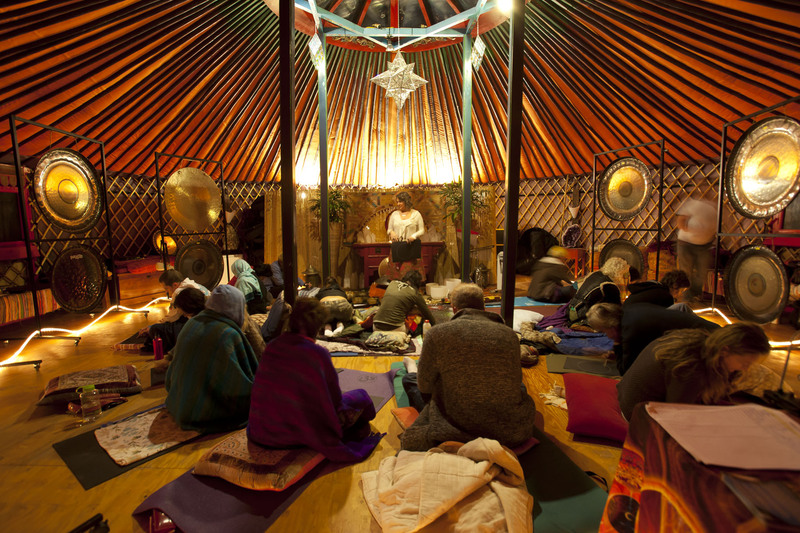 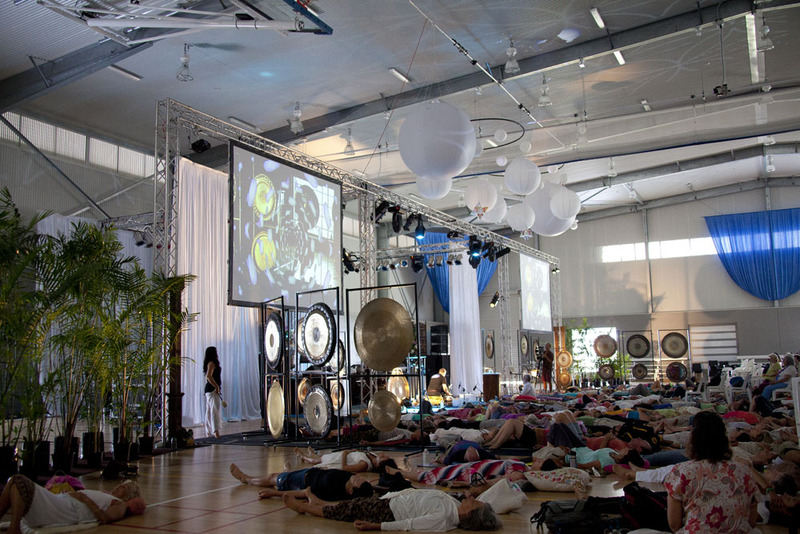 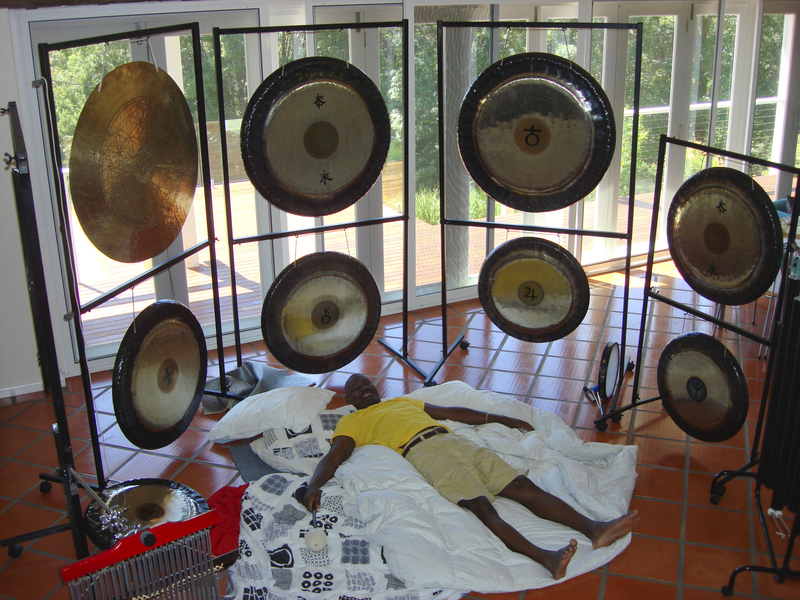 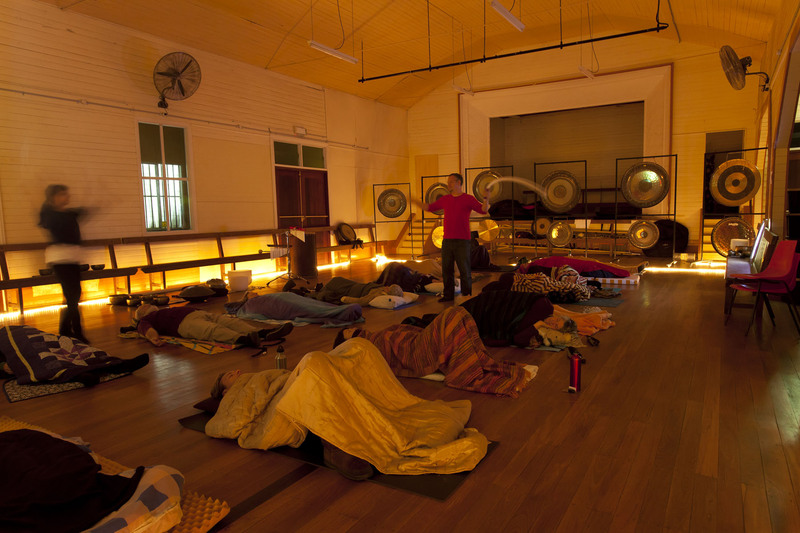 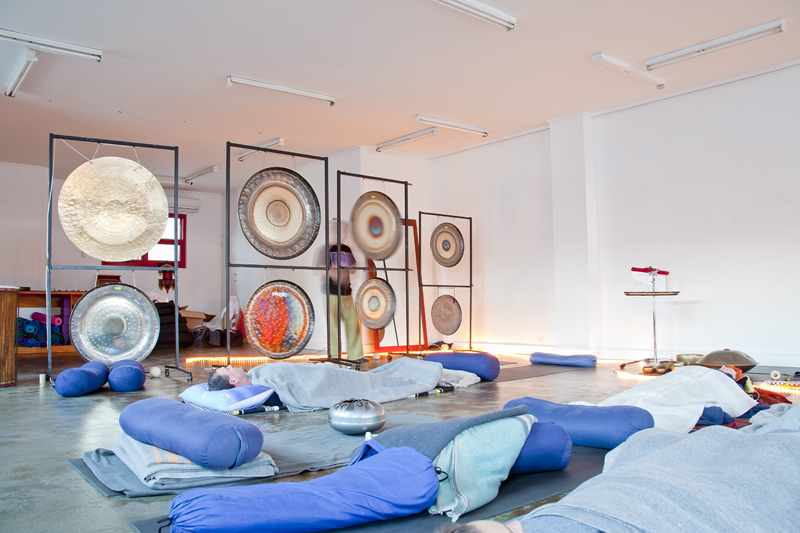 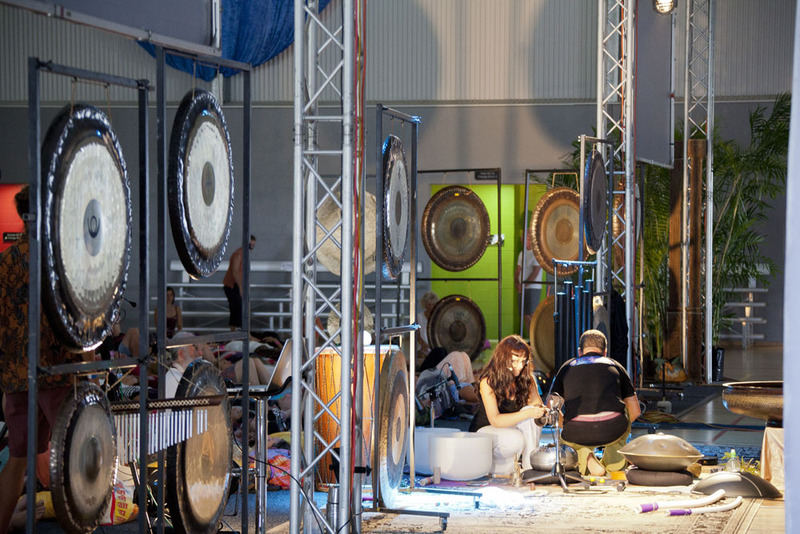 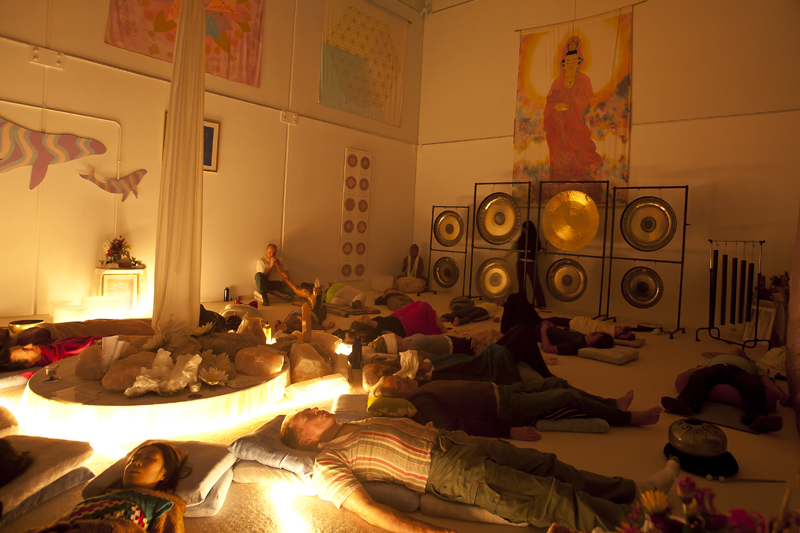 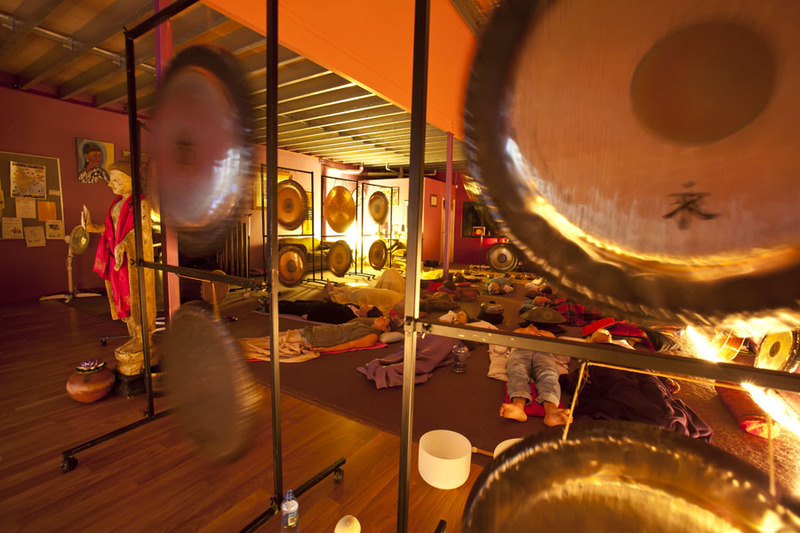 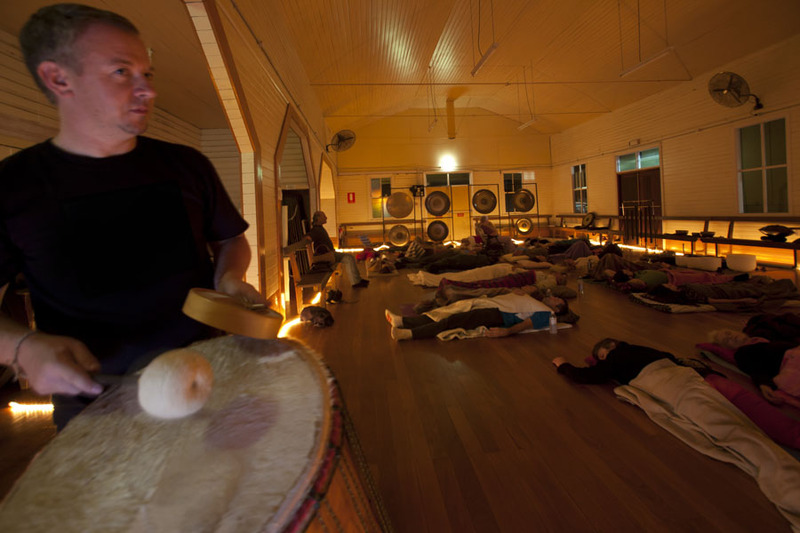 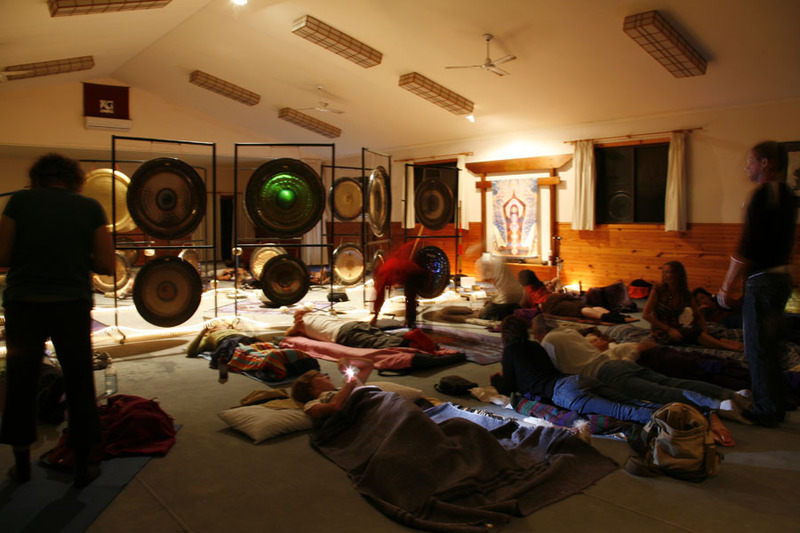 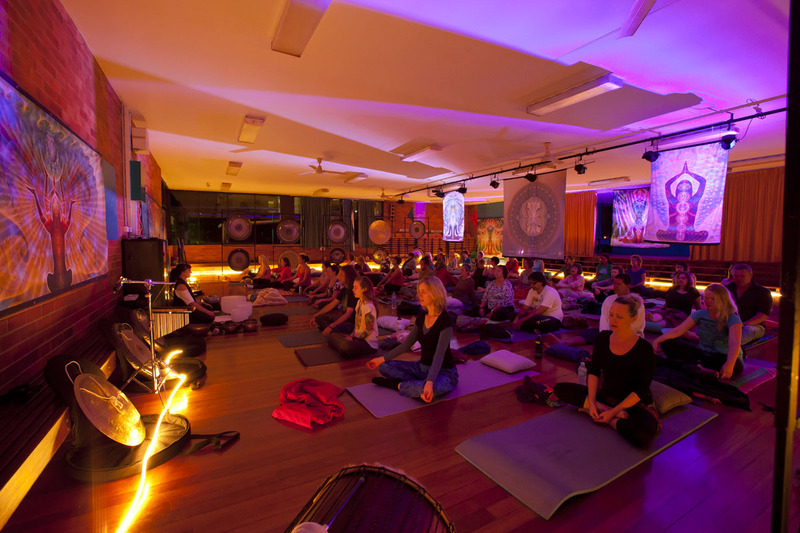 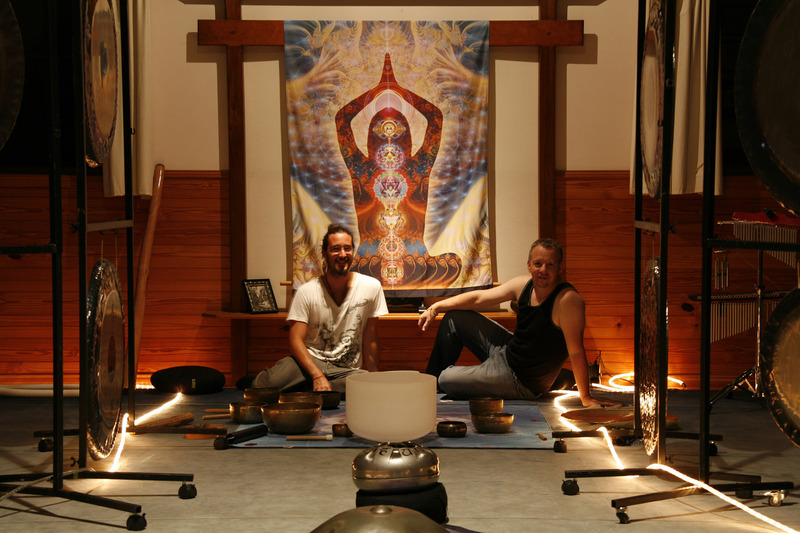 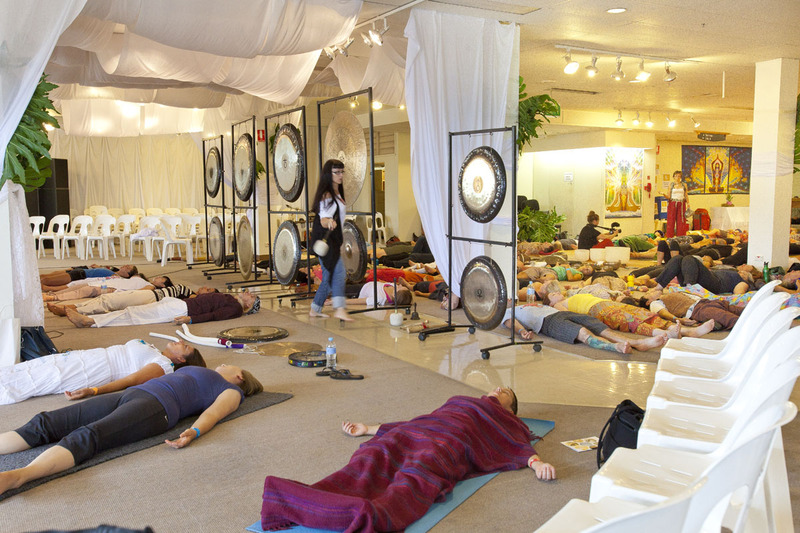 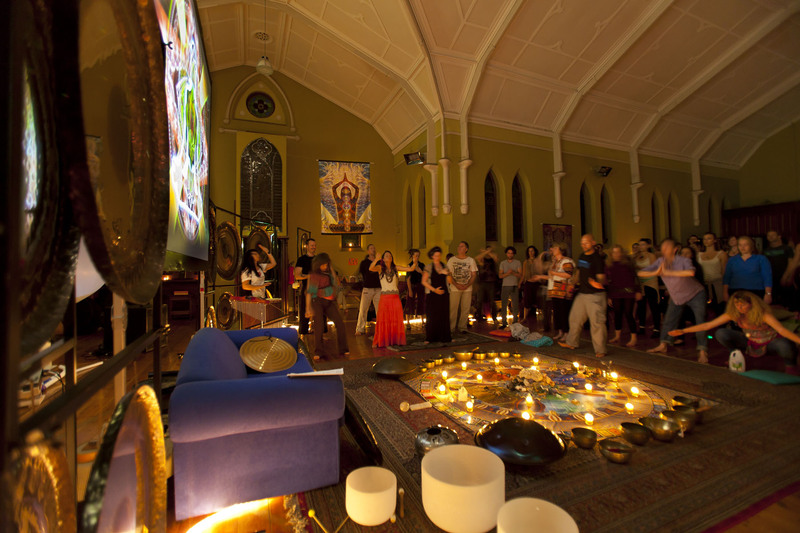 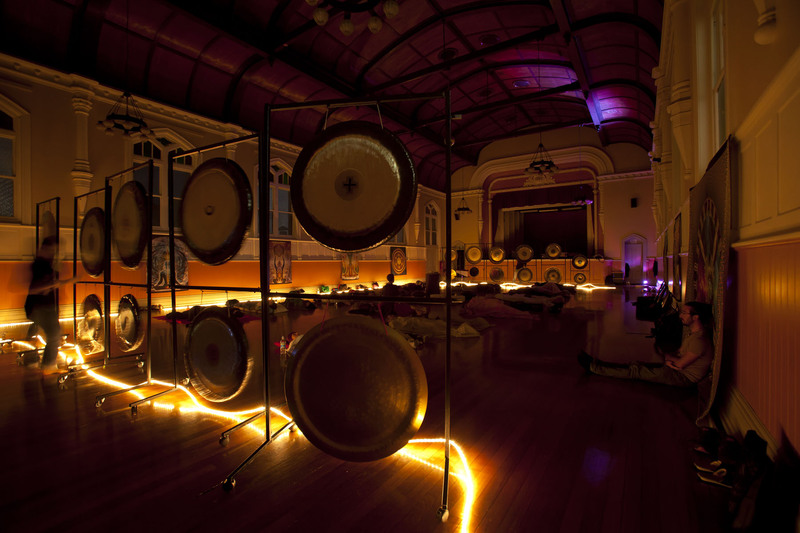 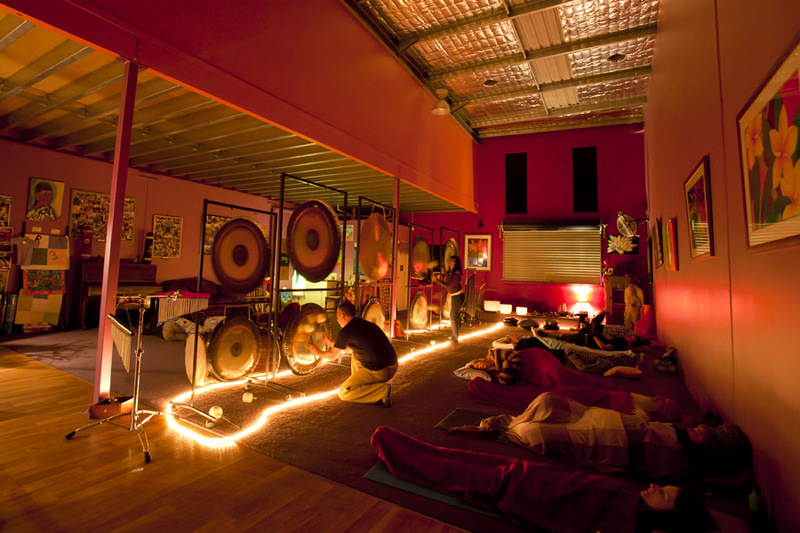 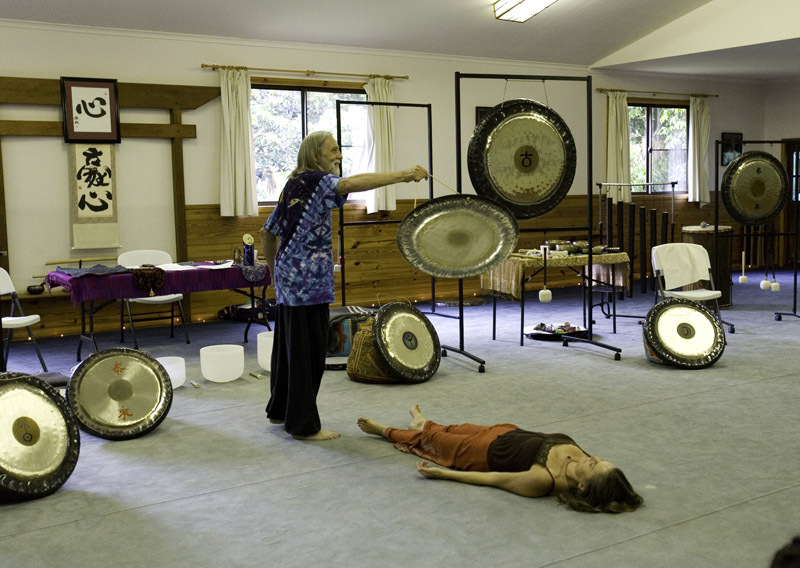 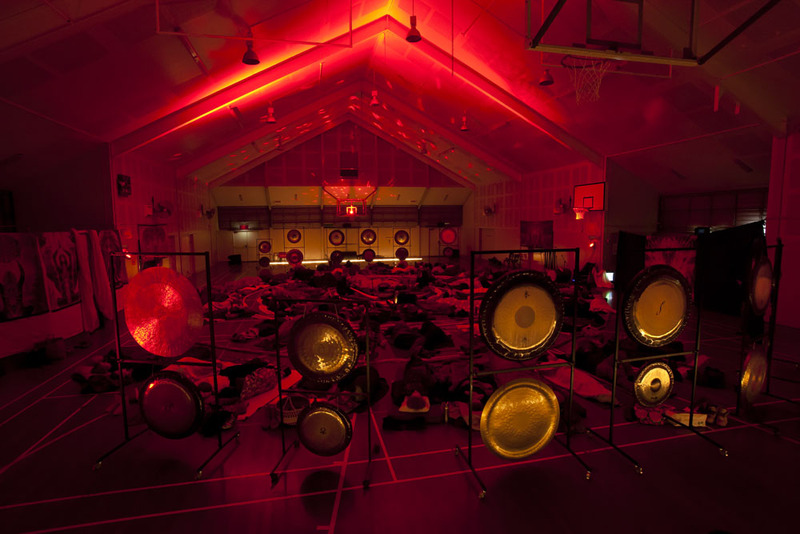 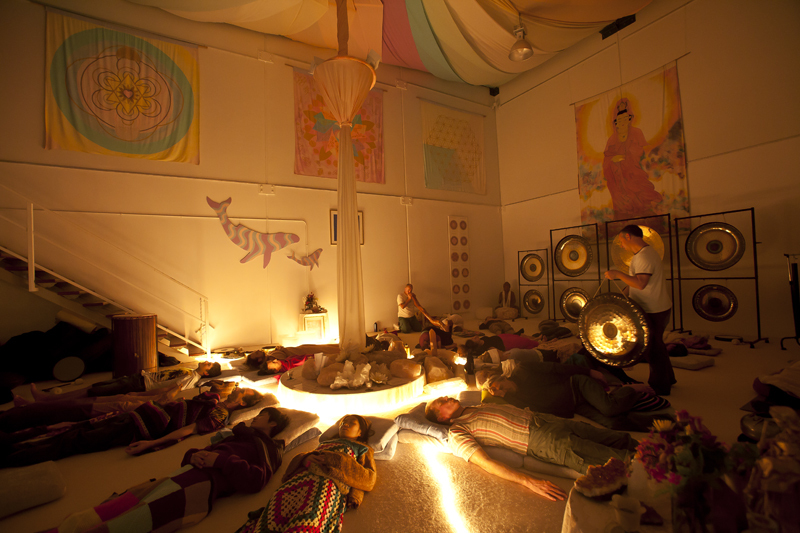 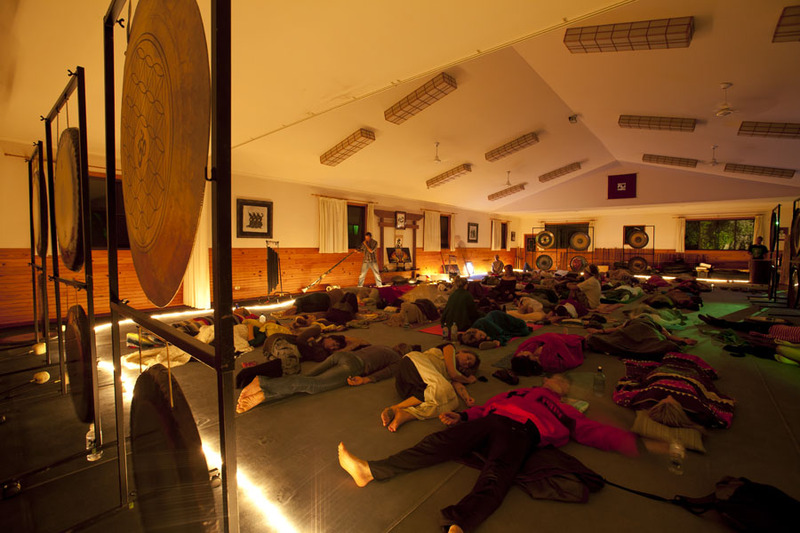 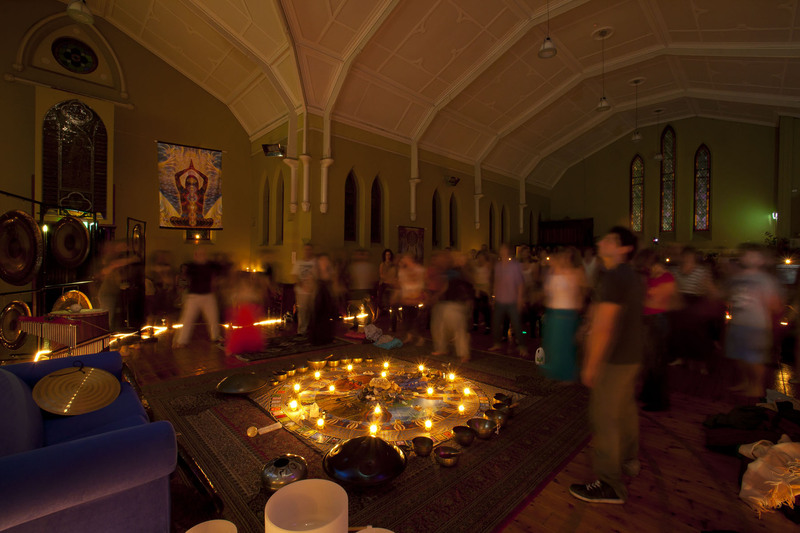 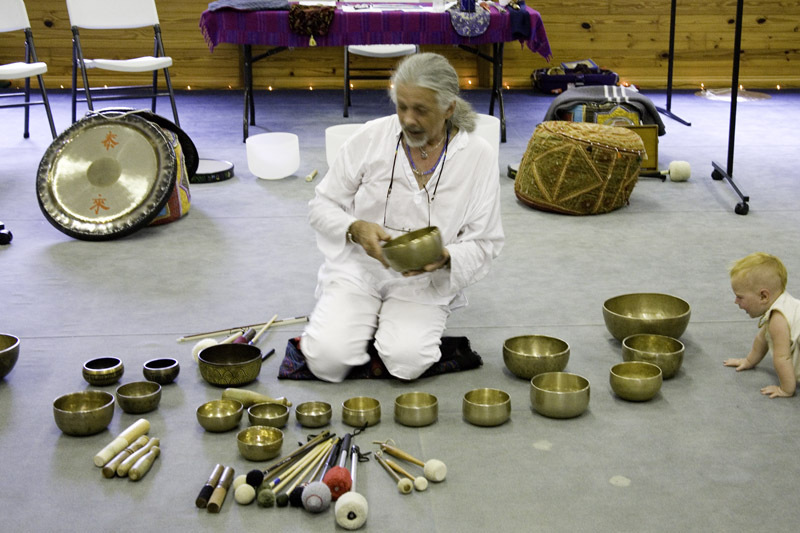 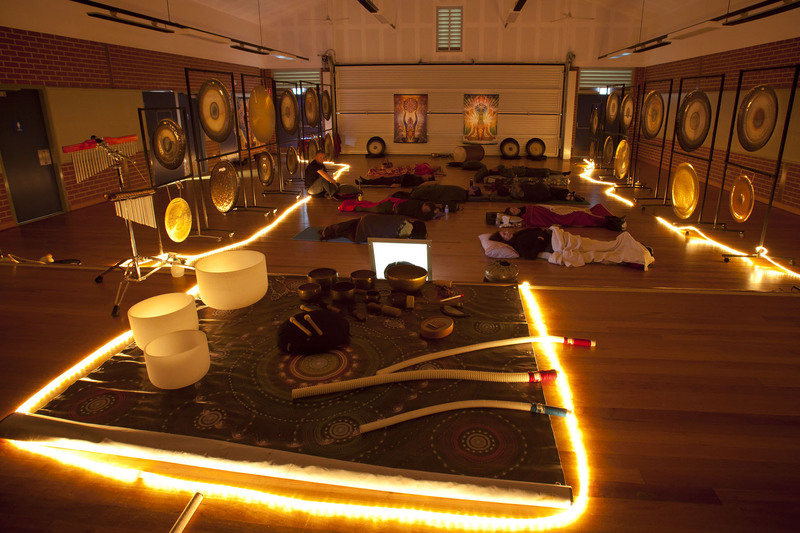 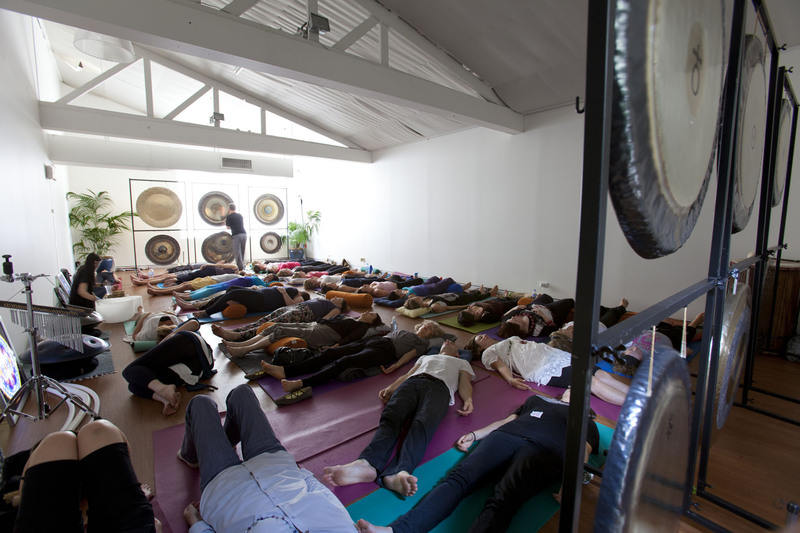 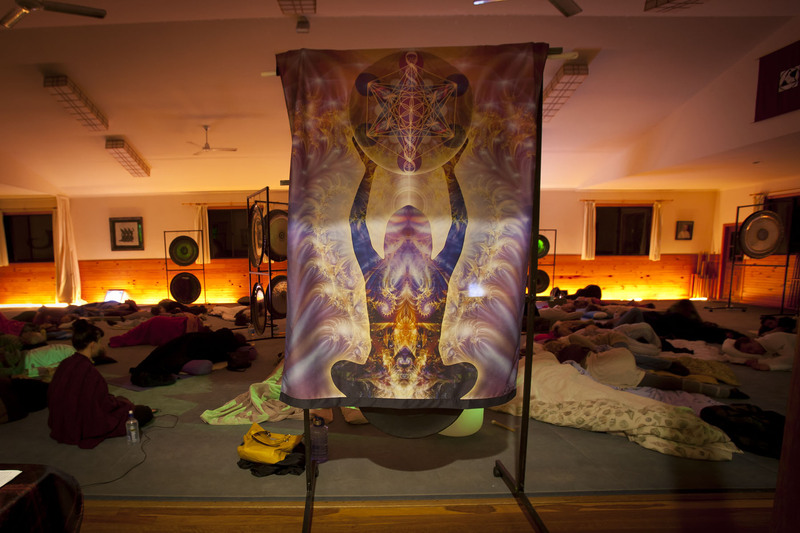 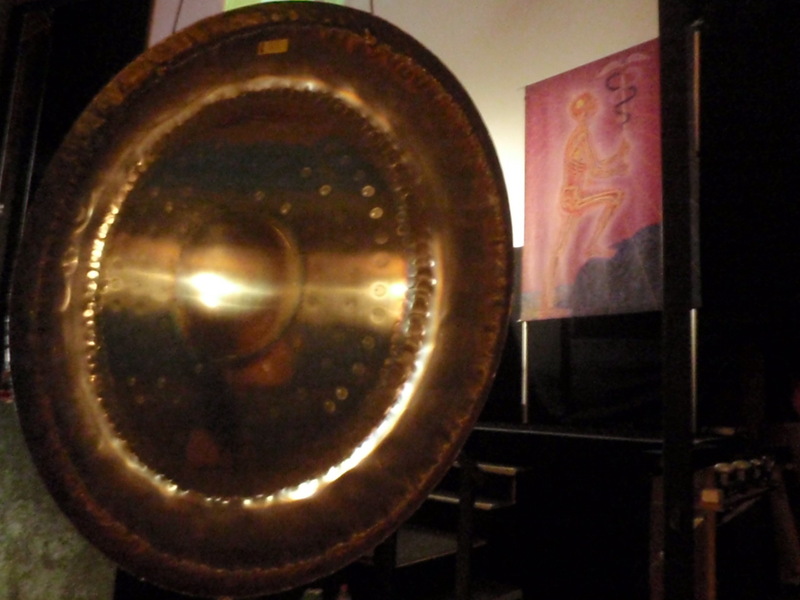 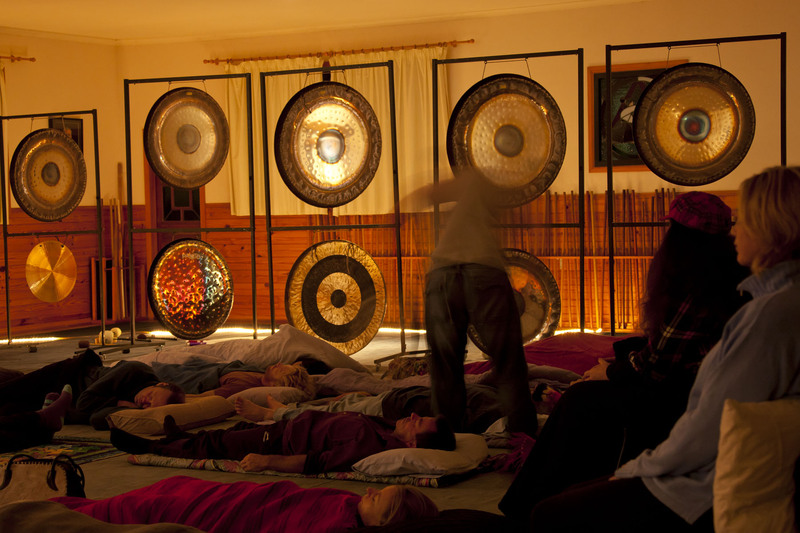 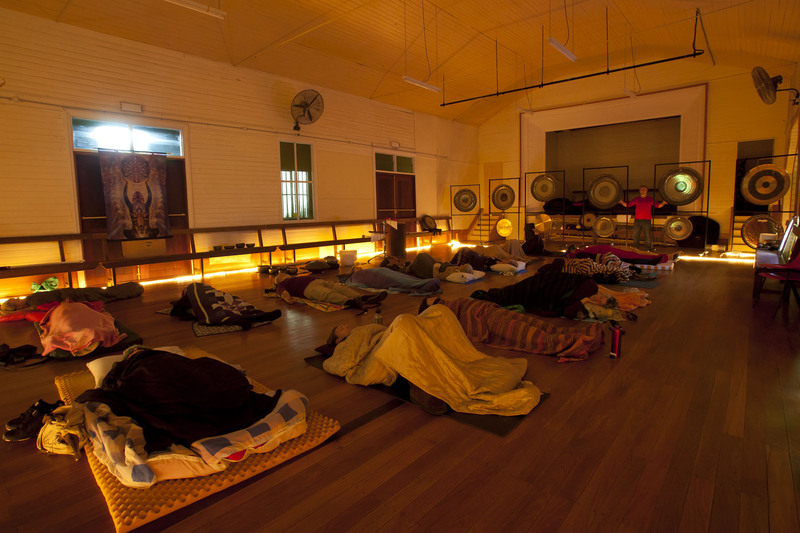 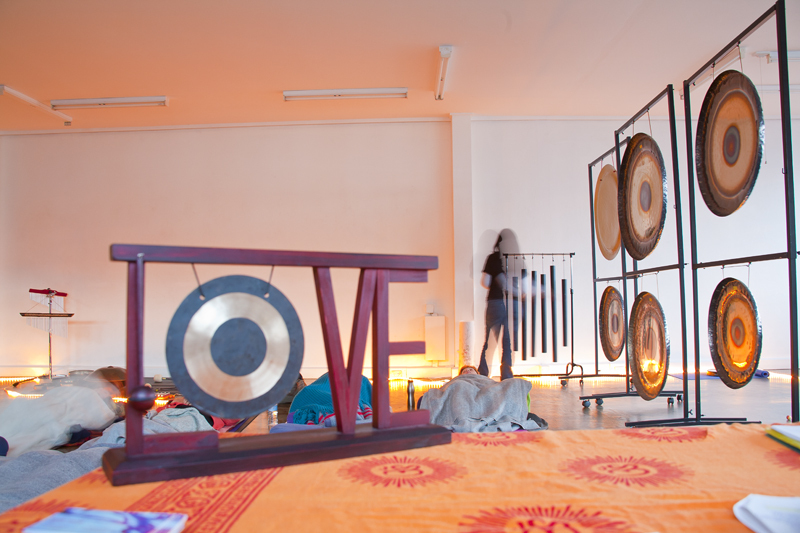 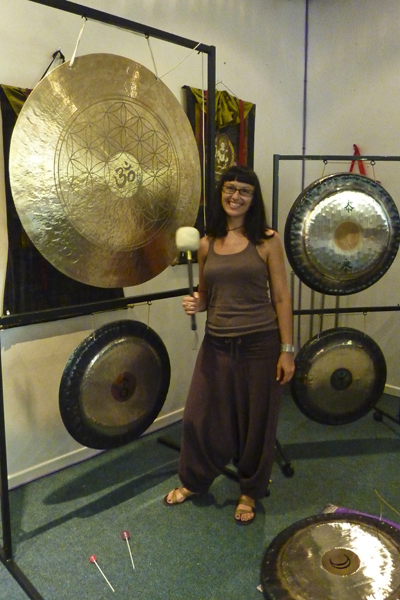 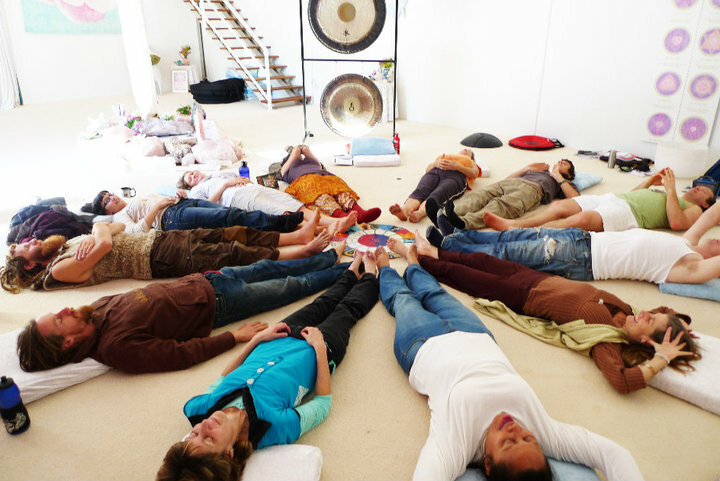 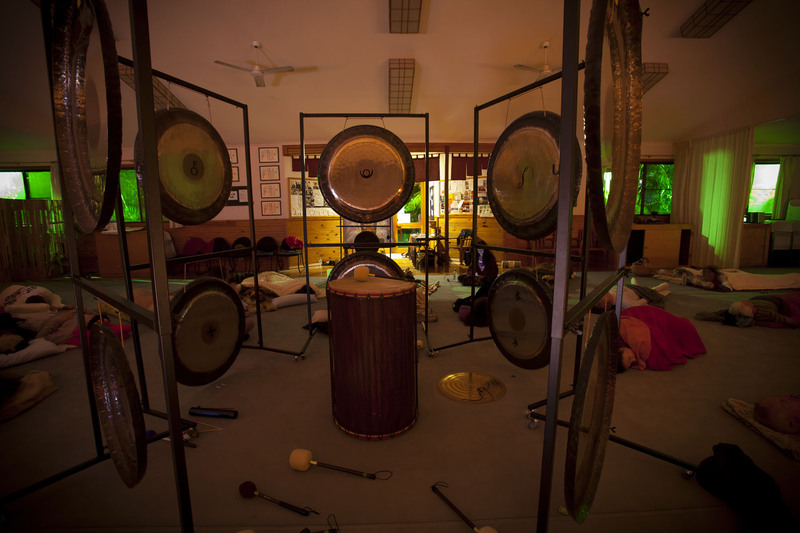 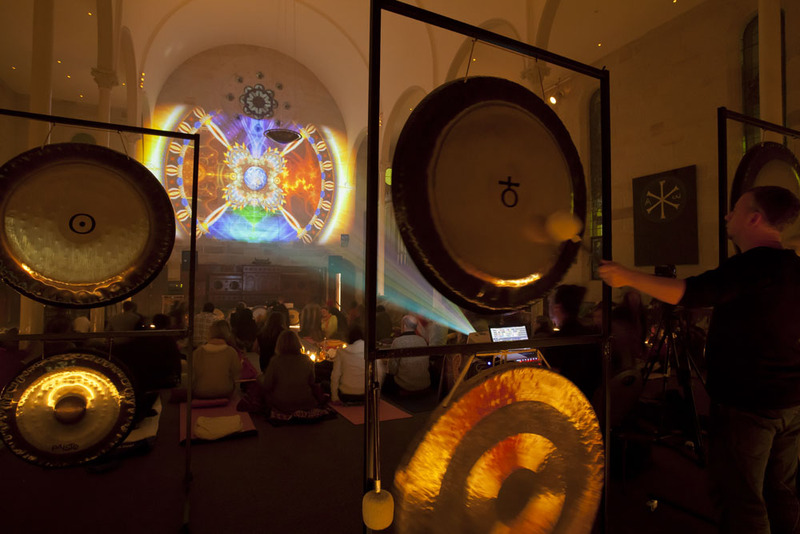 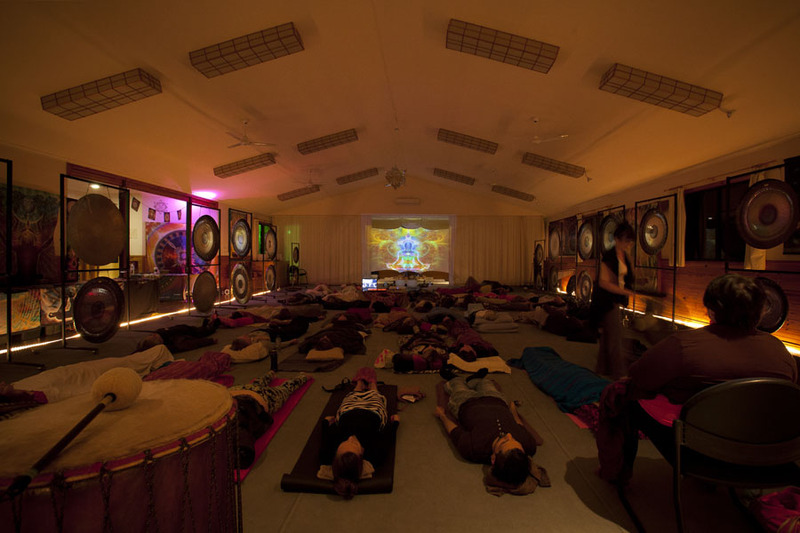 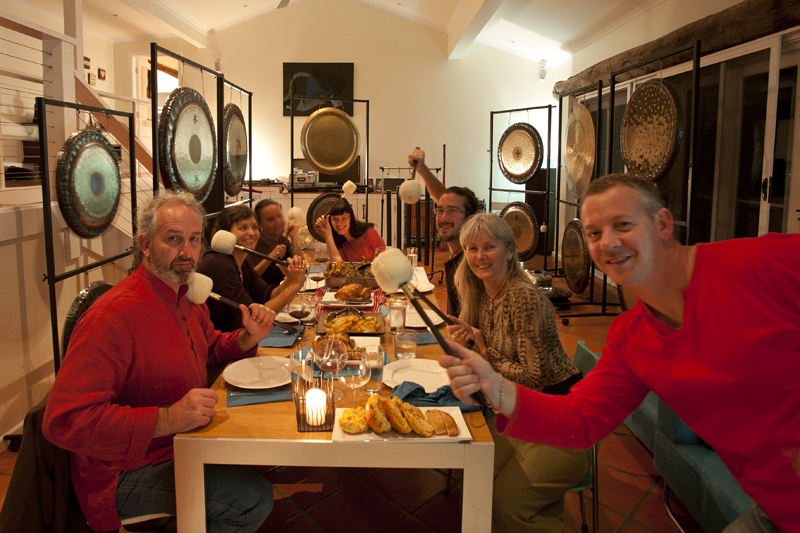 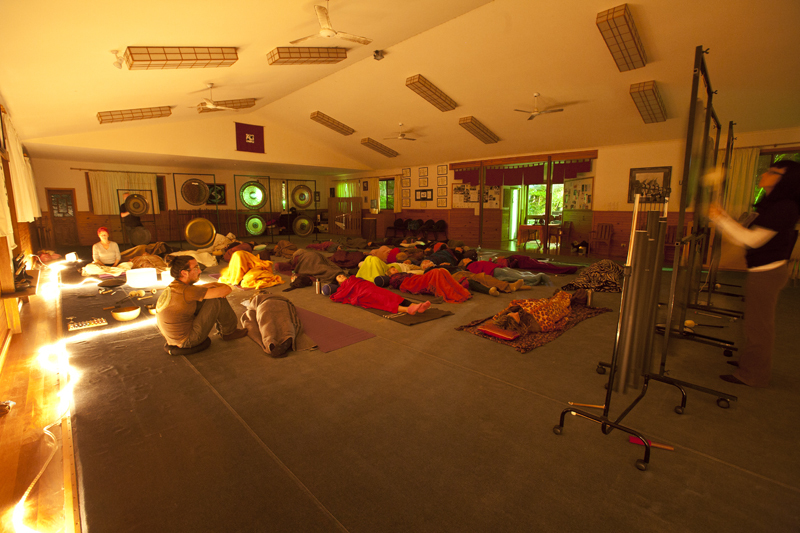 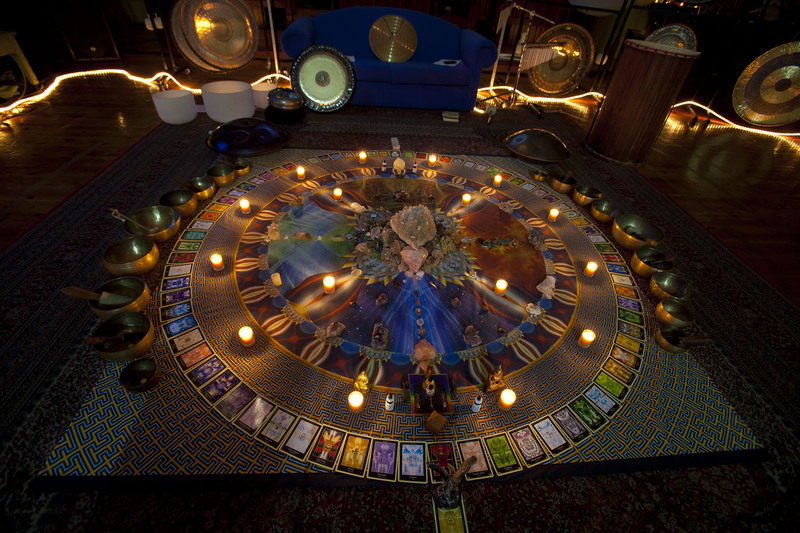 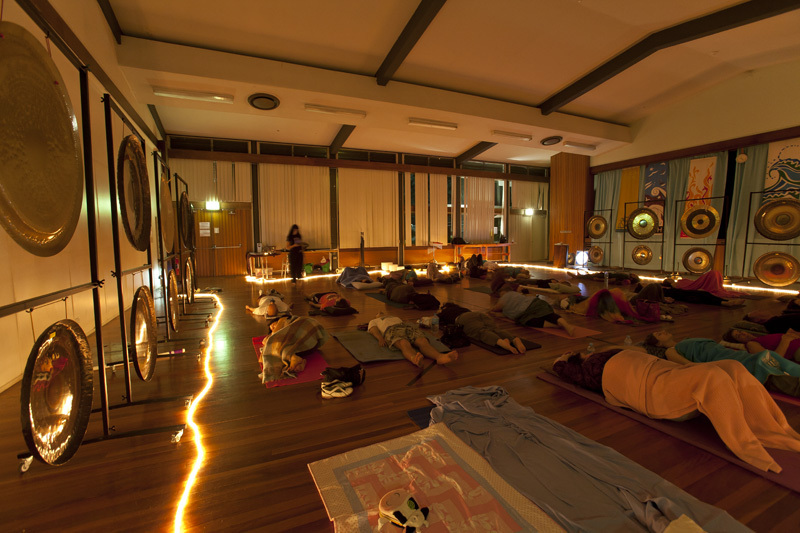 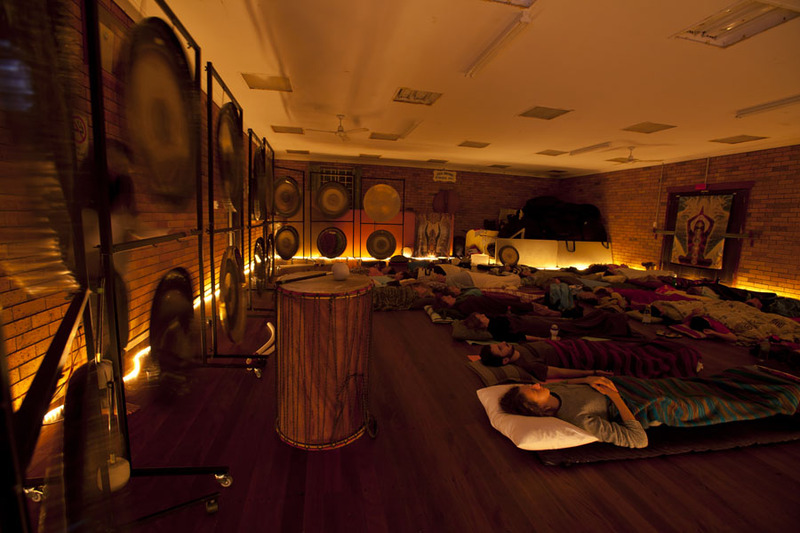 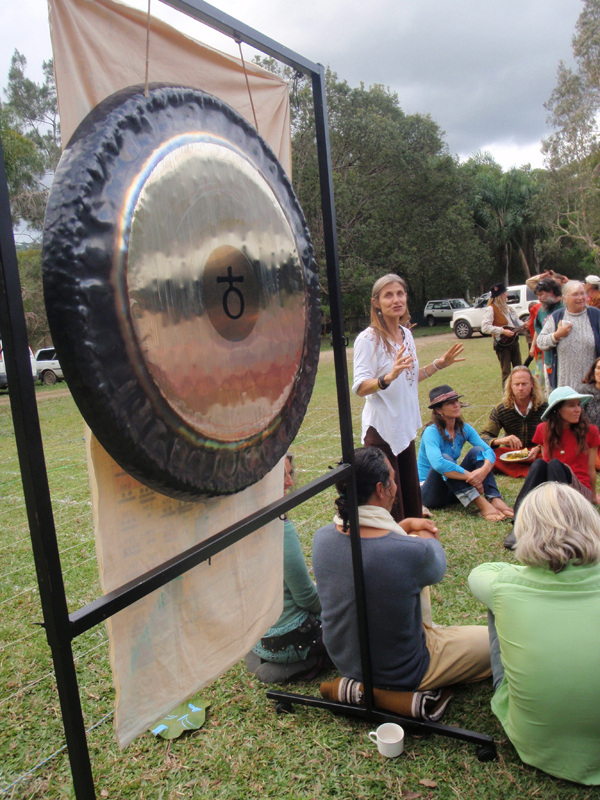 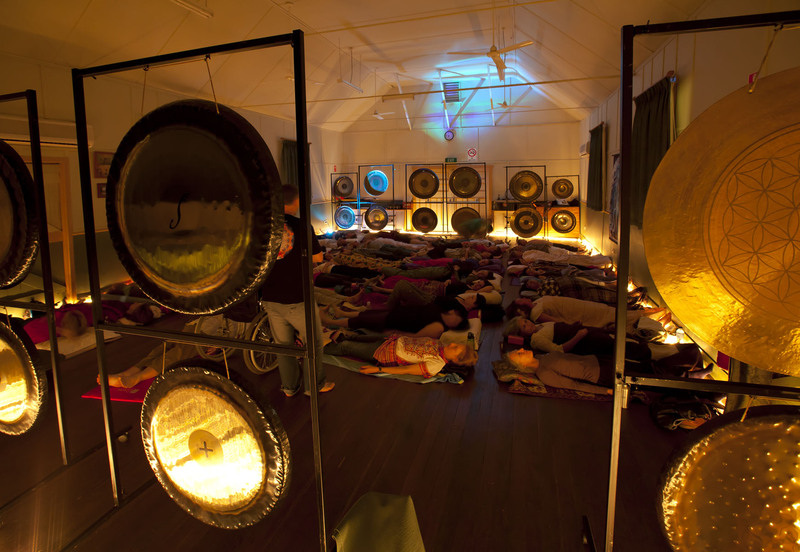 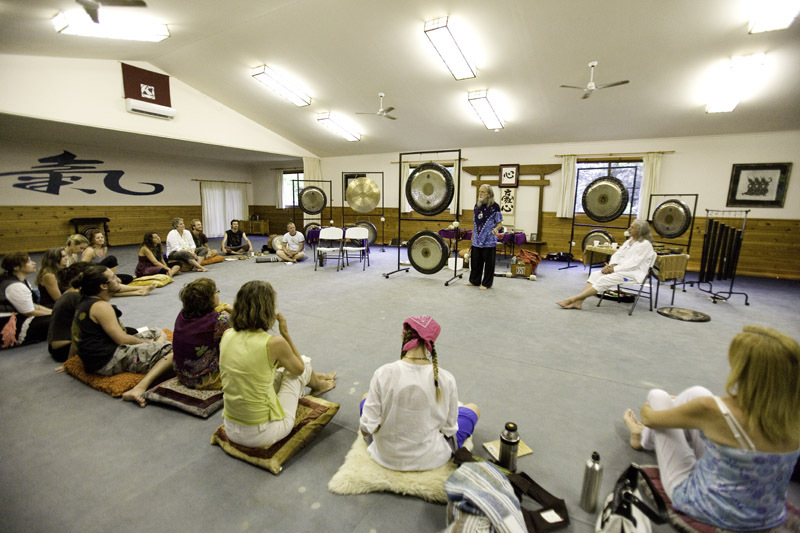 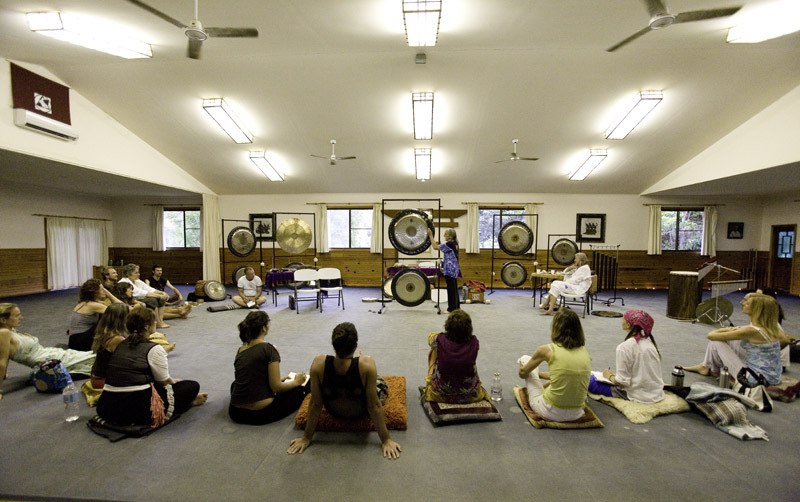 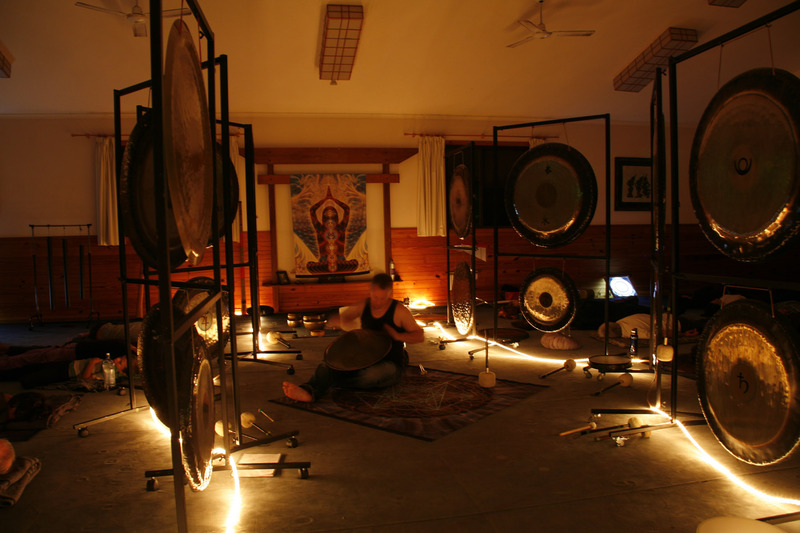 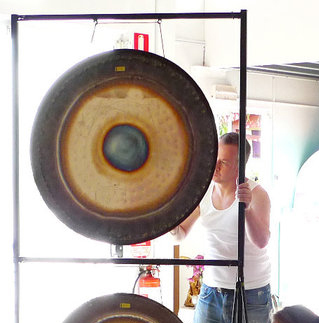 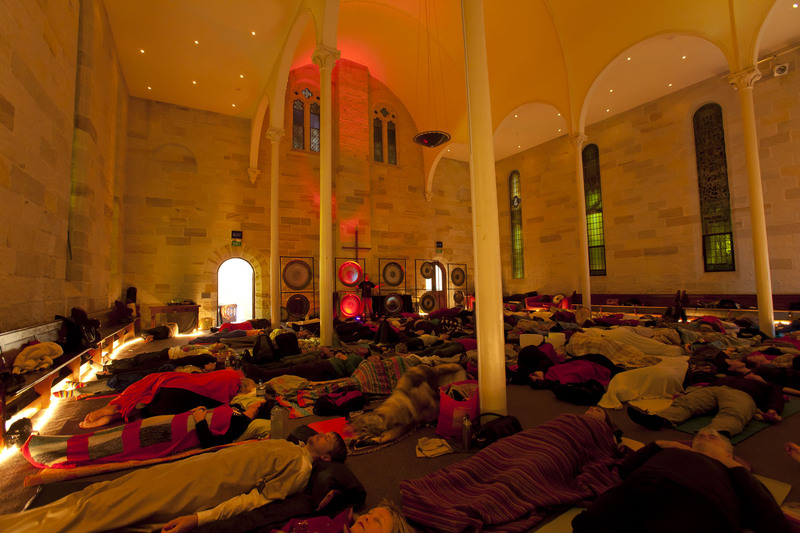 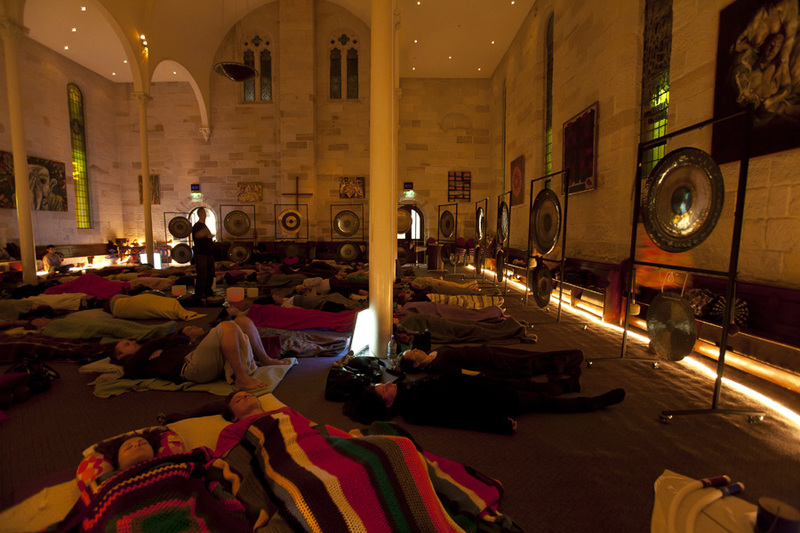 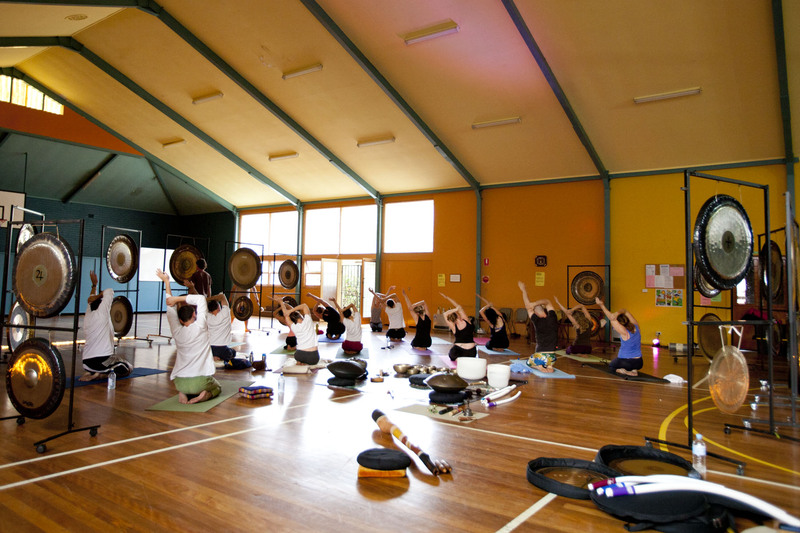 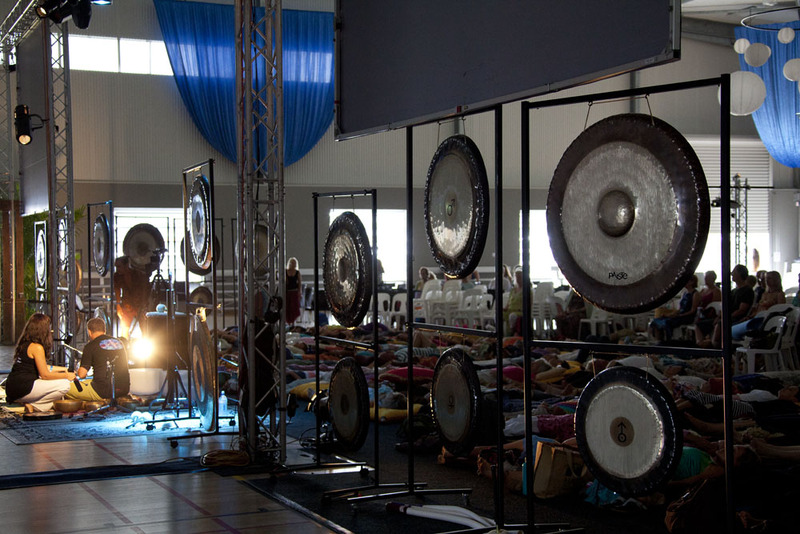 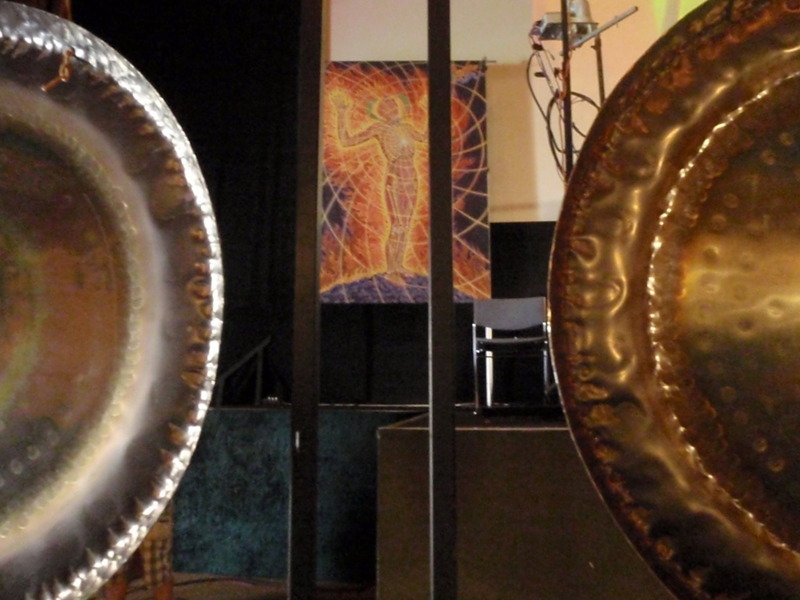 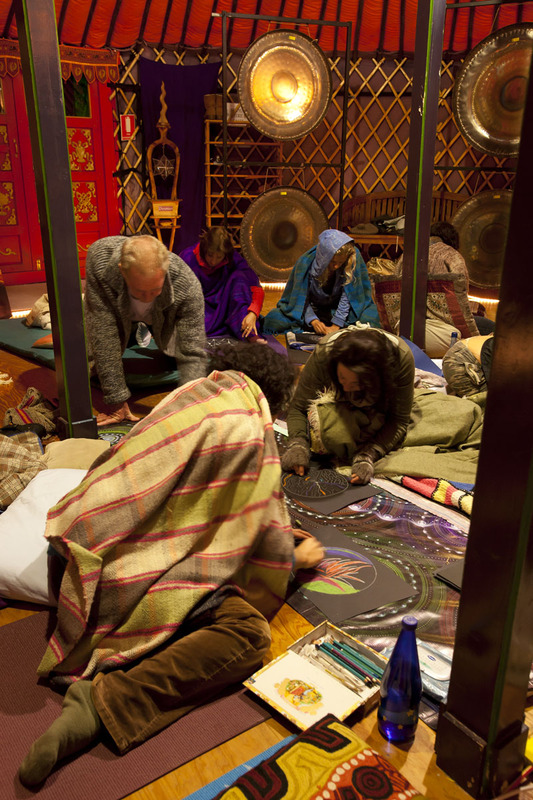 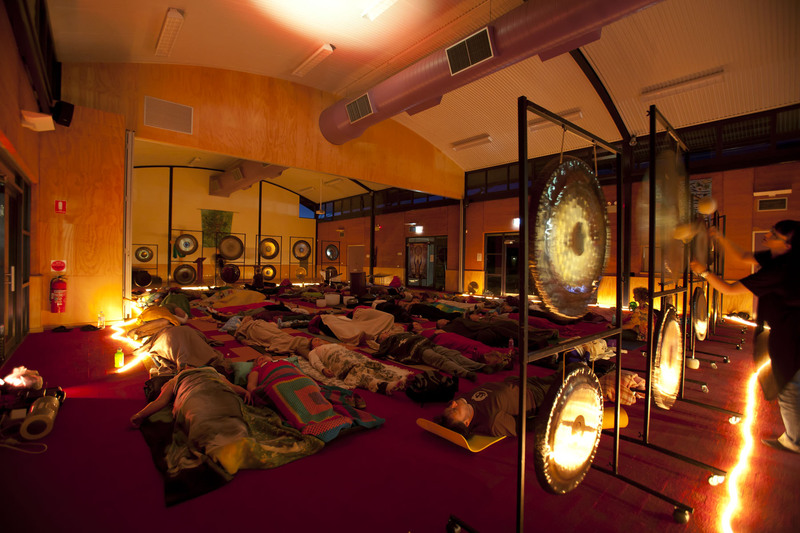 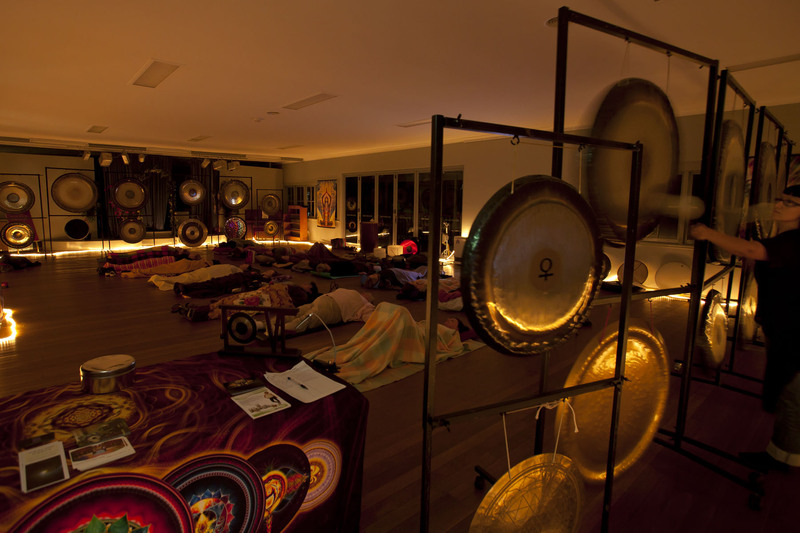 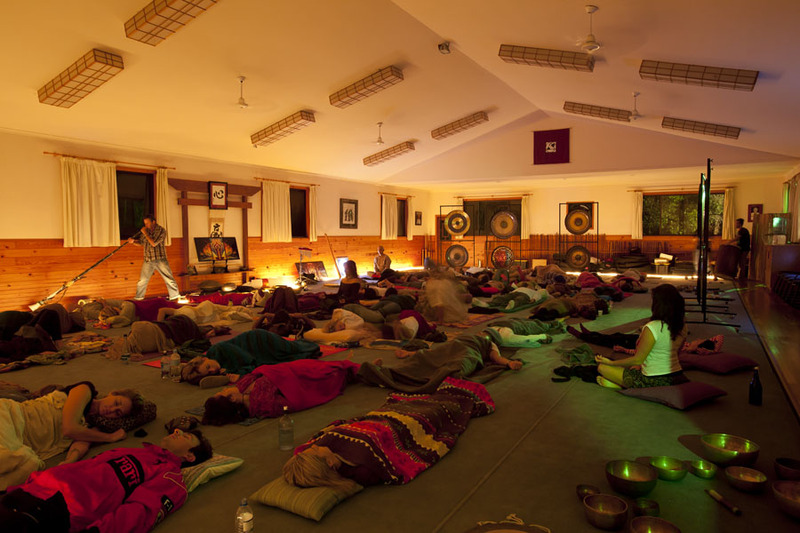 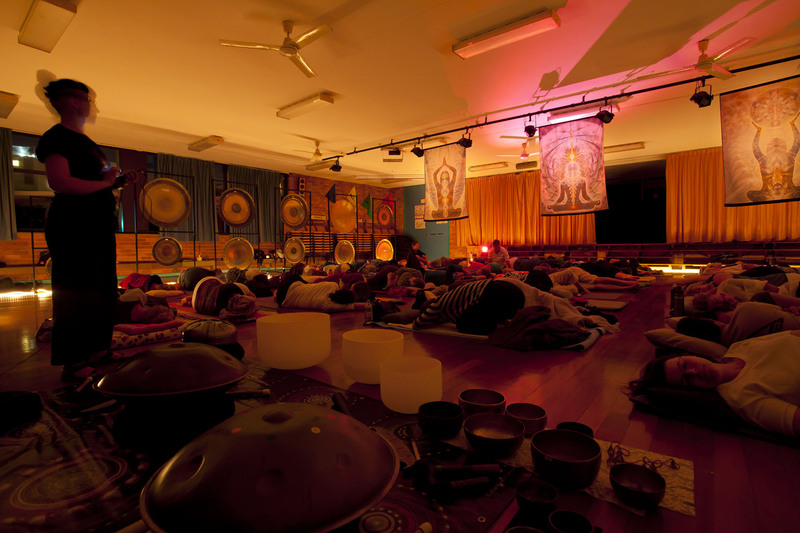 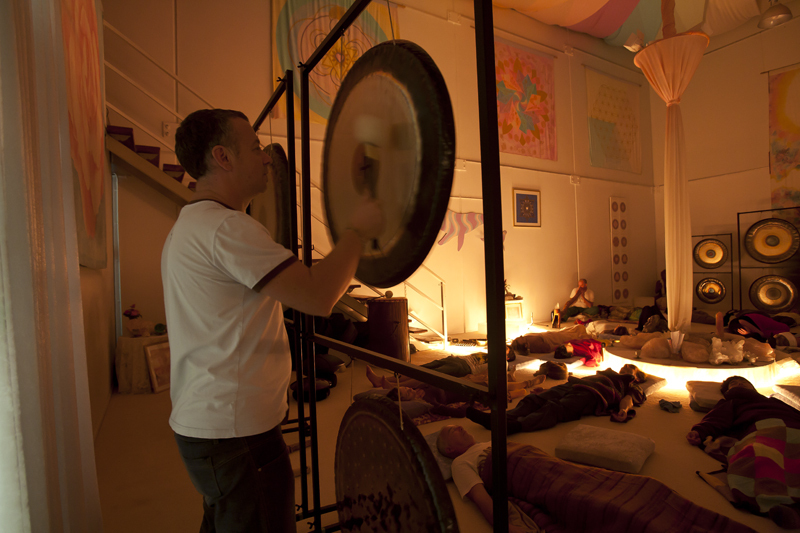 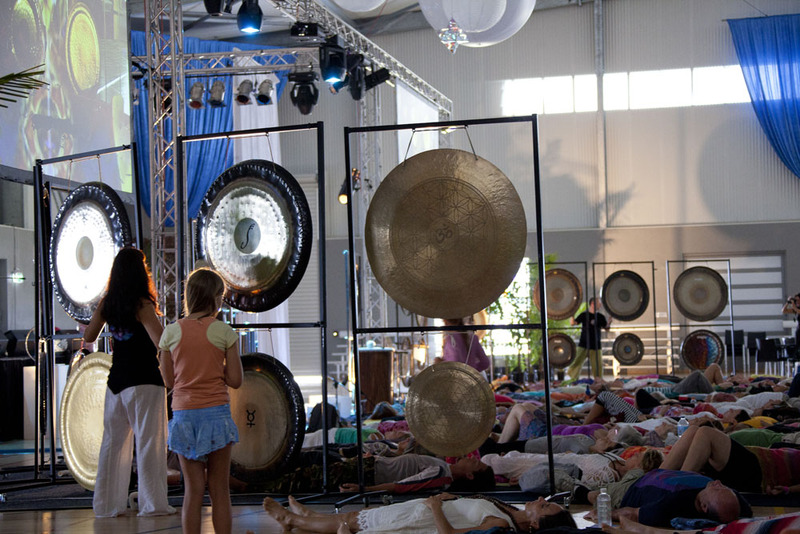 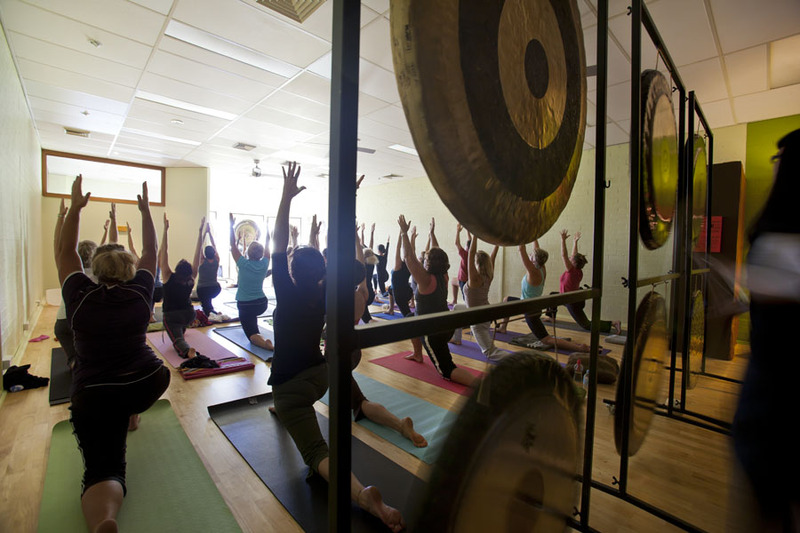 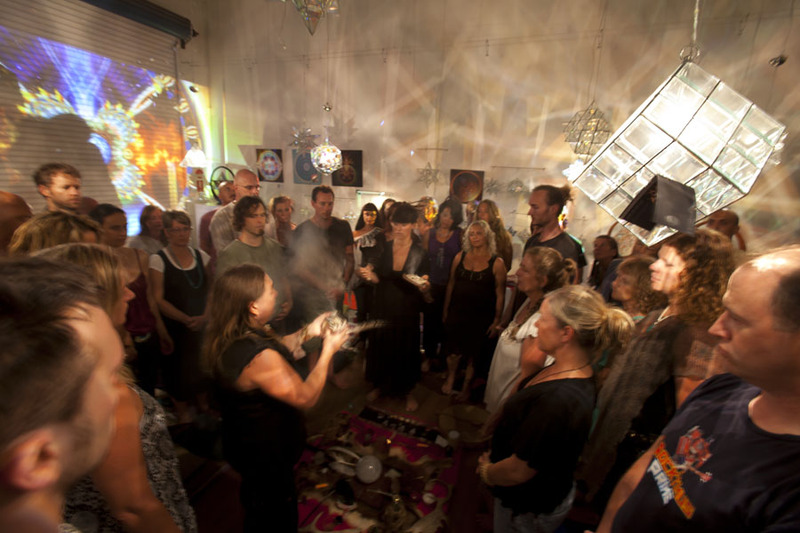 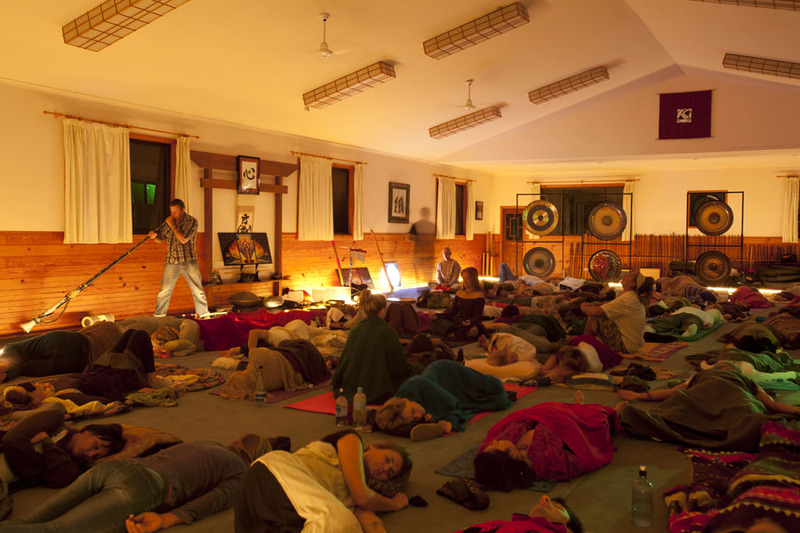 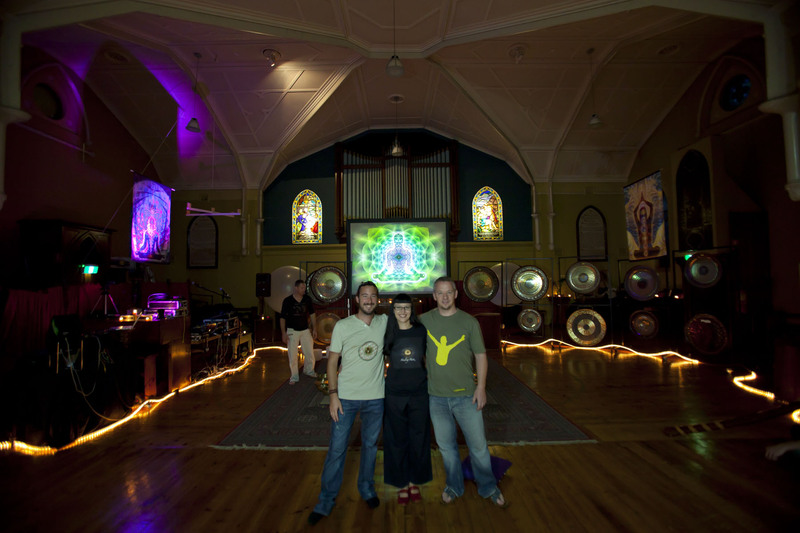 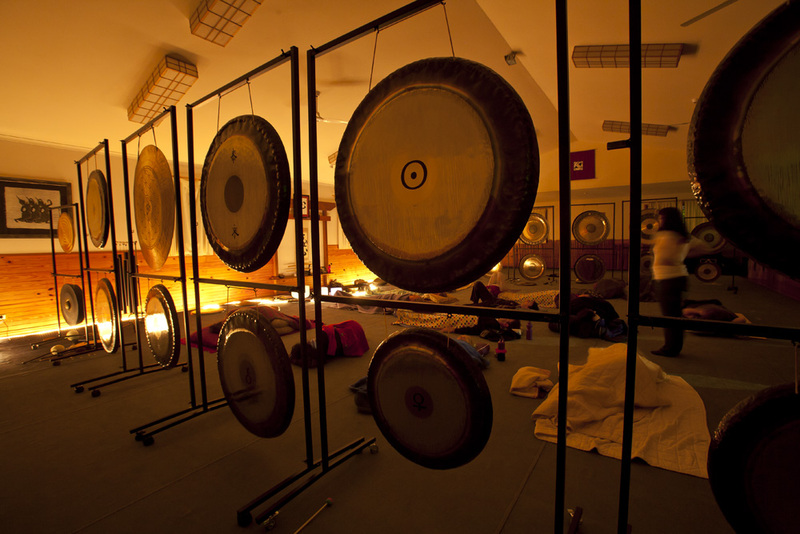 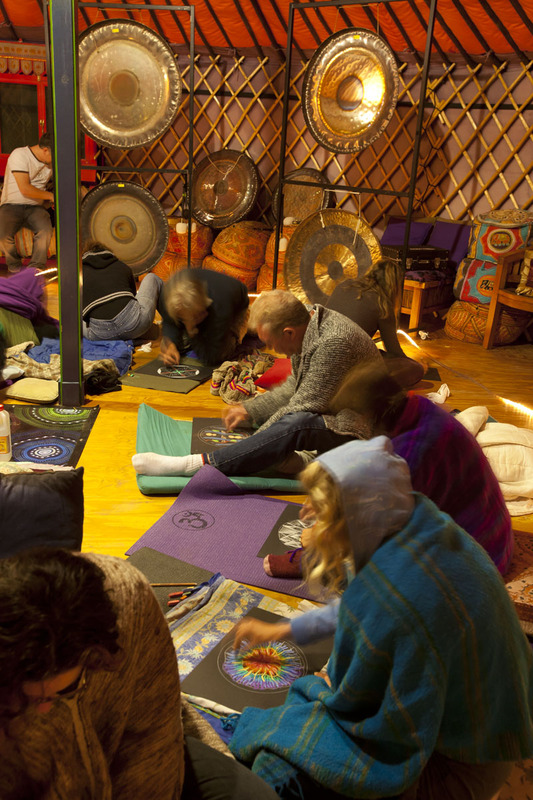 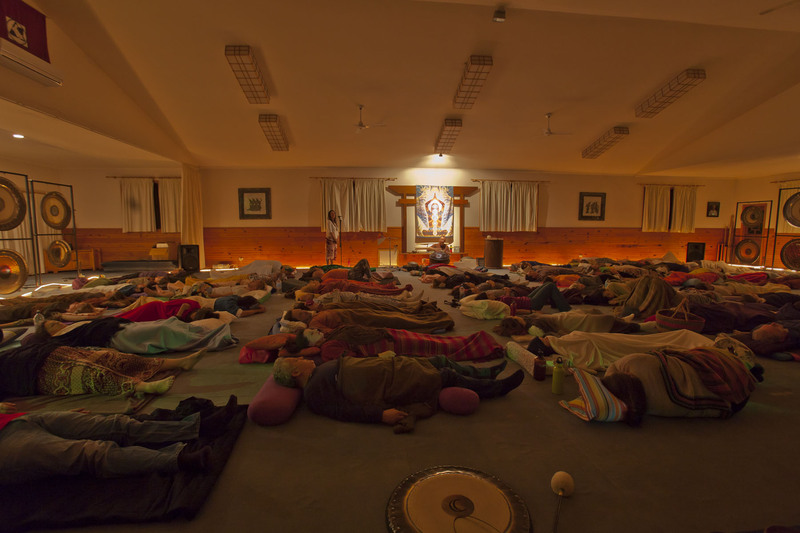 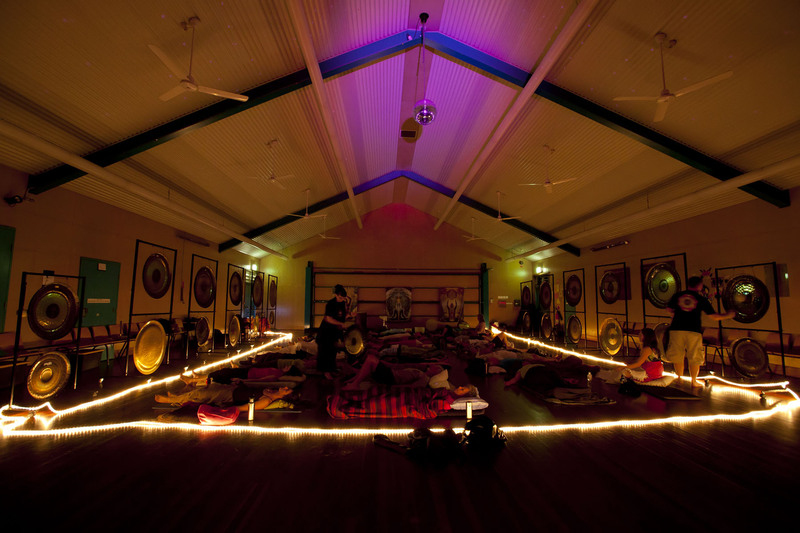 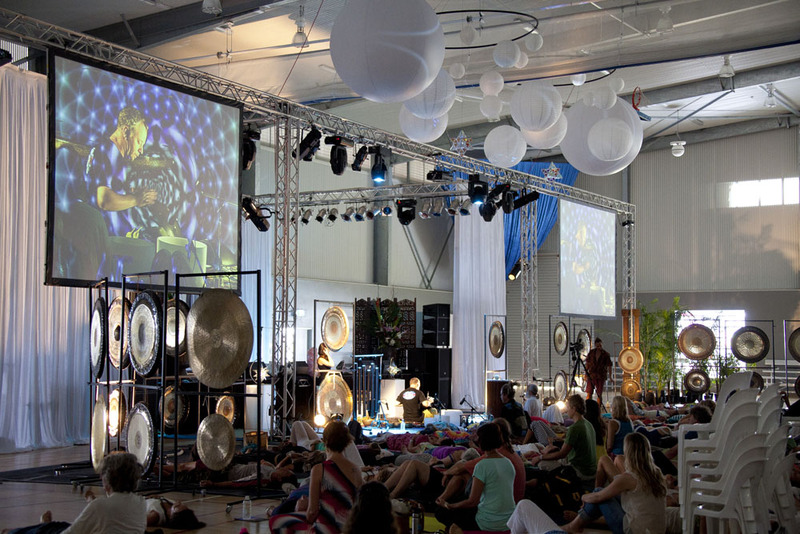 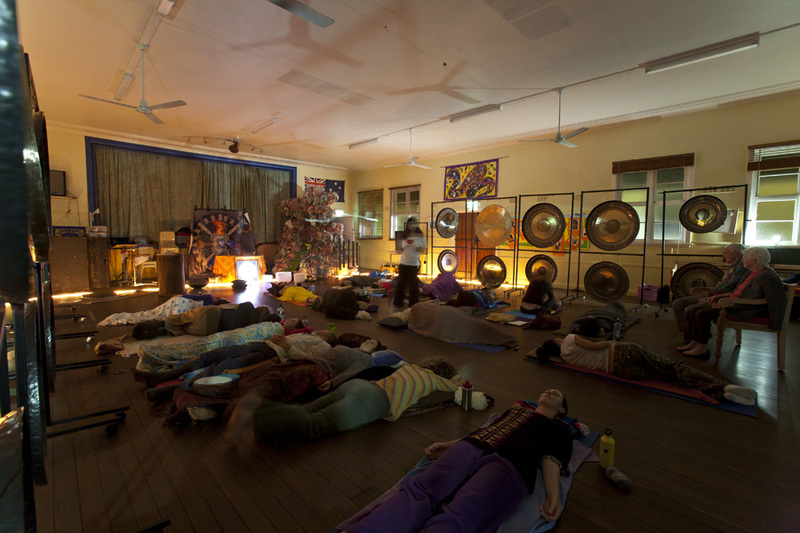 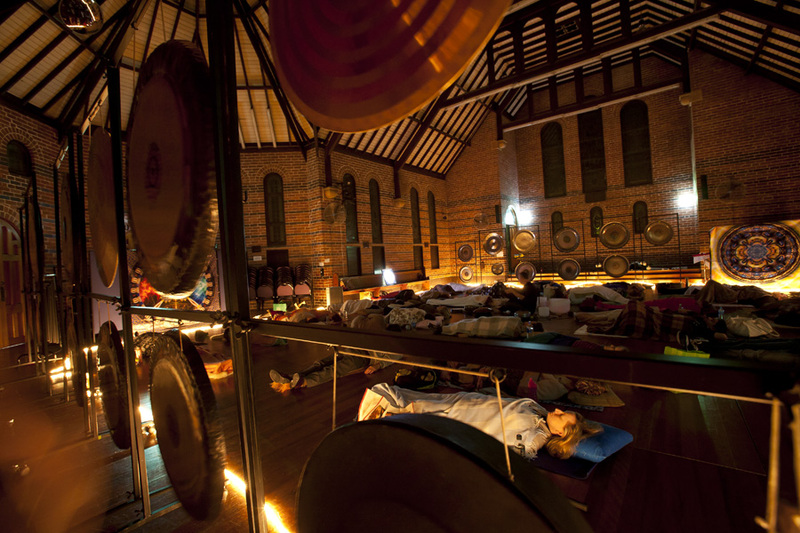 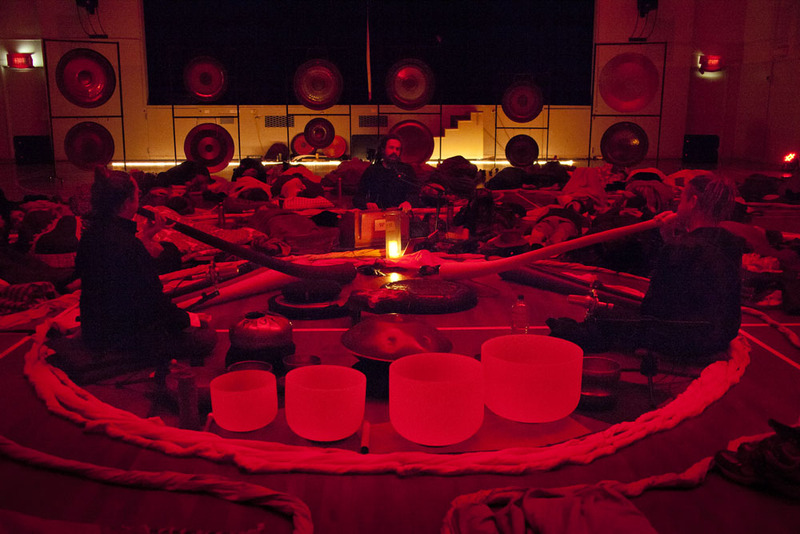 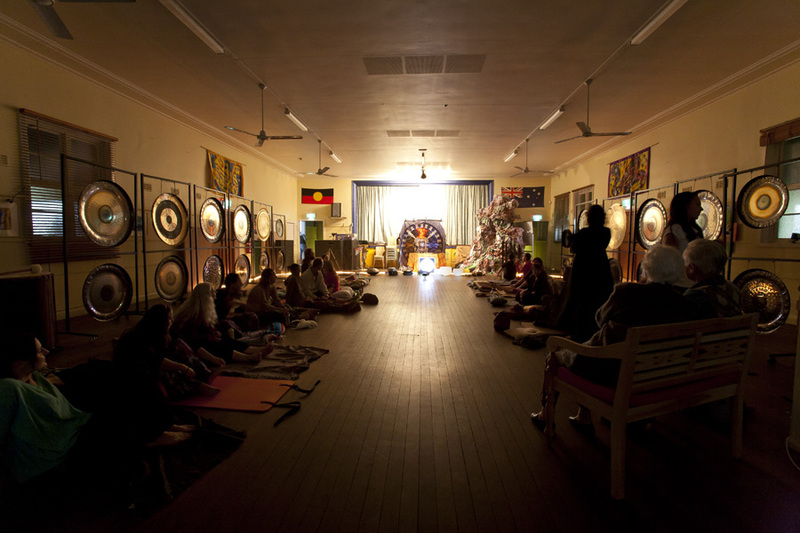 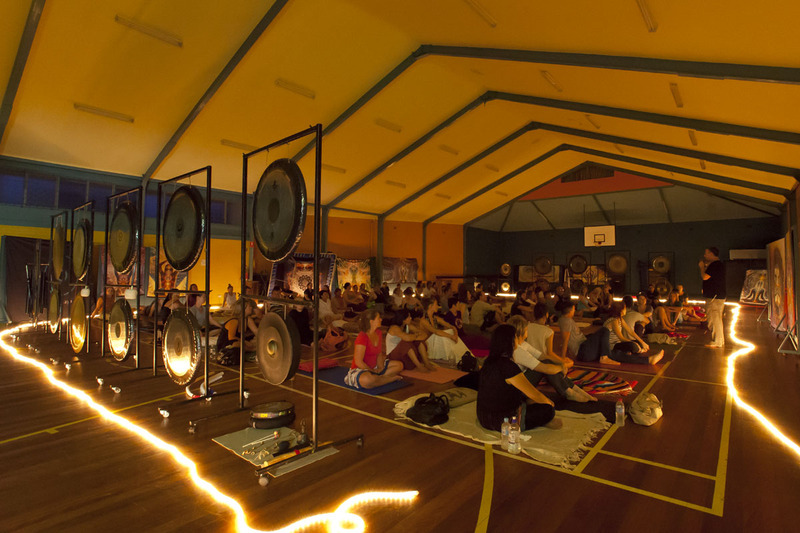 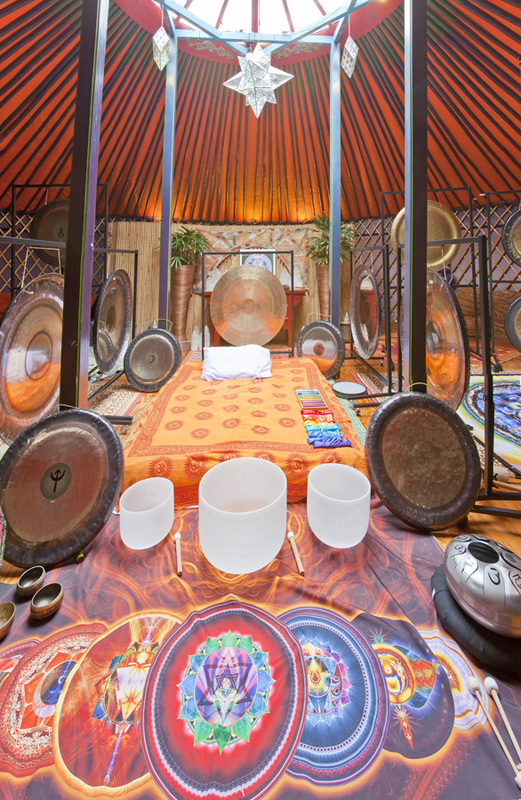 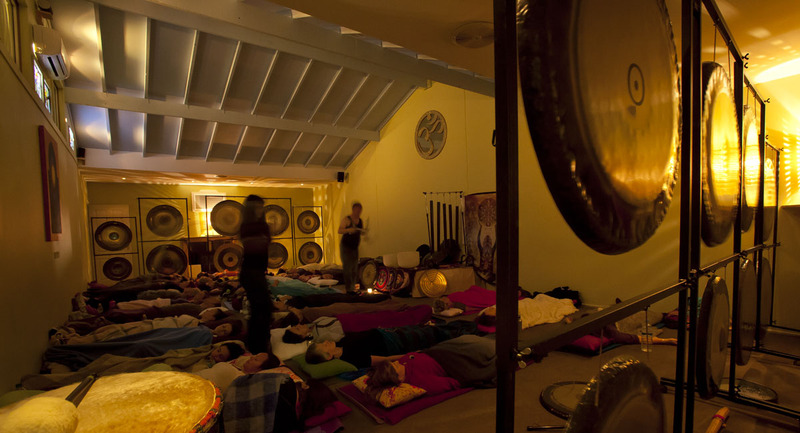 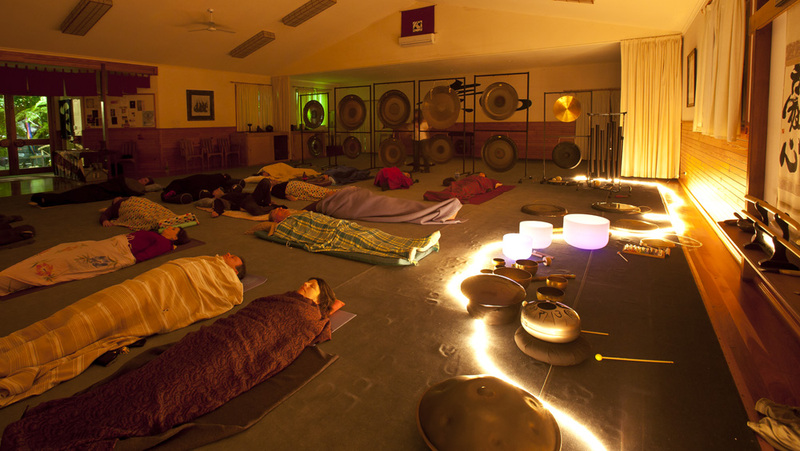 addicted to oneness with the gongs!